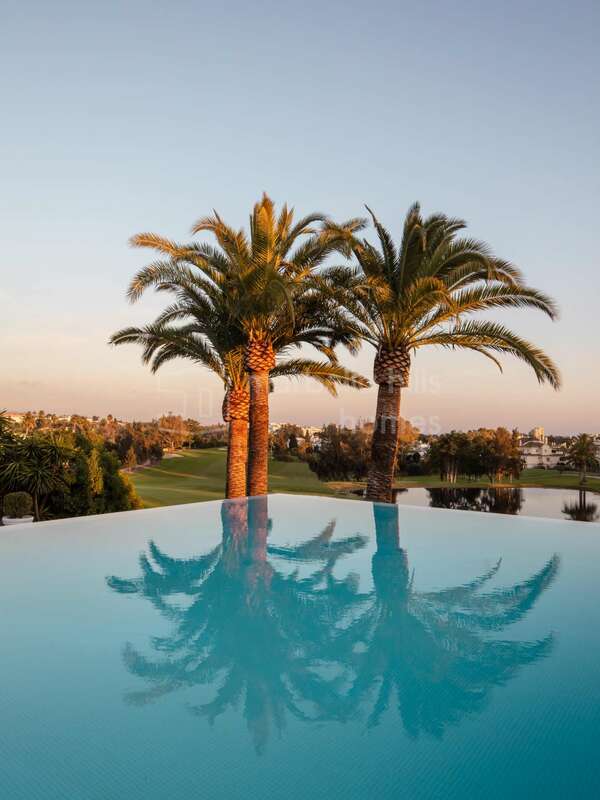 As we write, it’s still winter, with spring seemingly around the corner since the temperatures are mild, the skies mostly blue and the countryside green and devoid of the barren look found in much of Northern Europe at this time of year. 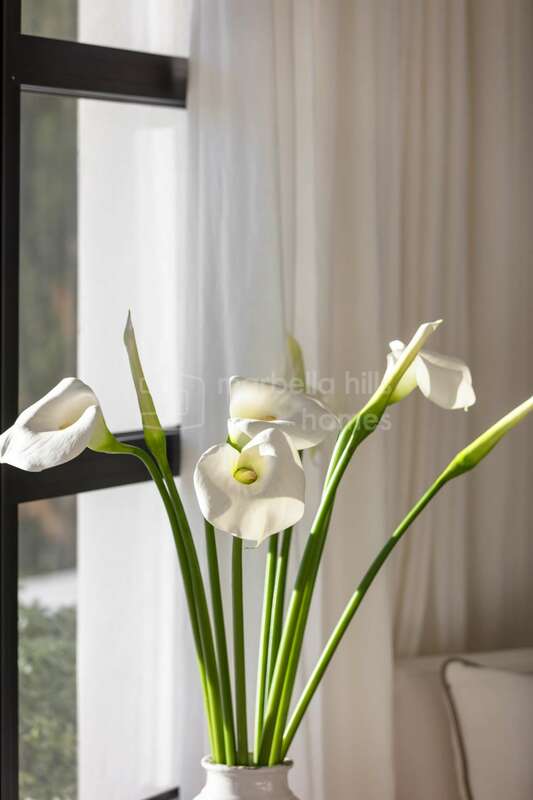 There is already much floral beauty to admire and the gardens – both public and private or indeed communal as part of an urbanisation – look in good condition, but this is a time of year when people start planning their homes’ green areas so they’re in time for the beginning of the new planting season in late February, early March. 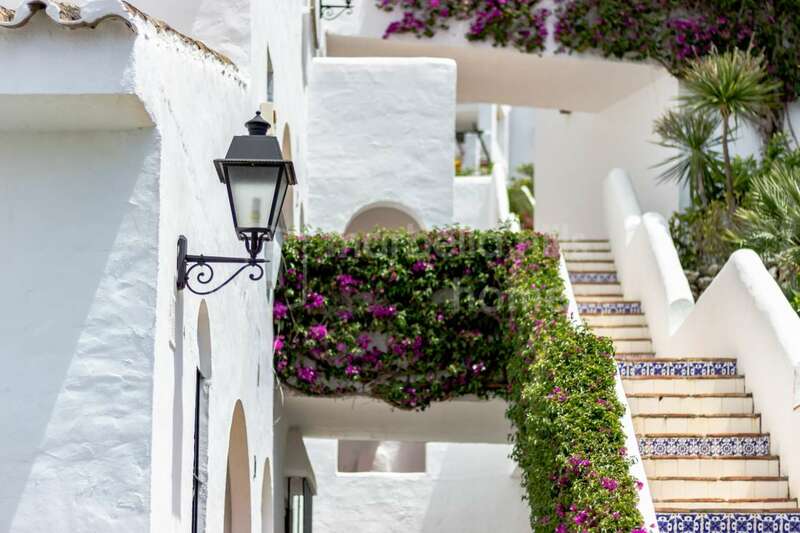 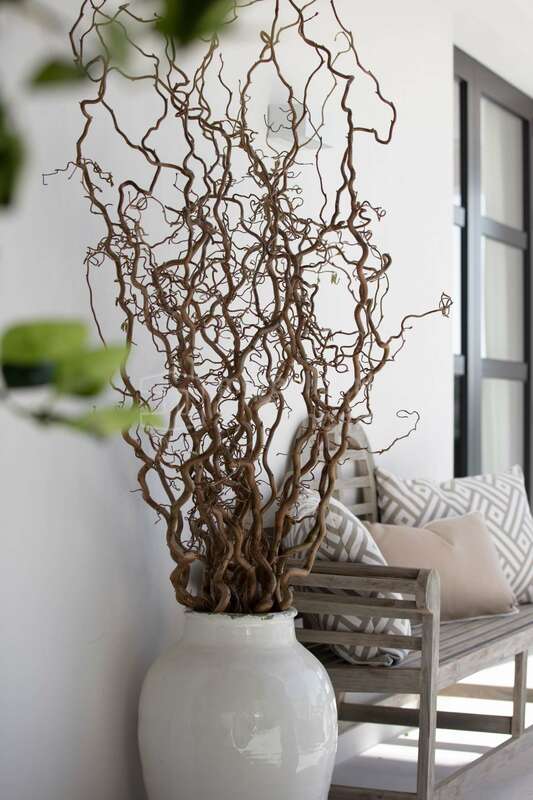 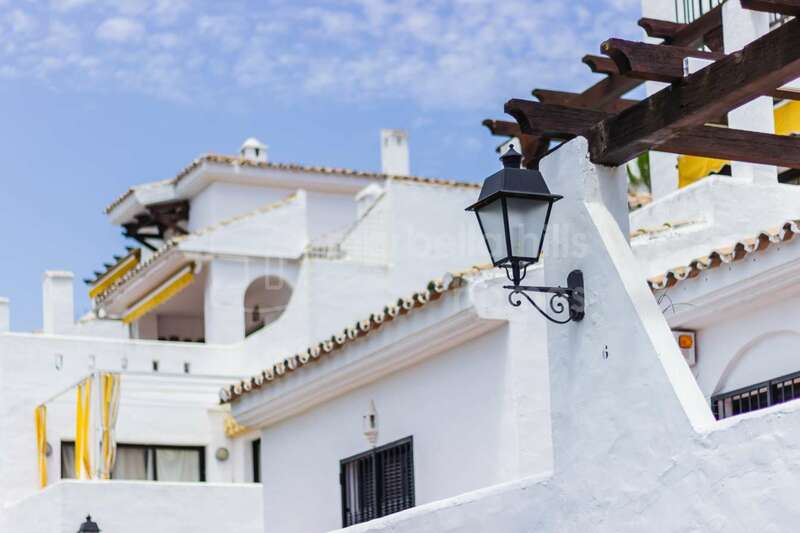 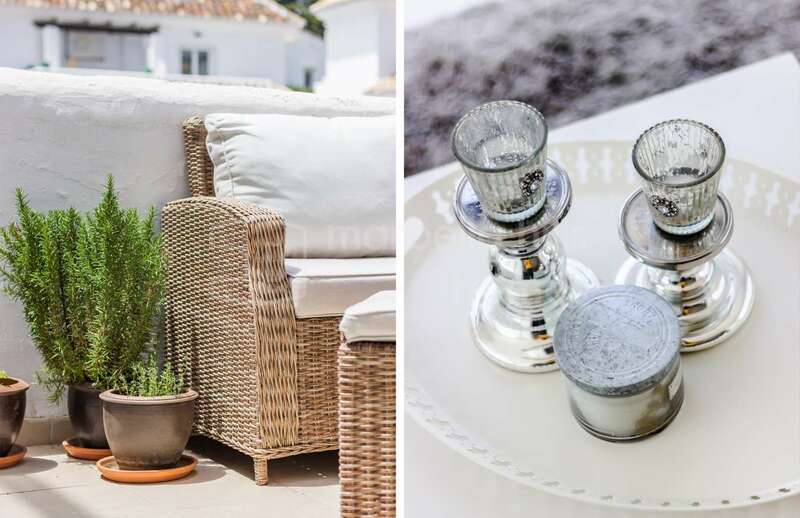 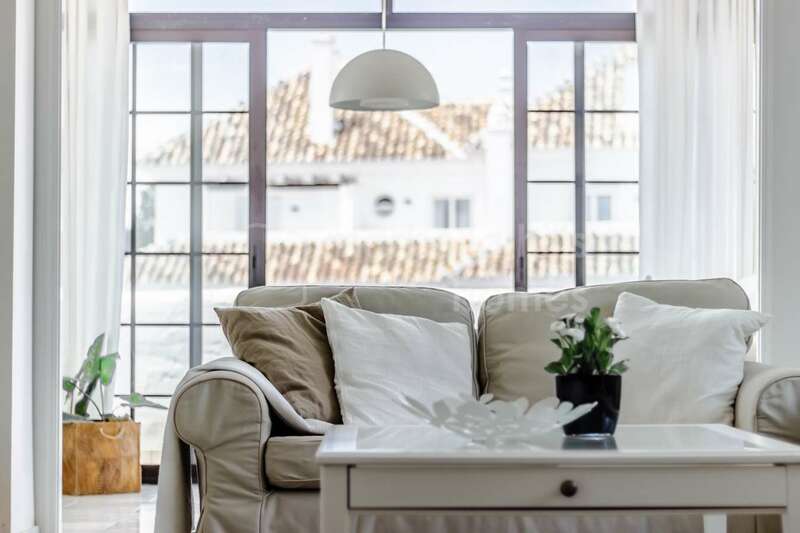 The rejuvenation of spring is a particularly pleasant time in and around Marbella, and one when many a resident visits local garden centres to pick out the prettiest flowering plants, create trellises, as well as their favourite pots and outdoor decorations. 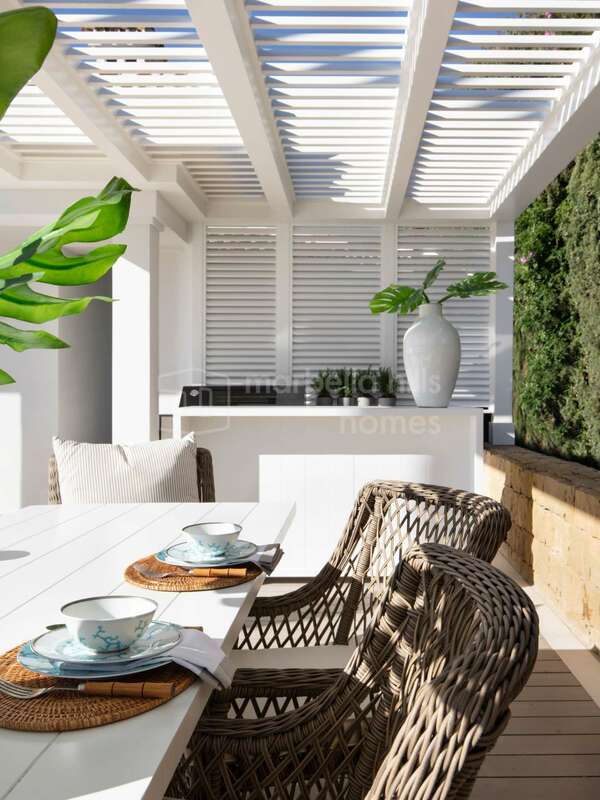 Home vegetable and herb gardens – organic, of course – are popular right now, and as with gardens not restricted to people with villas, townhouses or ground floor apartments. 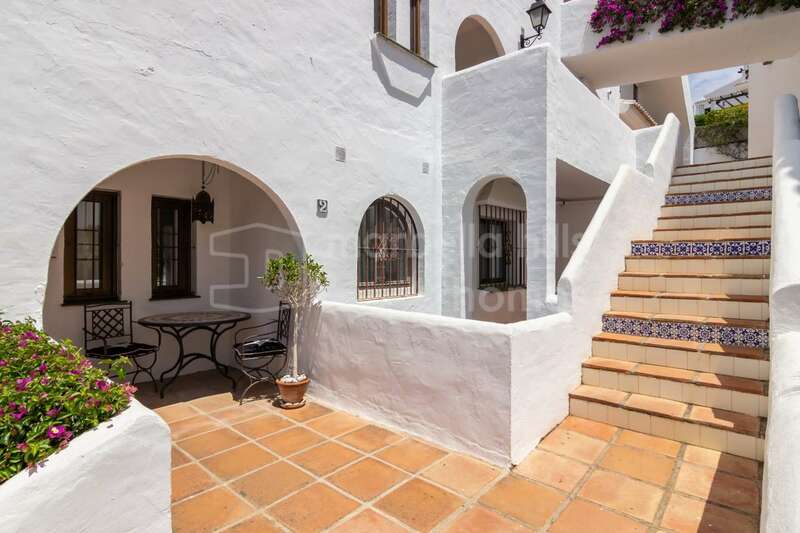 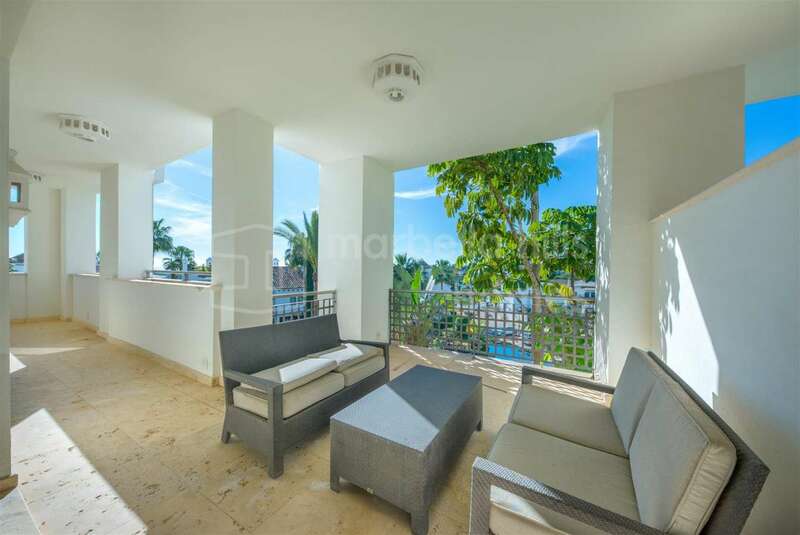 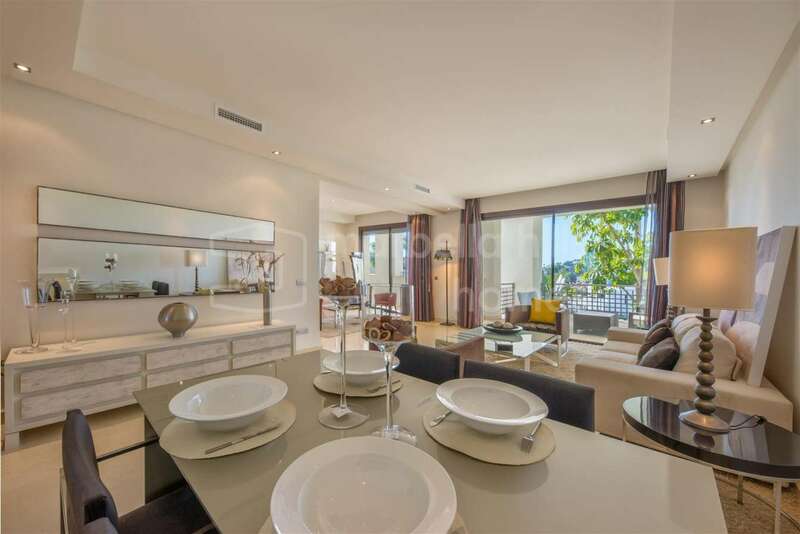 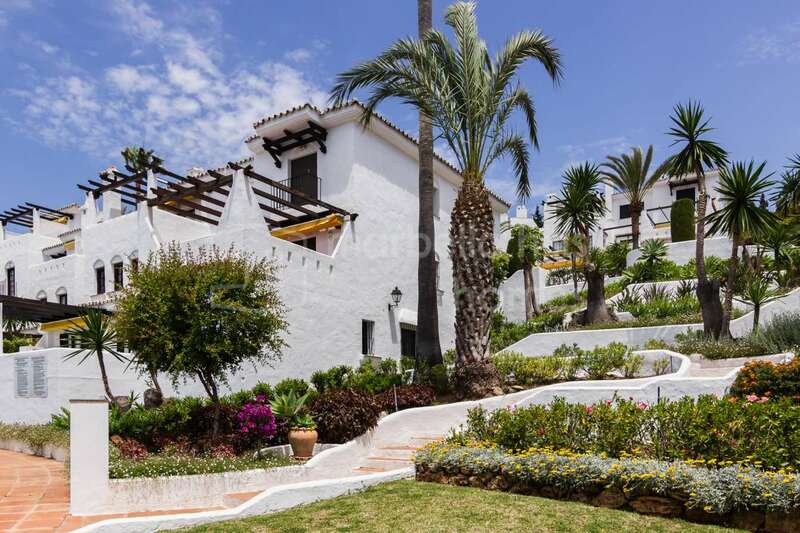 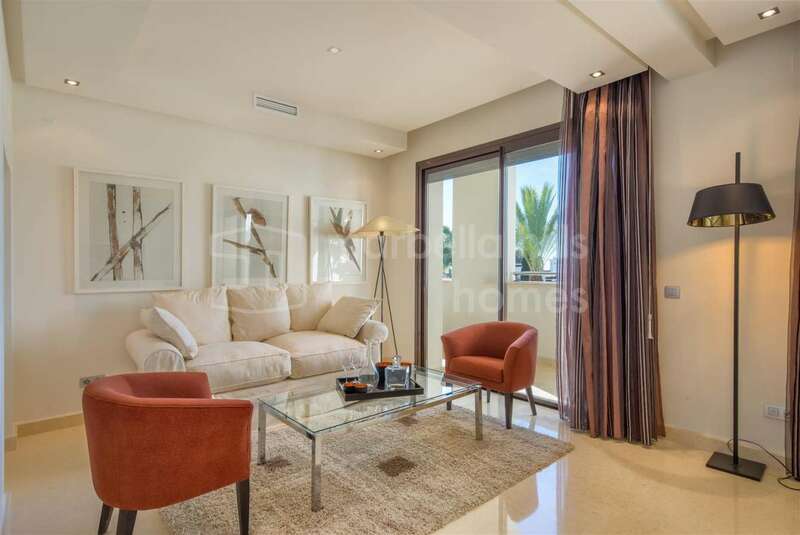 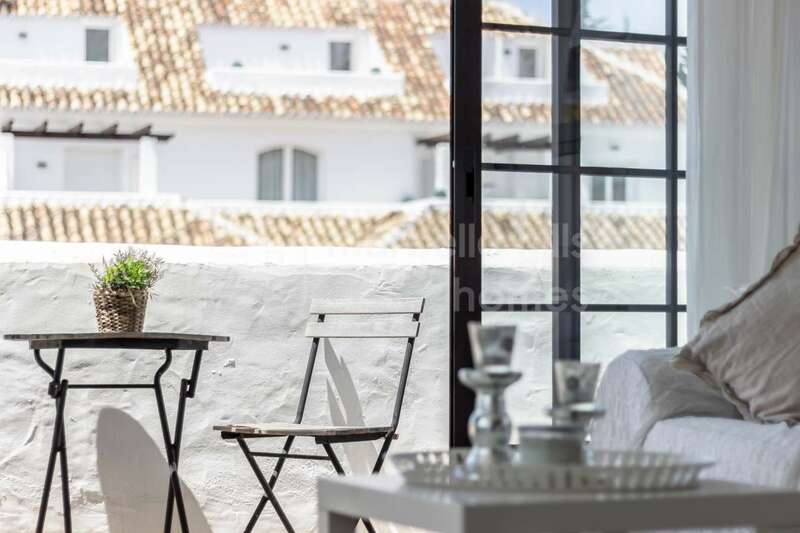 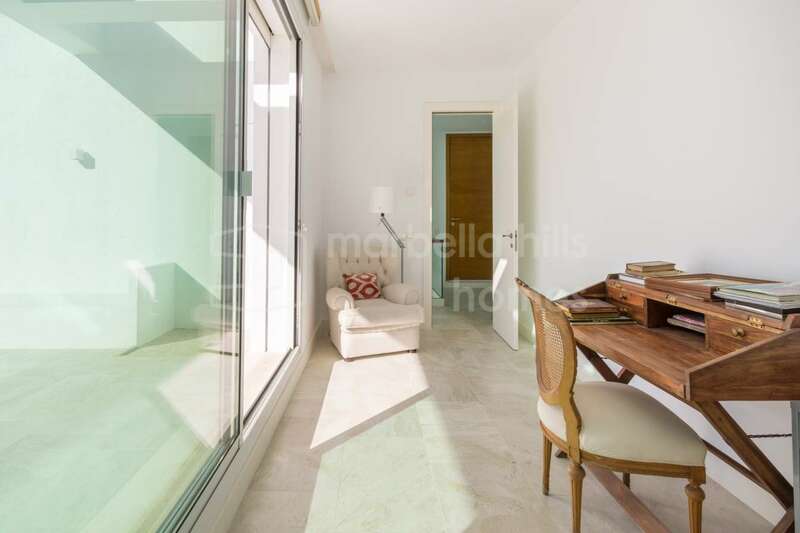 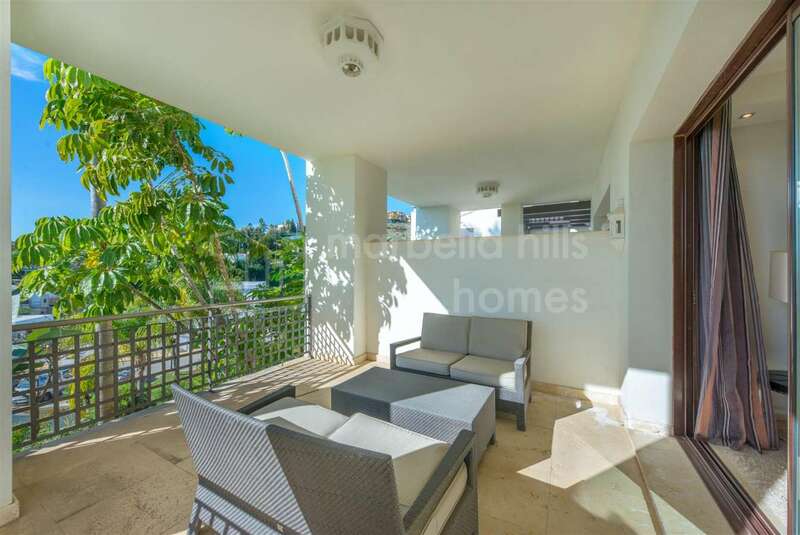 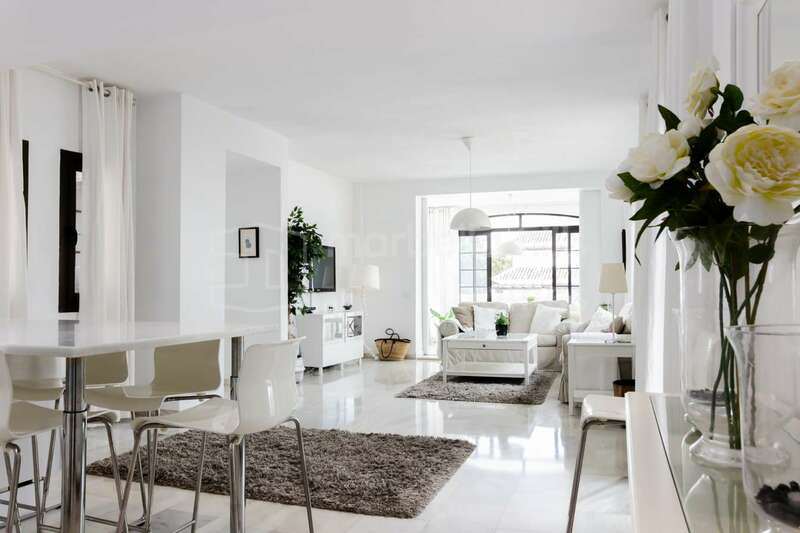 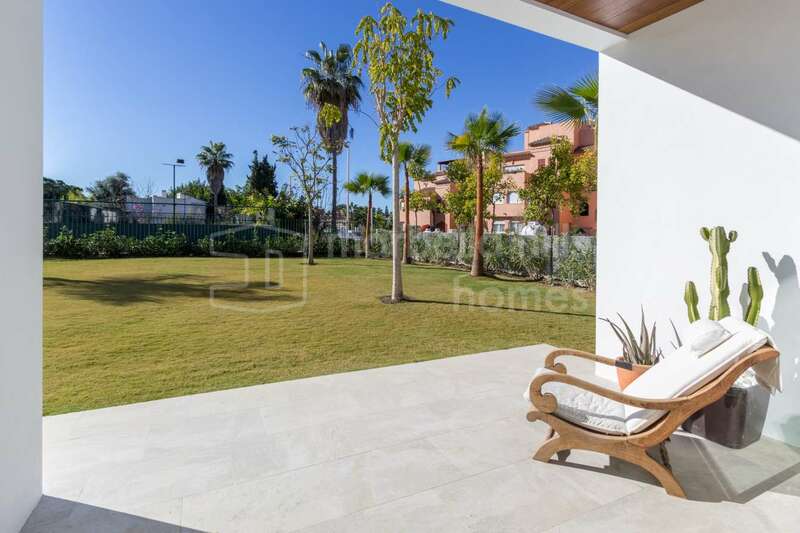 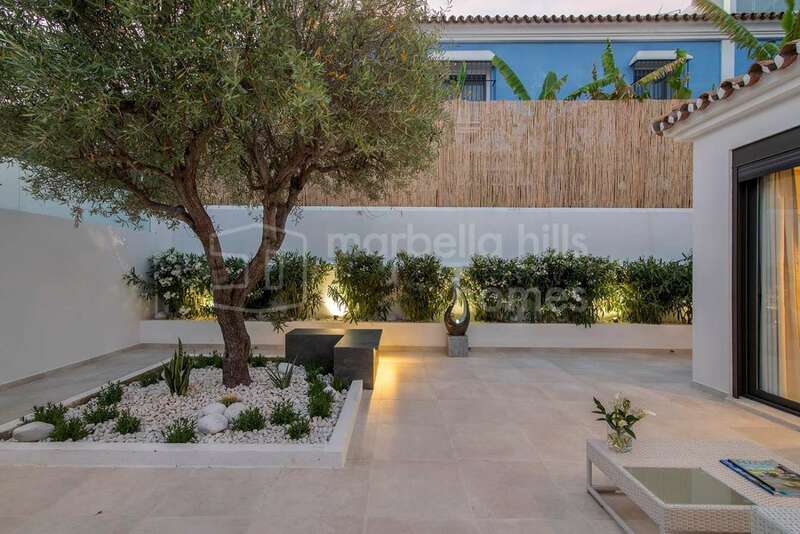 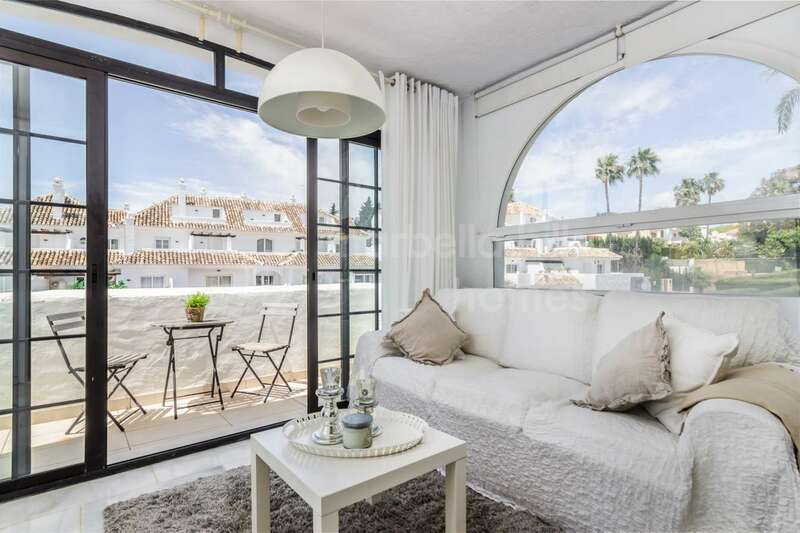 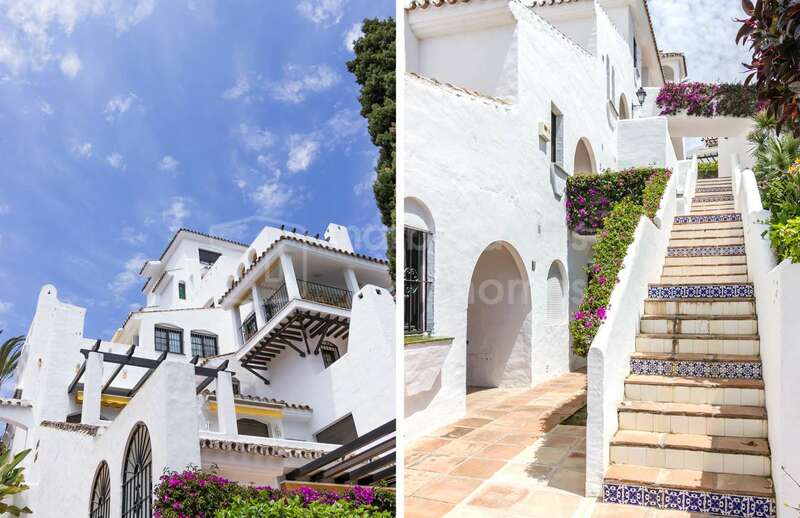 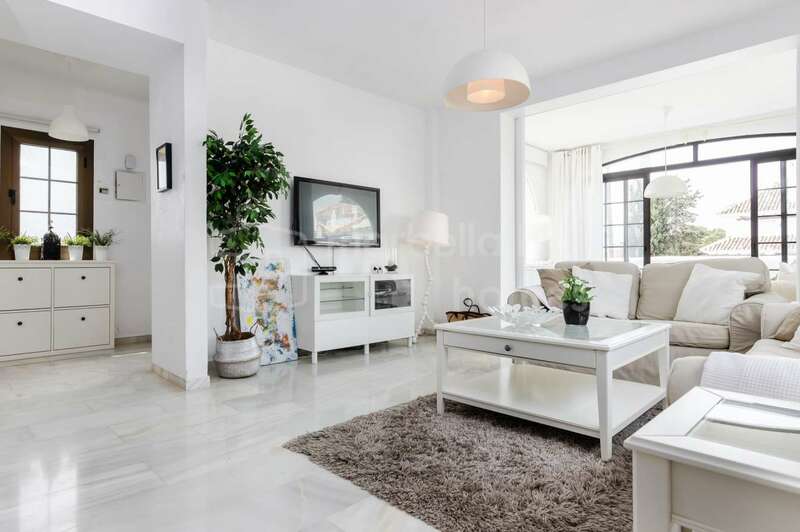 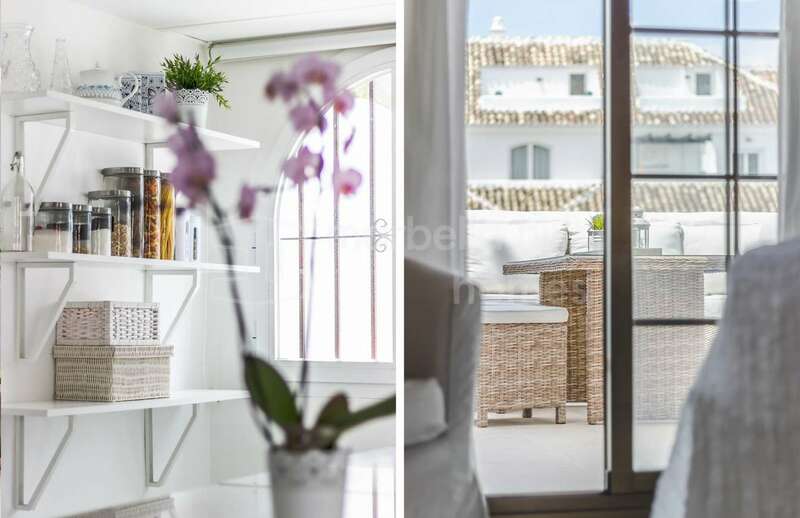 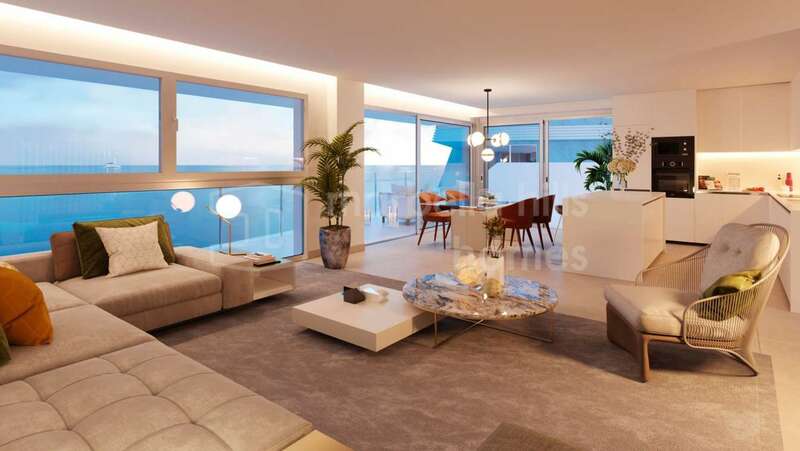 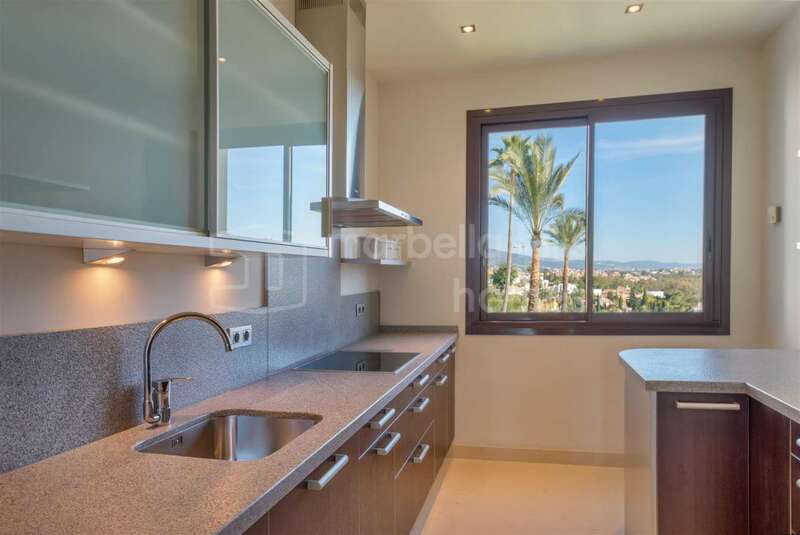 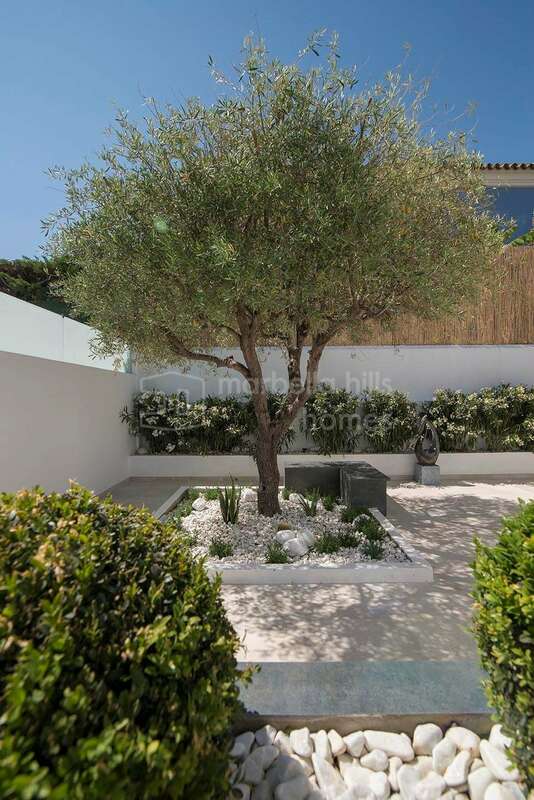 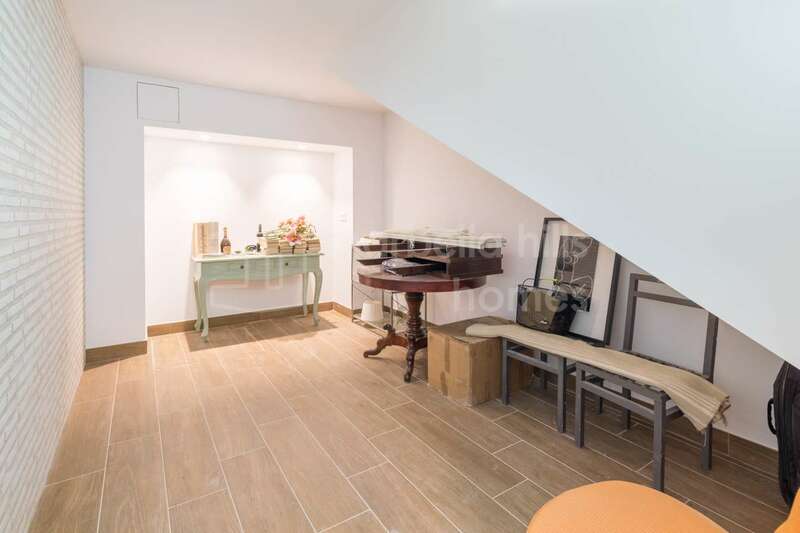 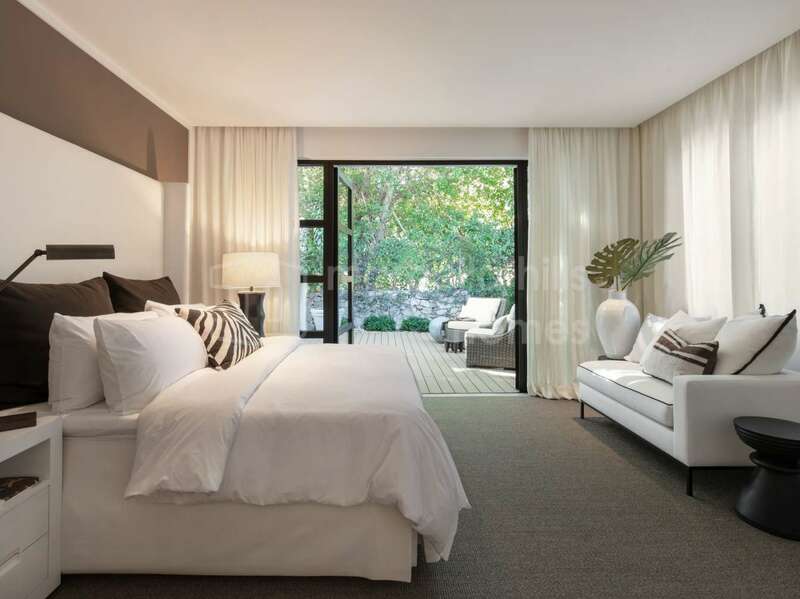 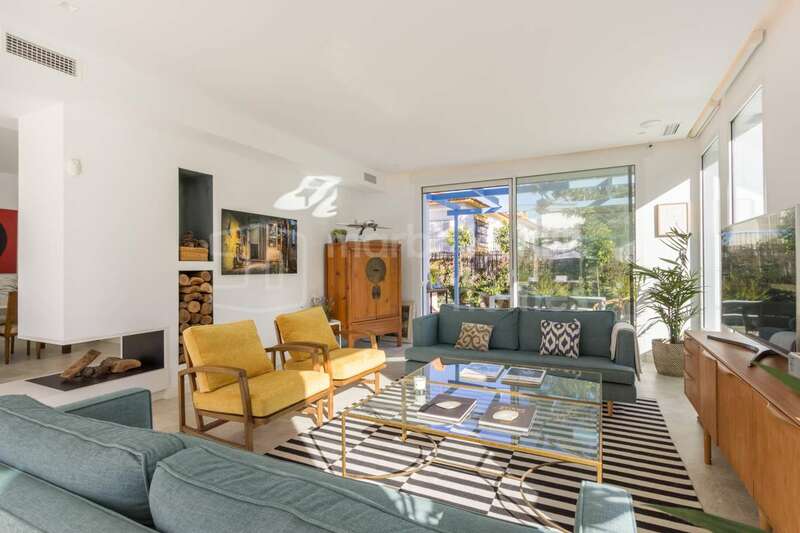 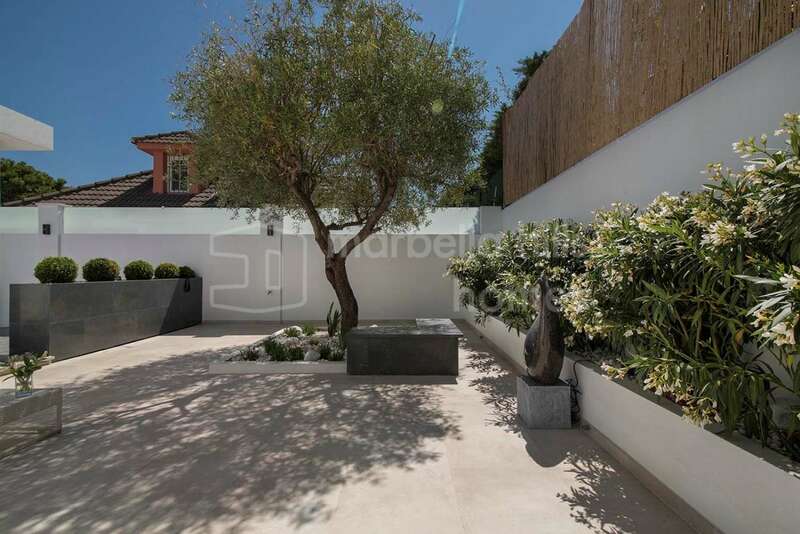 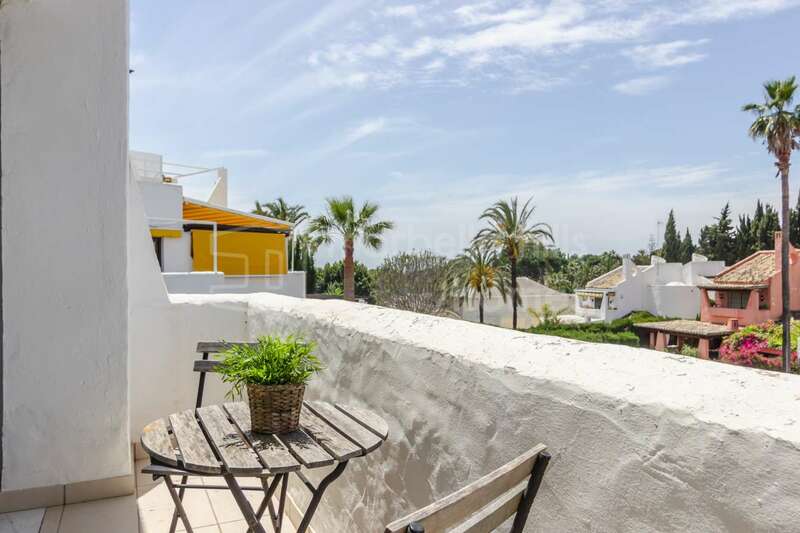 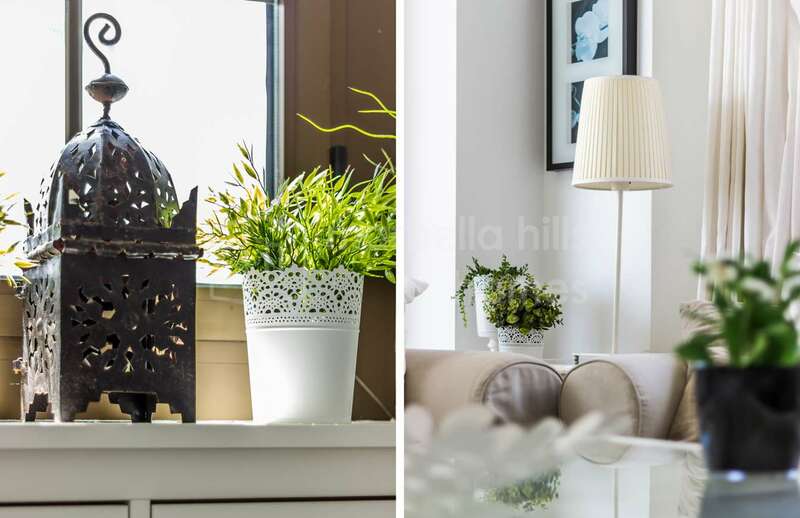 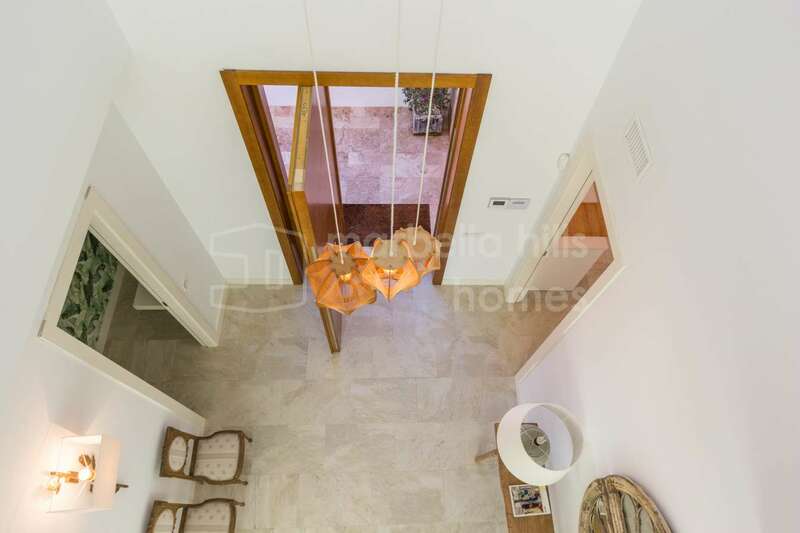 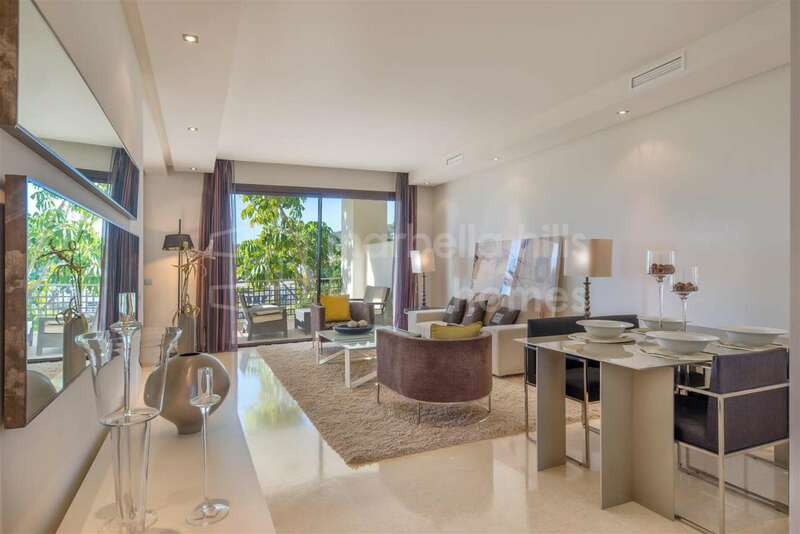 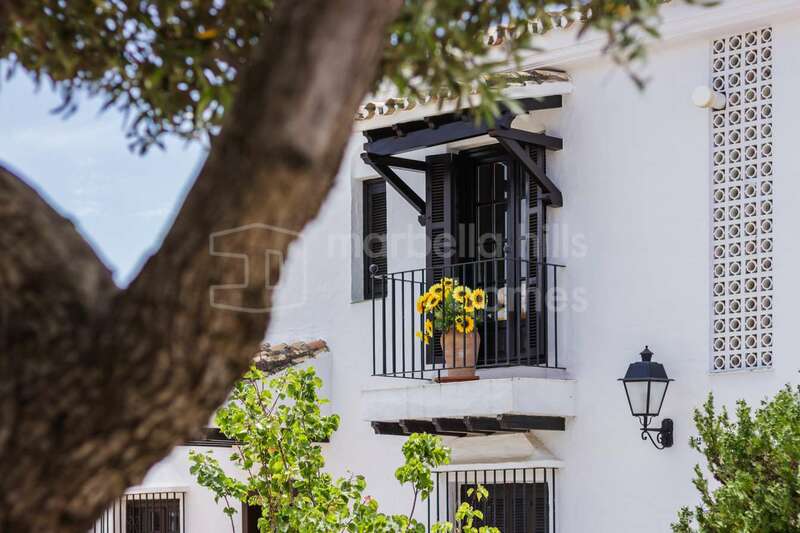 Many of the apartments in Marbella feature spacious terraces that also leave space for a little creative greenery. 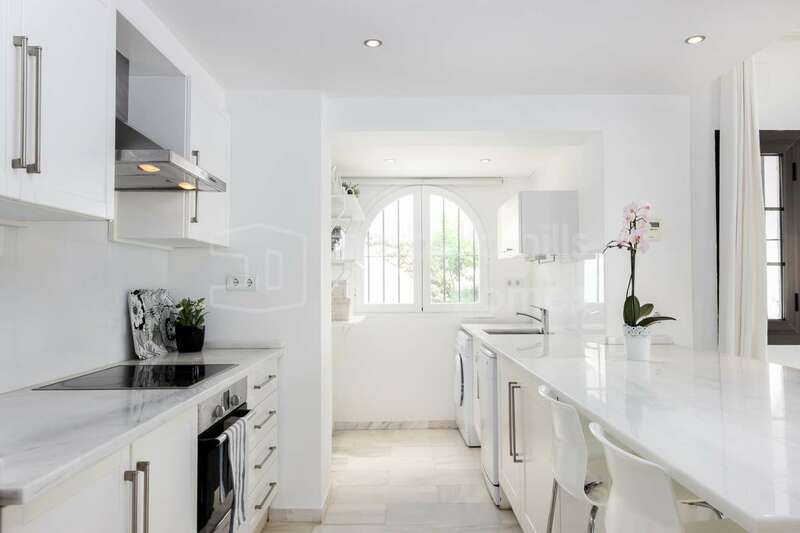 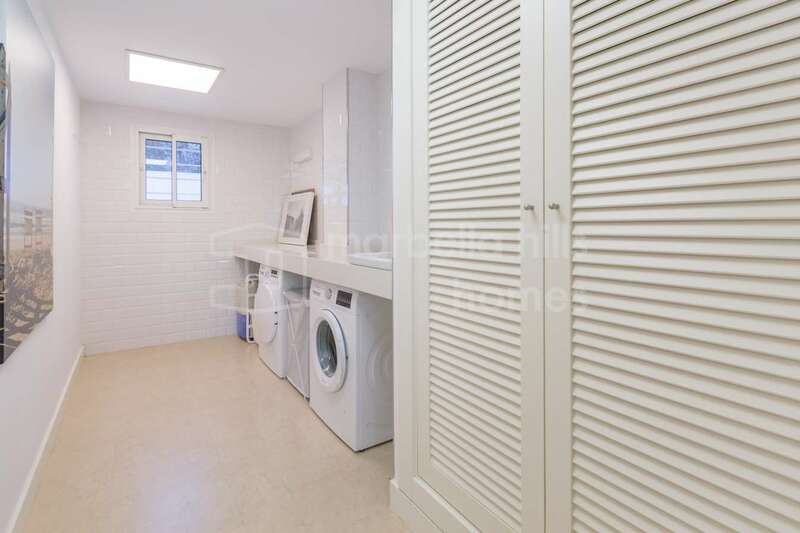 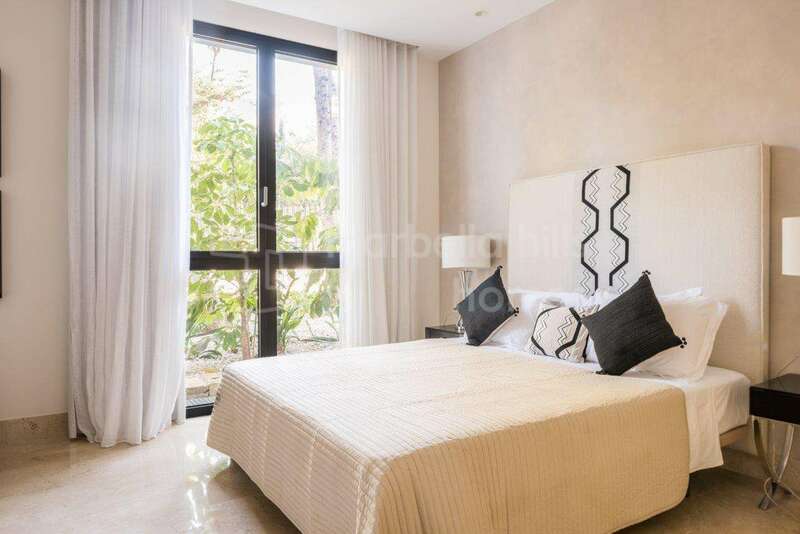 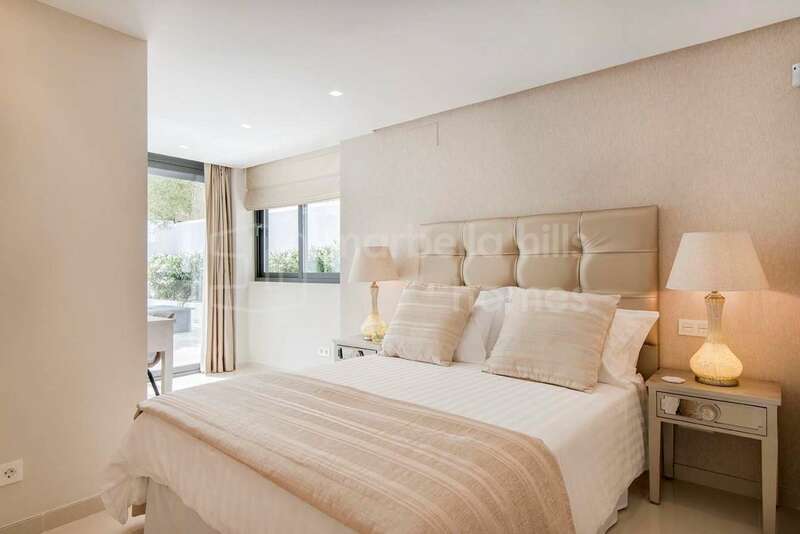 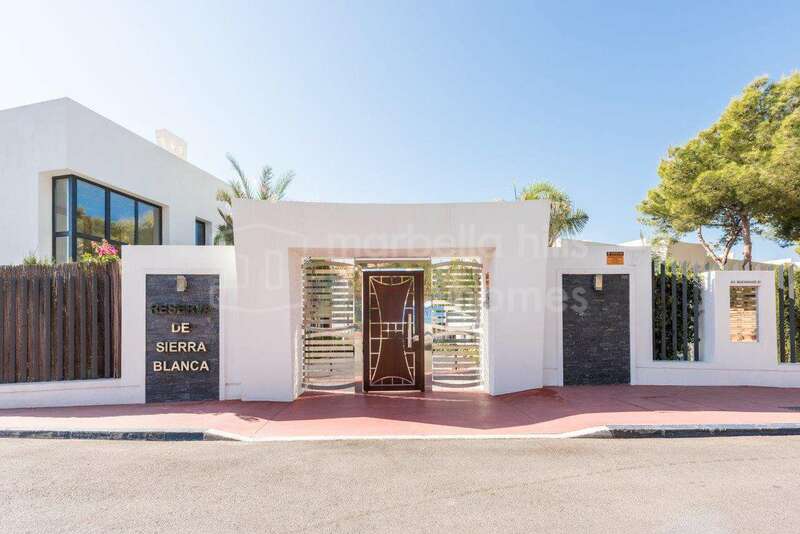 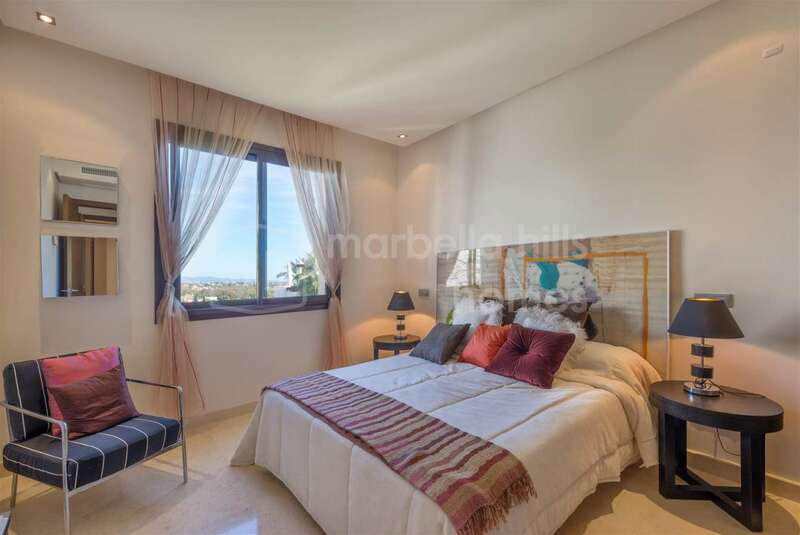 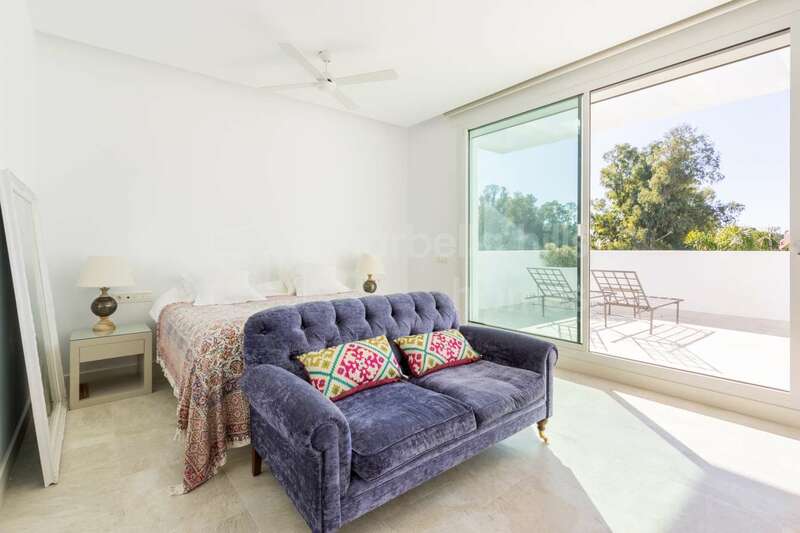 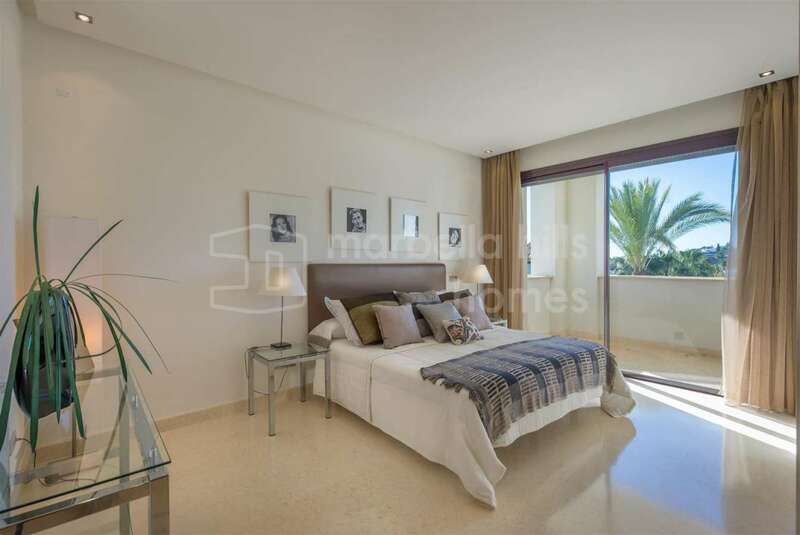 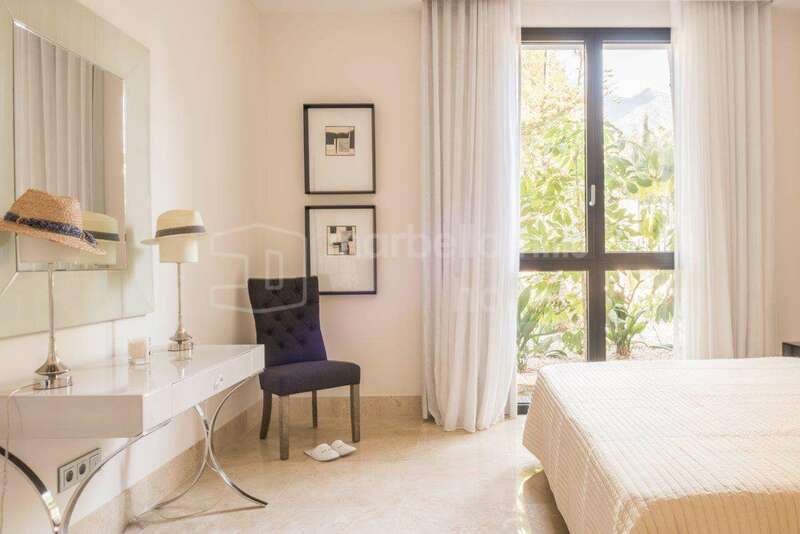 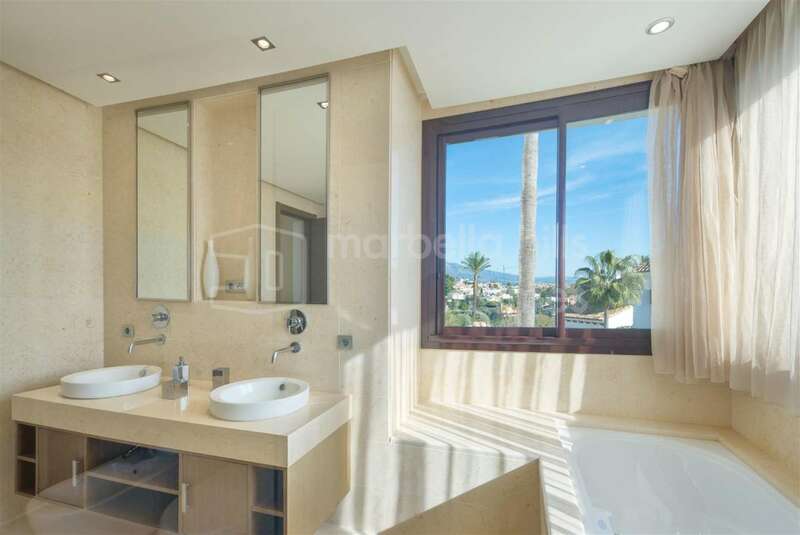 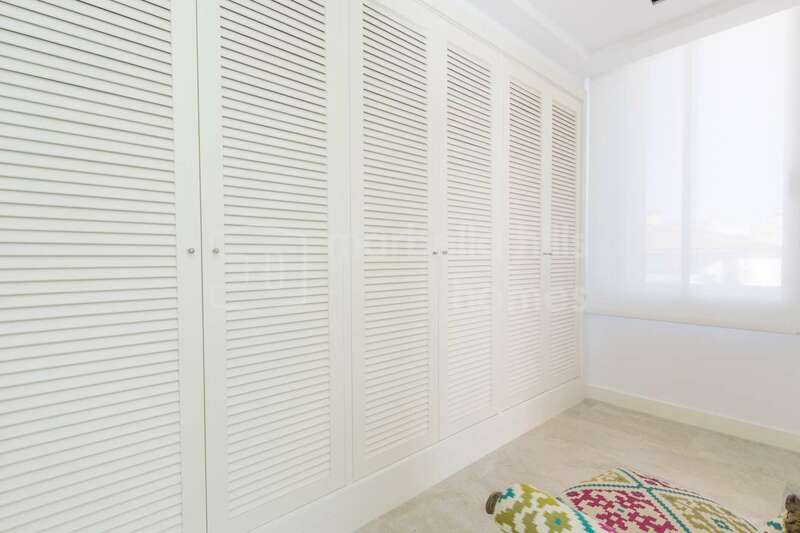 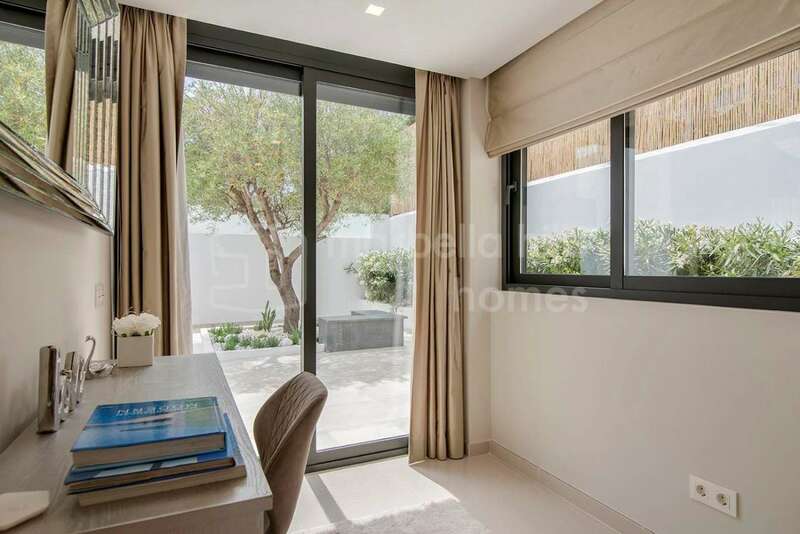 This ground floor apartment in La Quinta, close to the golf courses of La Quinta, the shops of San Pedro Alcántara and the beach clubs of Puerto Banús, offers a cosy private garden in which to entertain, barbecue and soak up the sun, just as you would do on the spacious terrace of this panoramic La Quinta apartment overlooking golf. 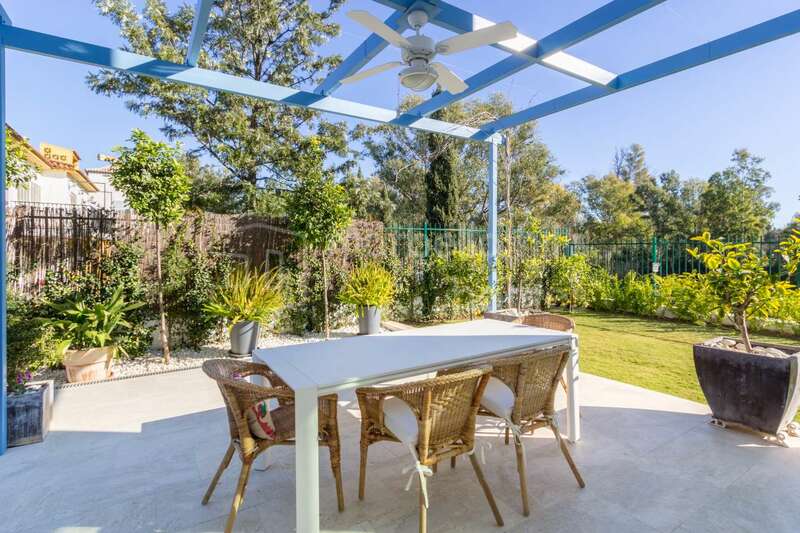 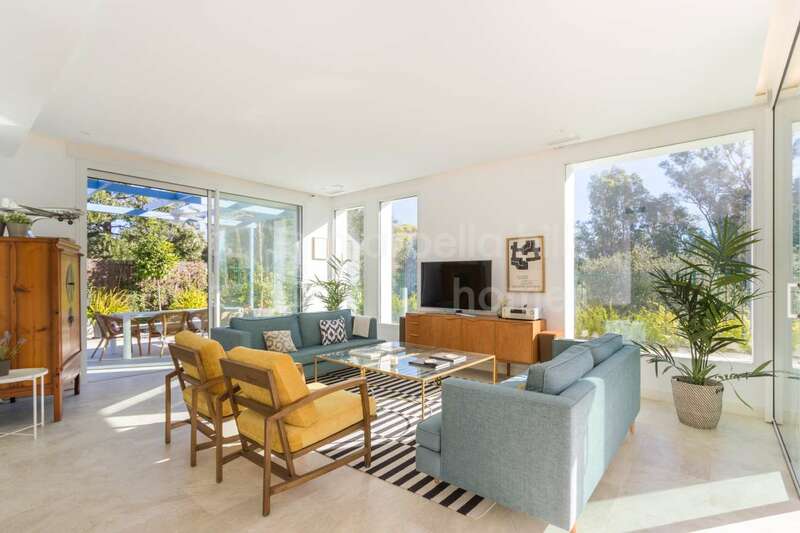 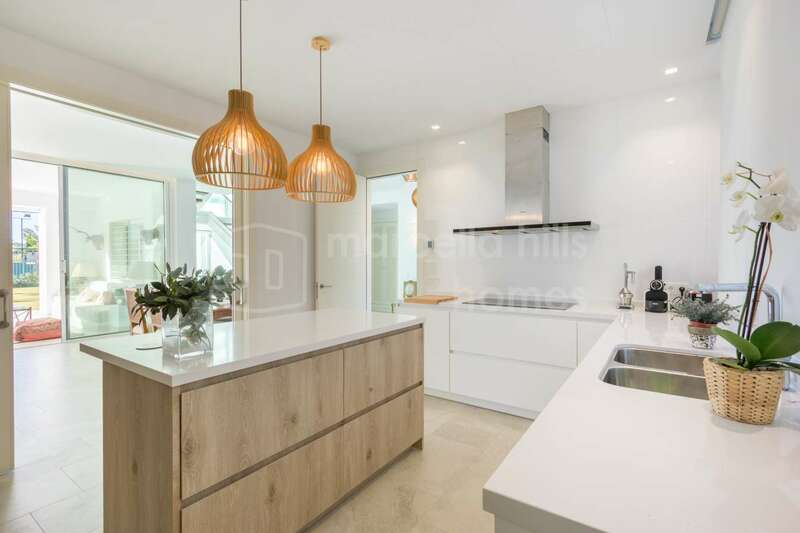 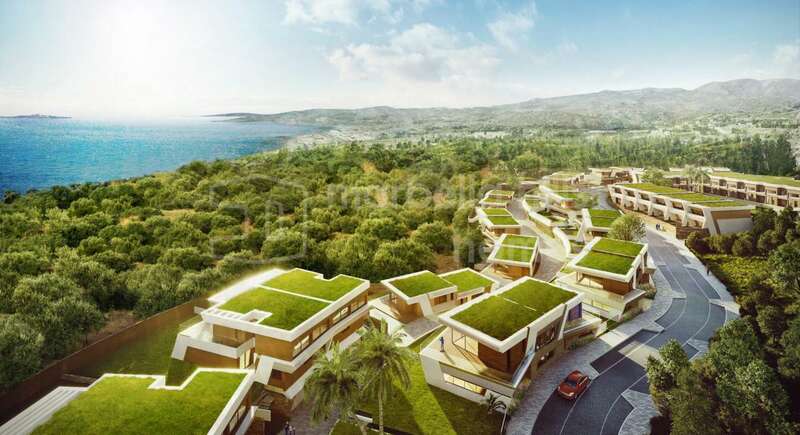 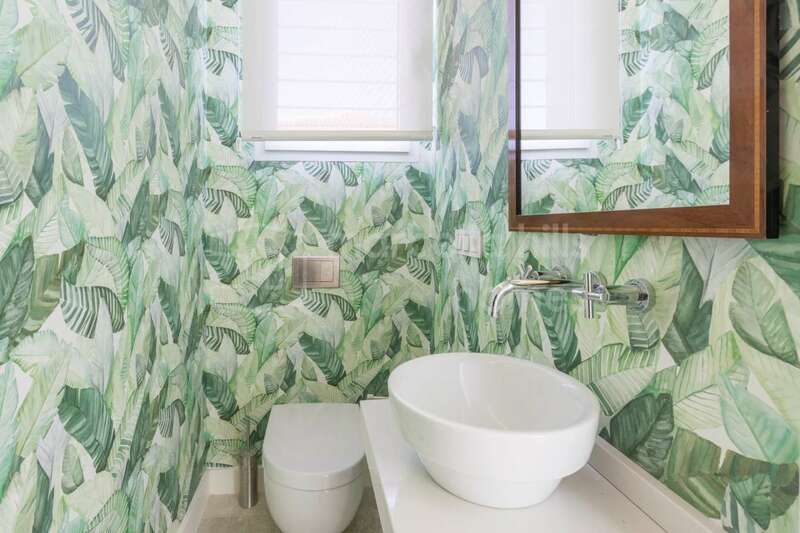 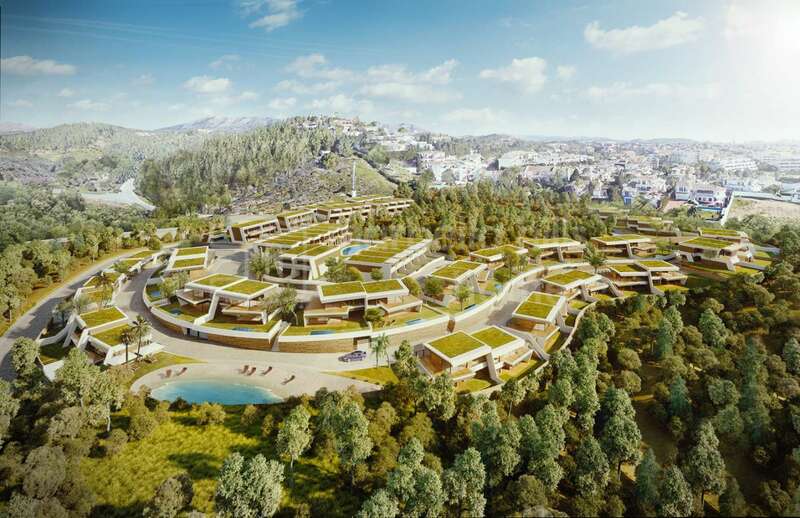 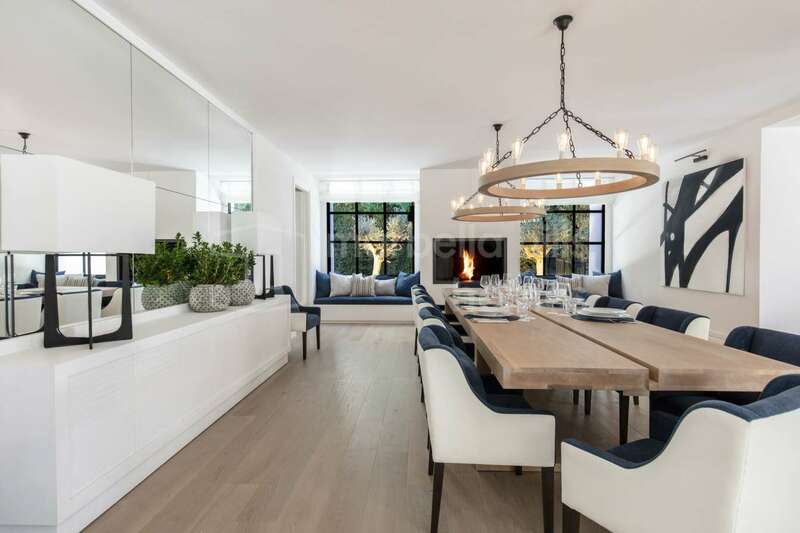 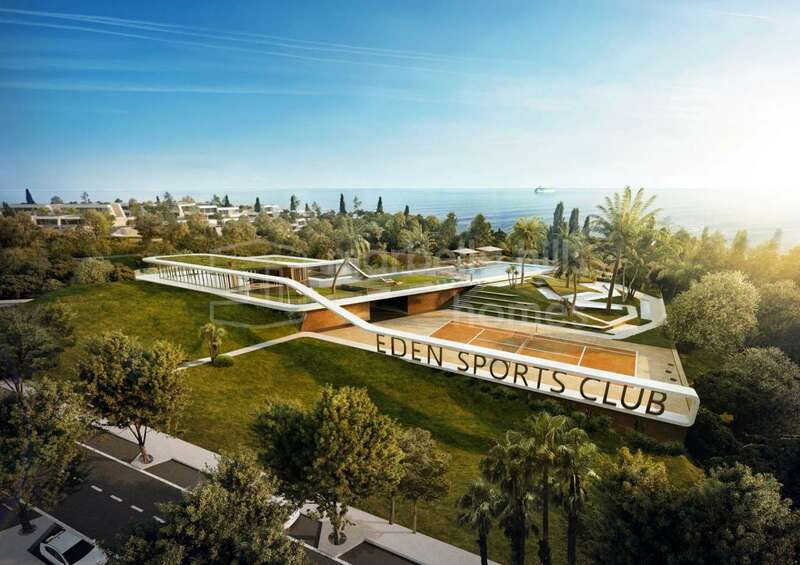 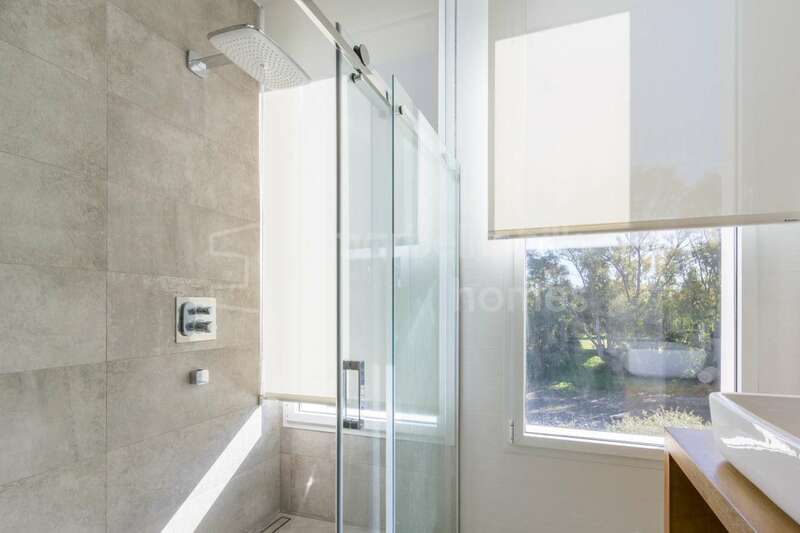 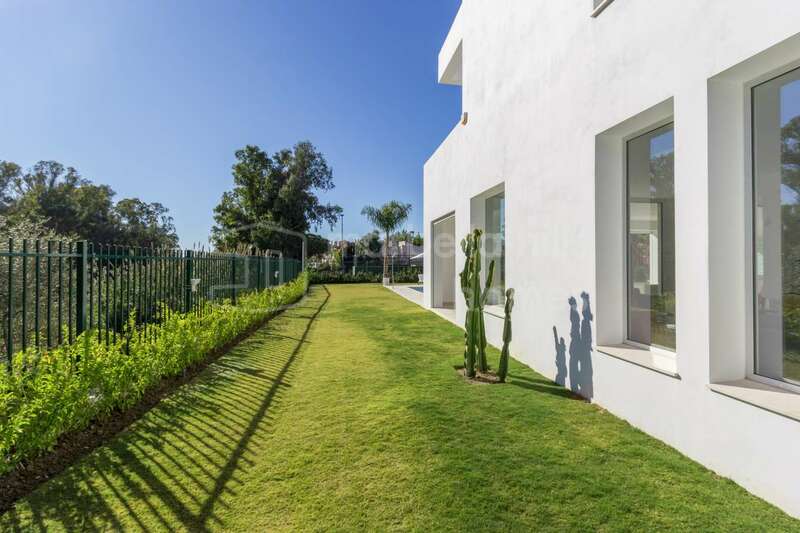 They are also surrounded by the lush greenery of beautifully maintained communal gardens, which in recent years have seen a shift from subtropical to more indigenous, drought-resistant landscaping. 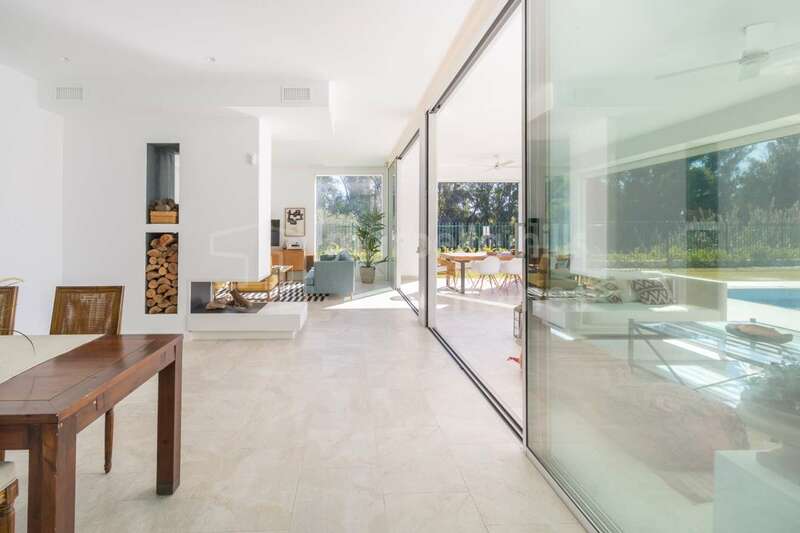 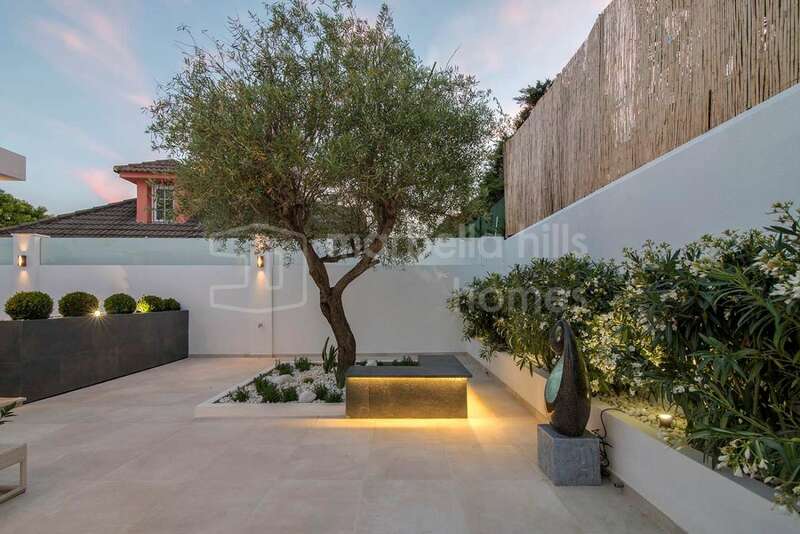 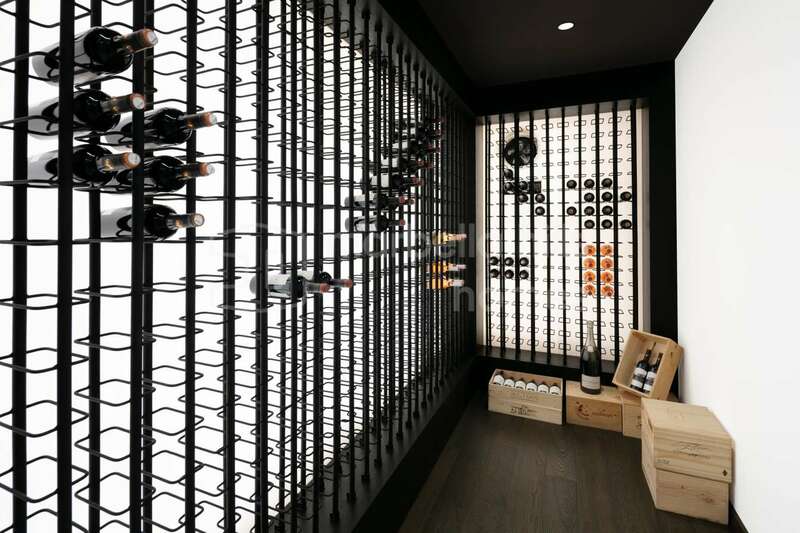 This includes palm trees, but also revived use of cork oaks, olive trees, succulent plants, Mediterranean shrubs and flowering species, occasionally augmented by Oriental Zen touches. 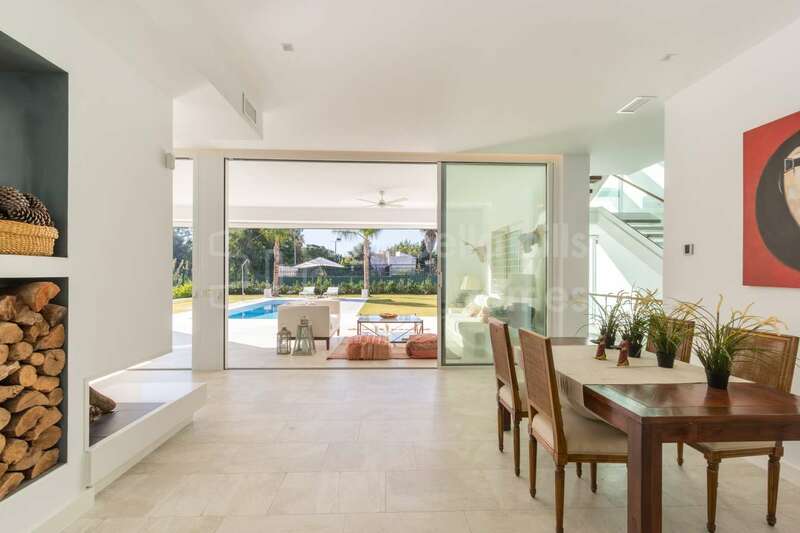 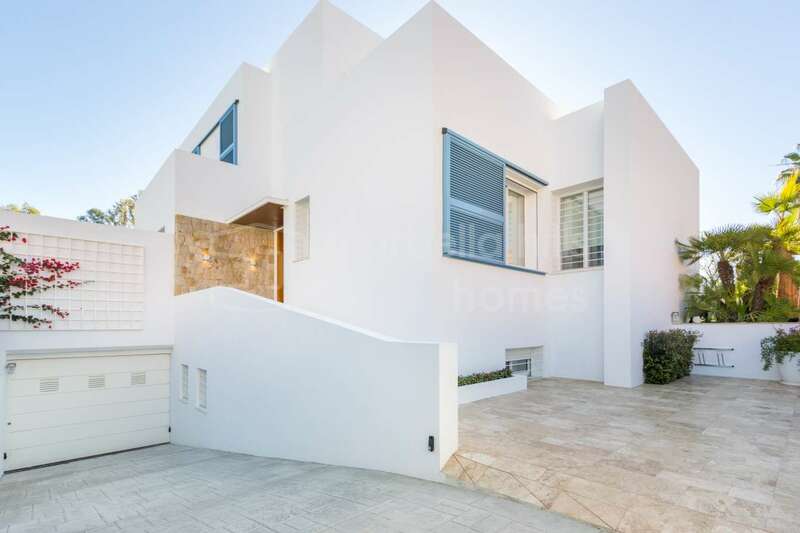 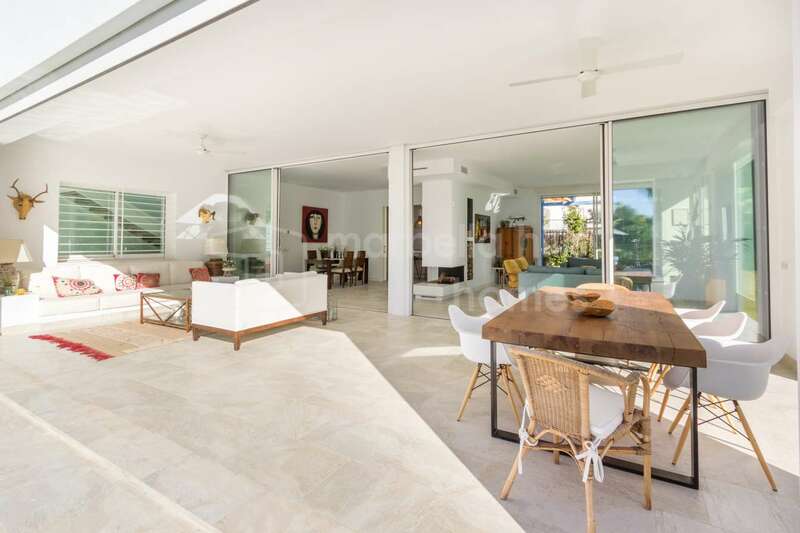 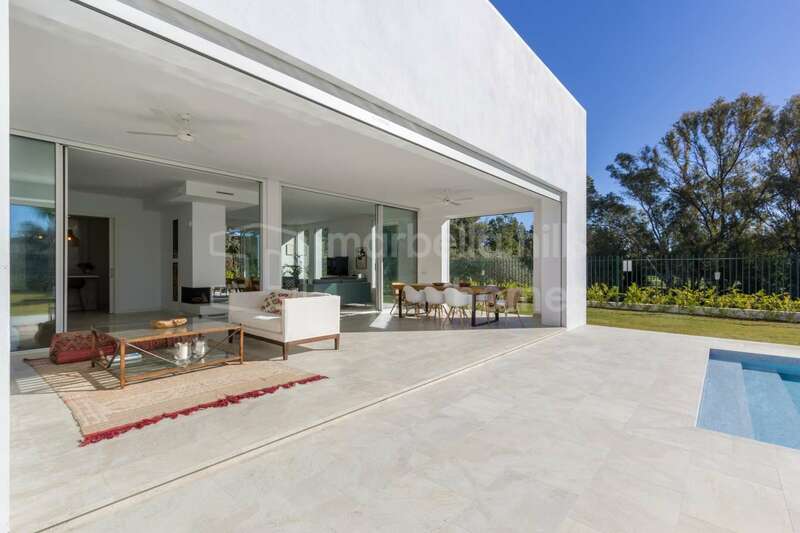 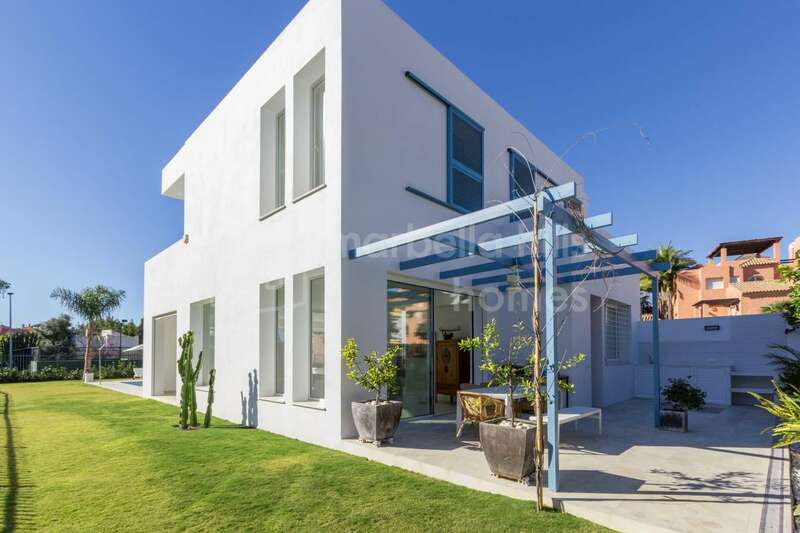 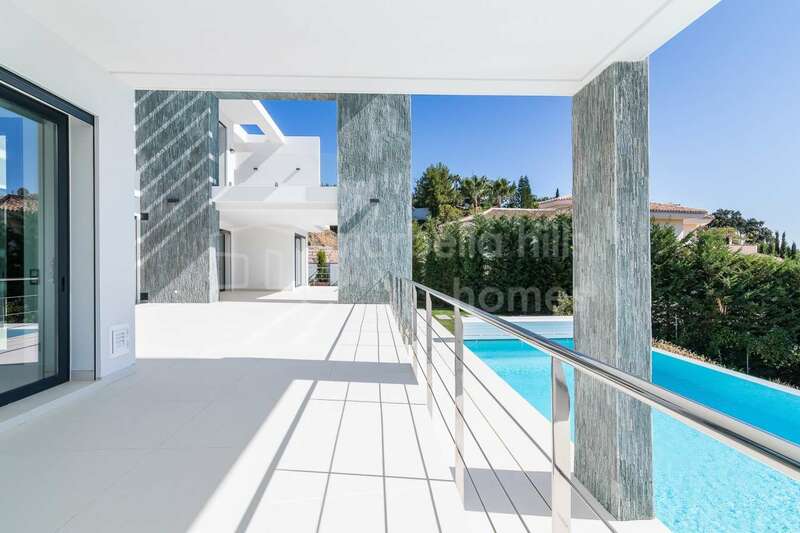 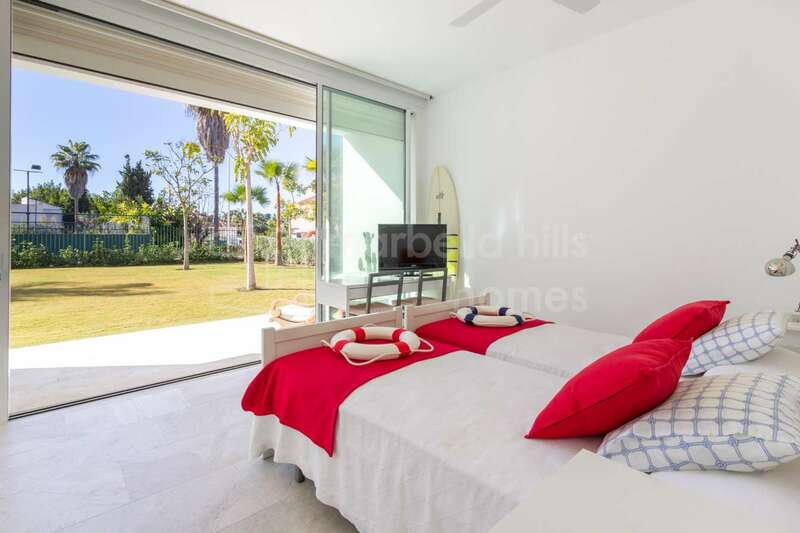 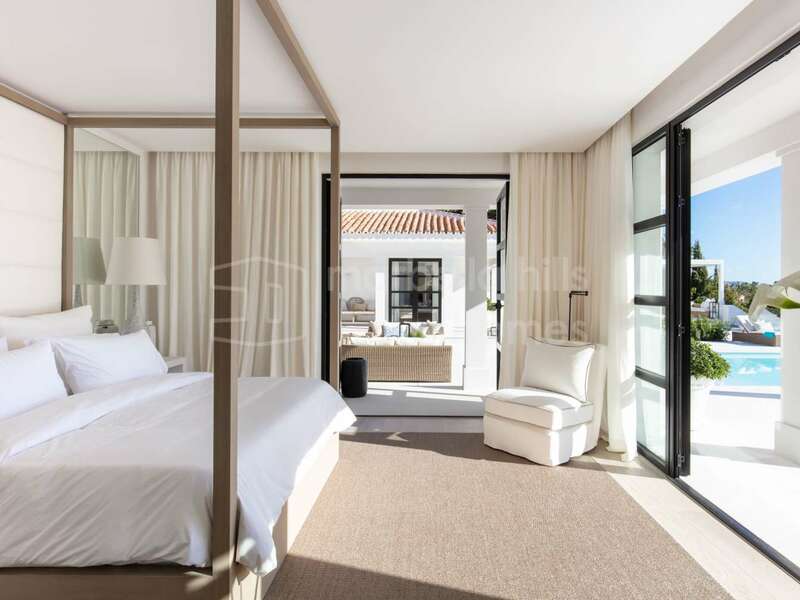 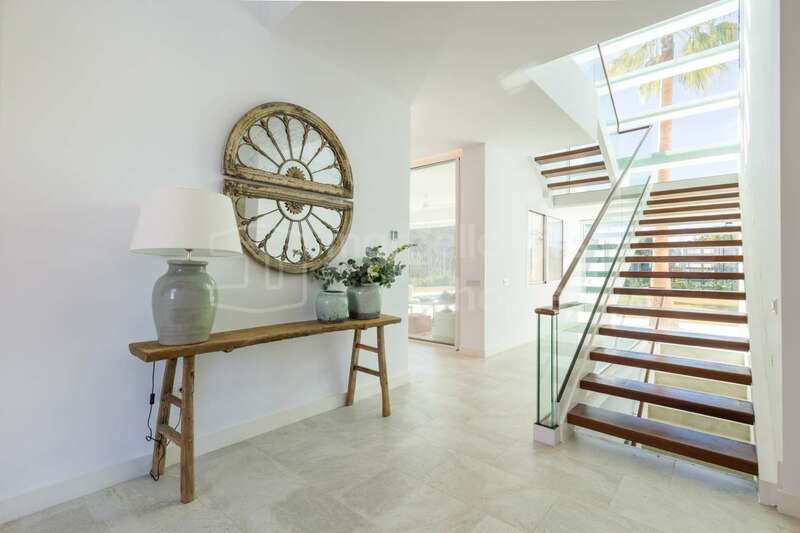 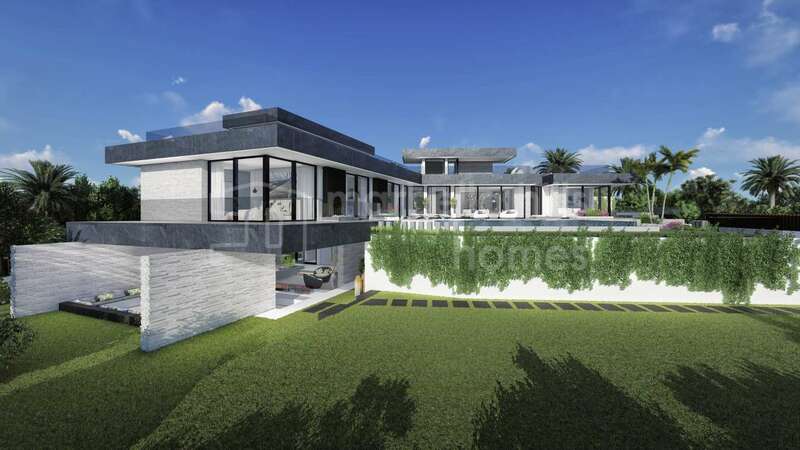 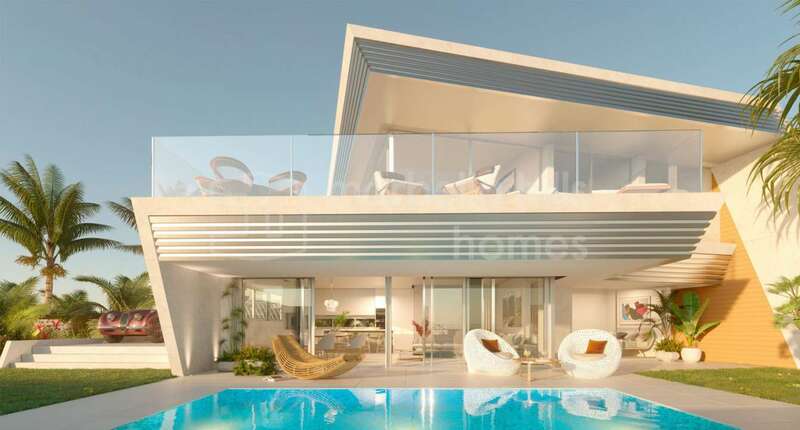 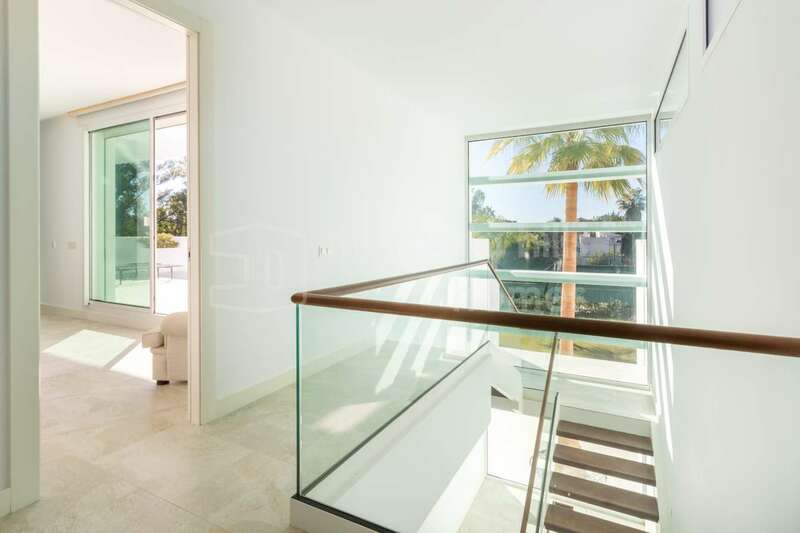 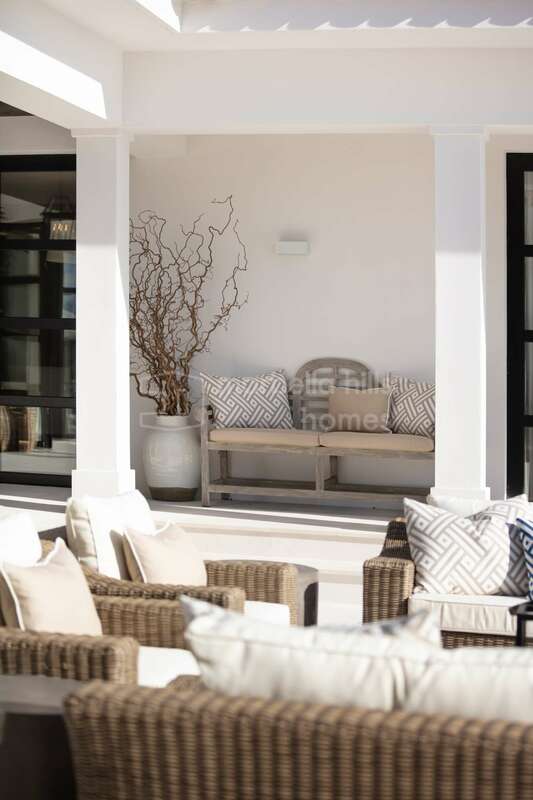 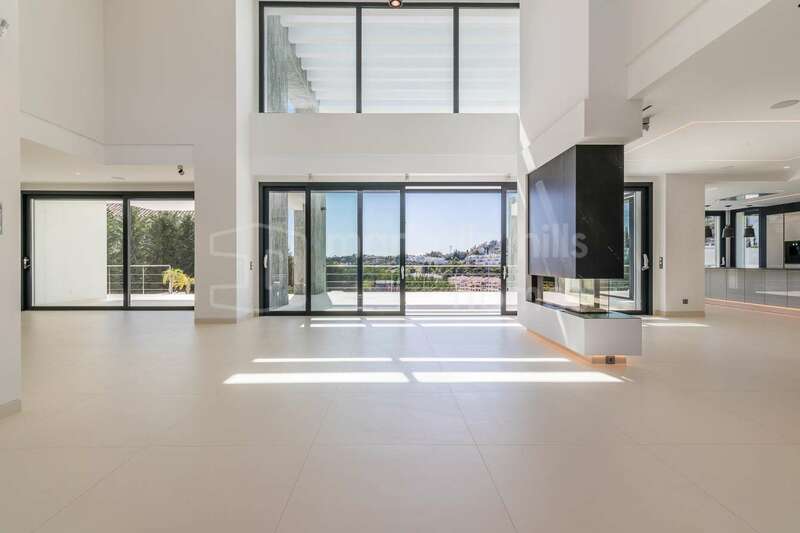 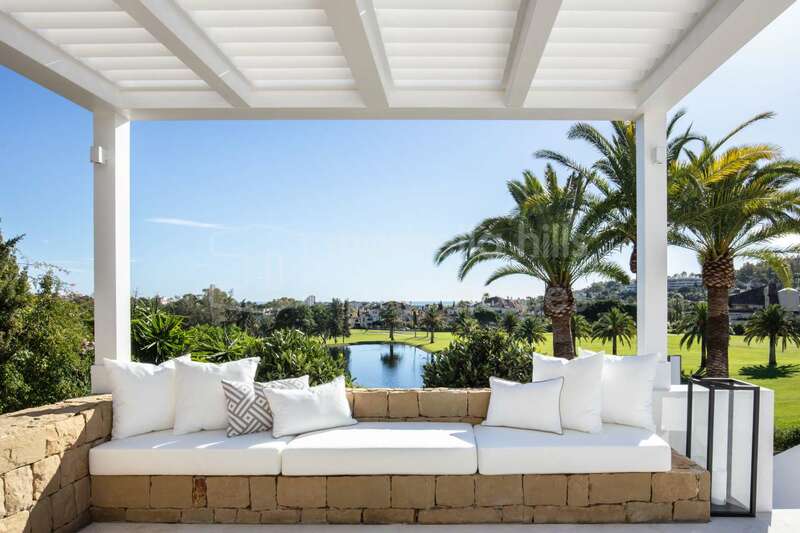 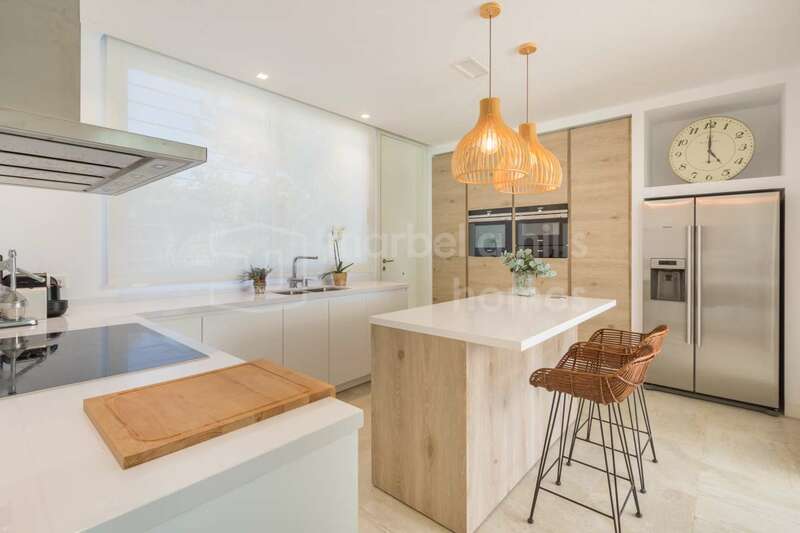 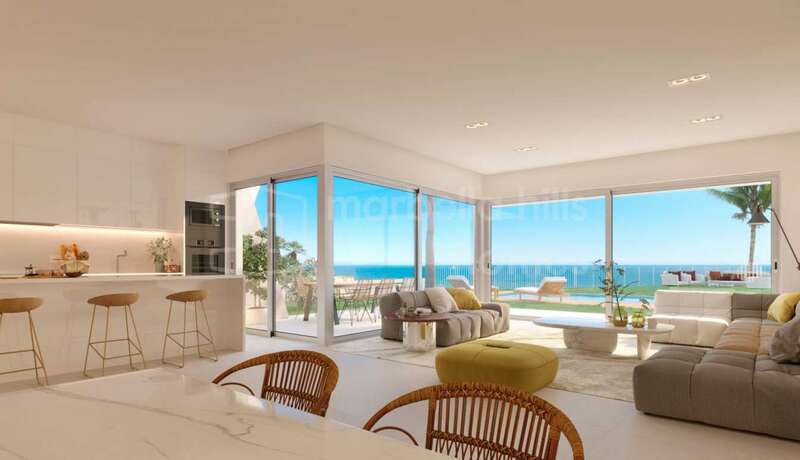 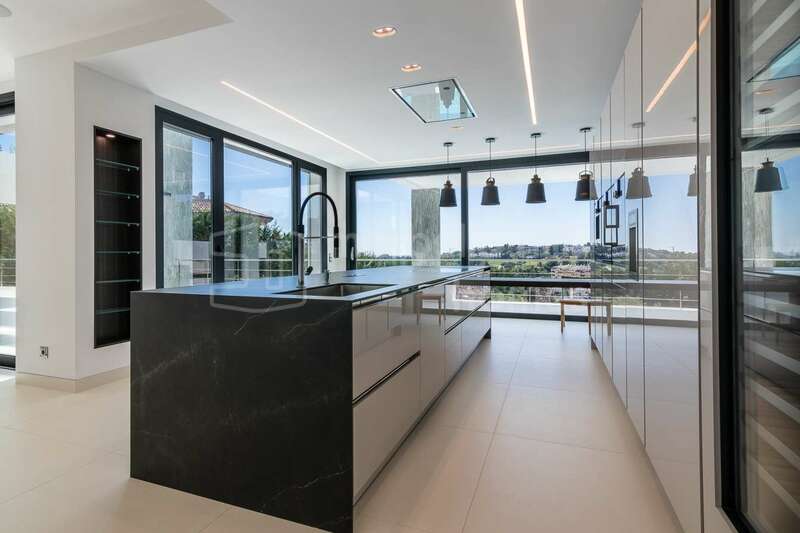 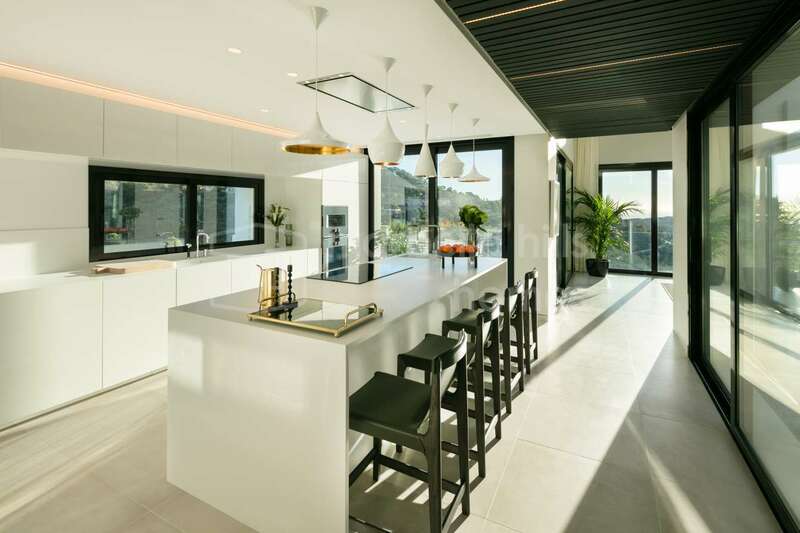 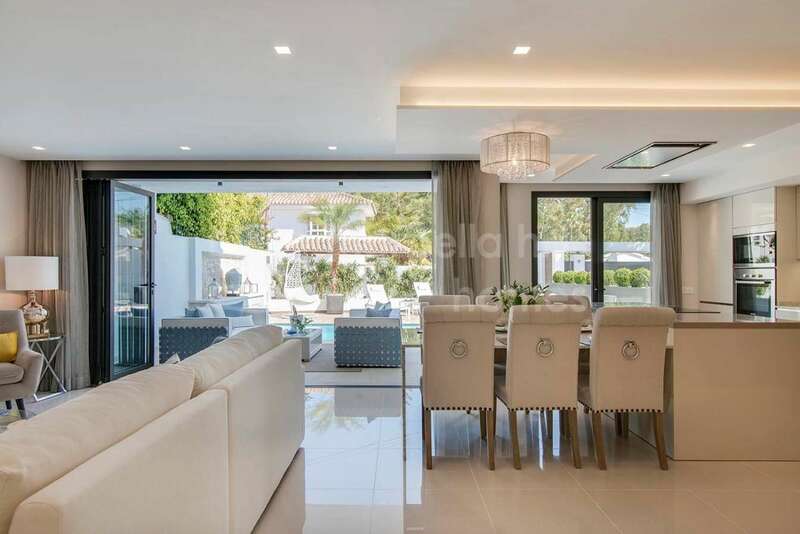 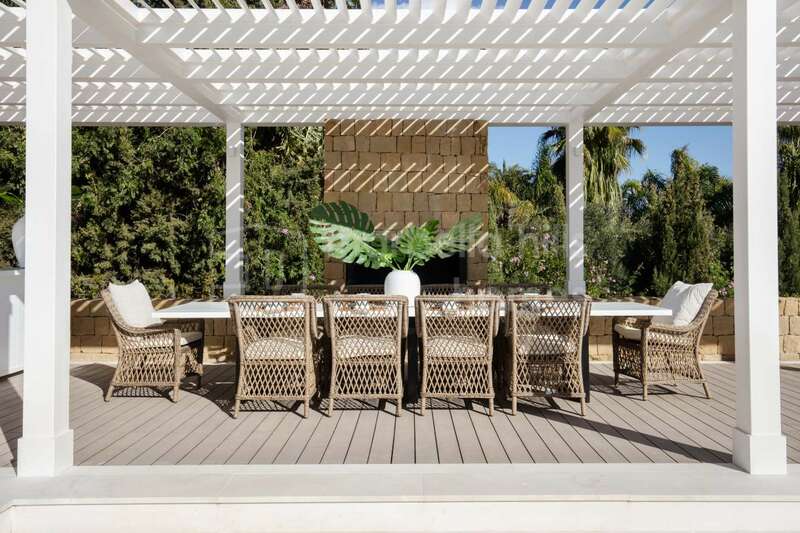 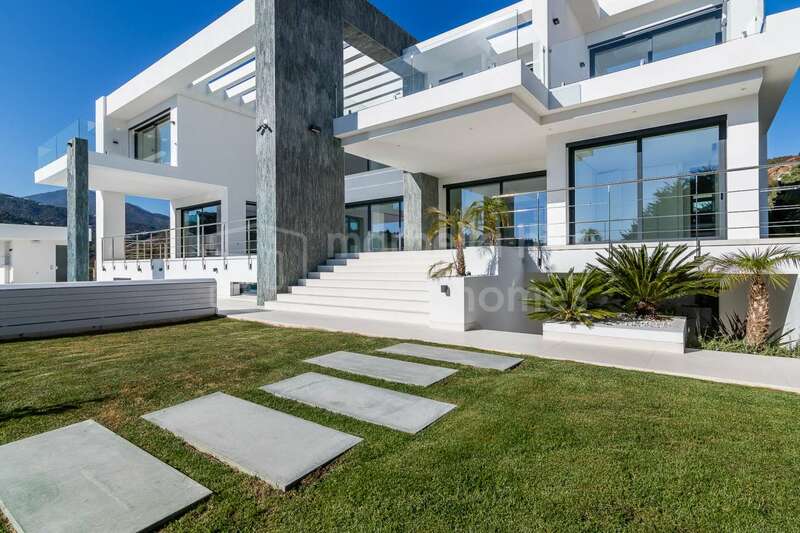 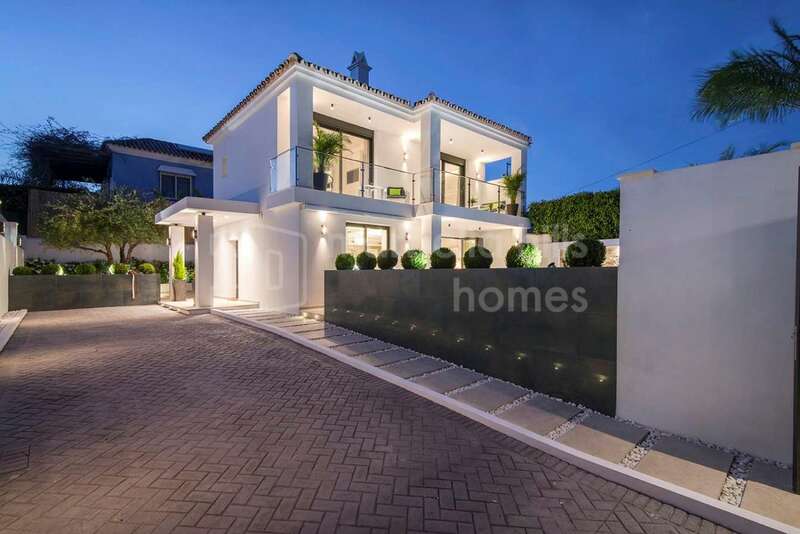 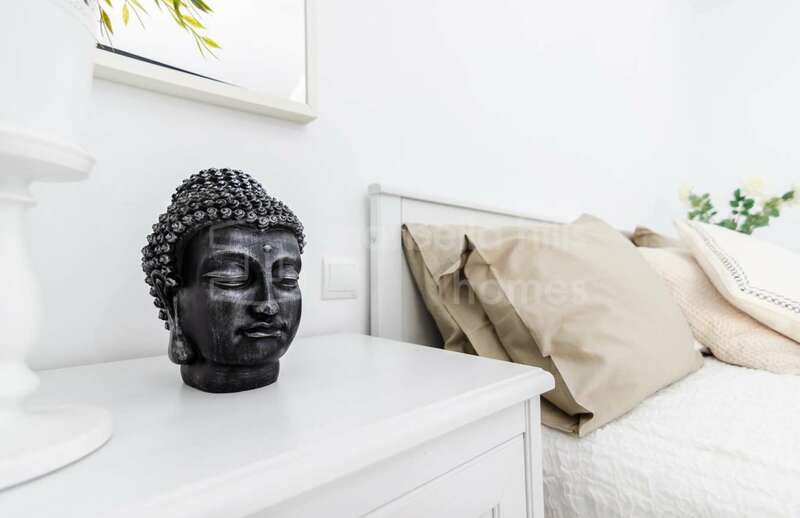 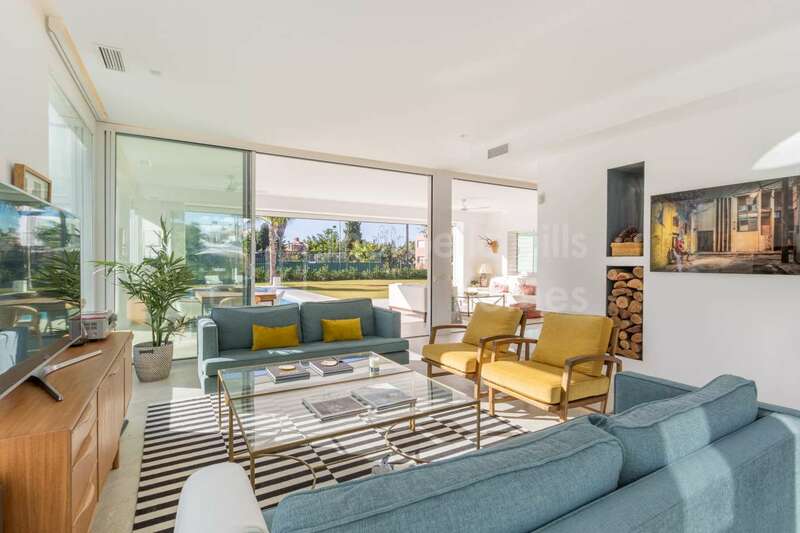 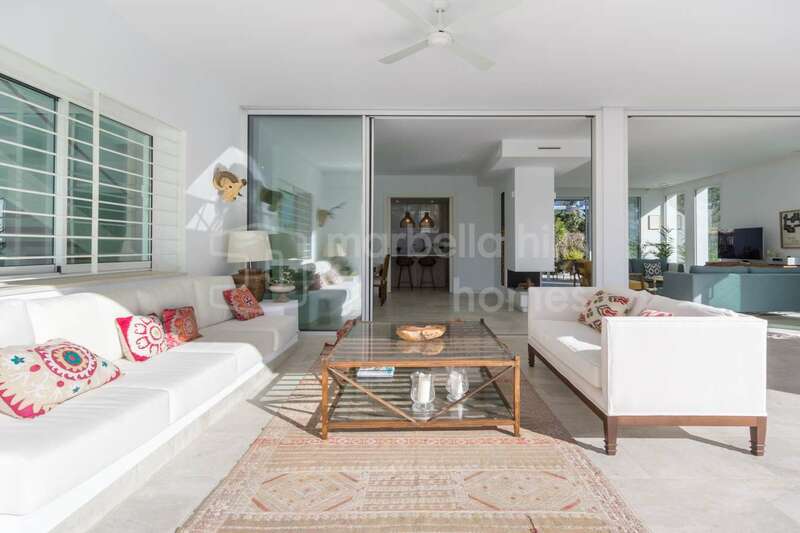 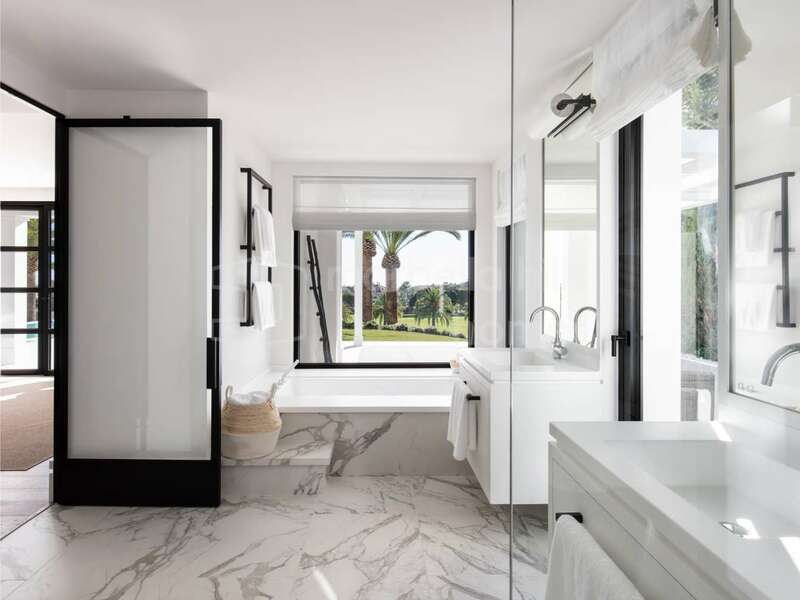 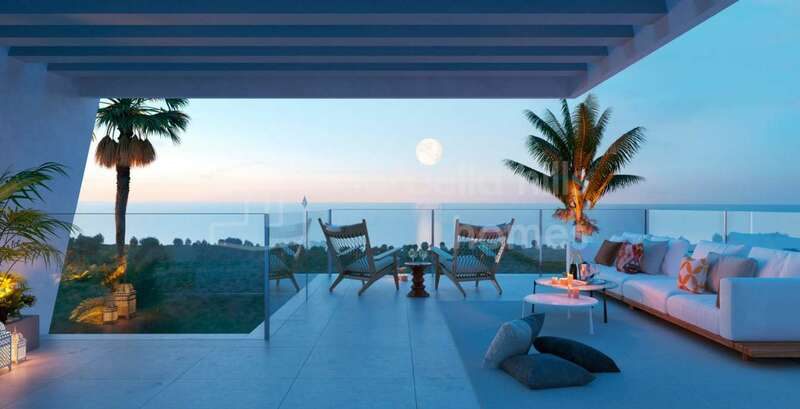 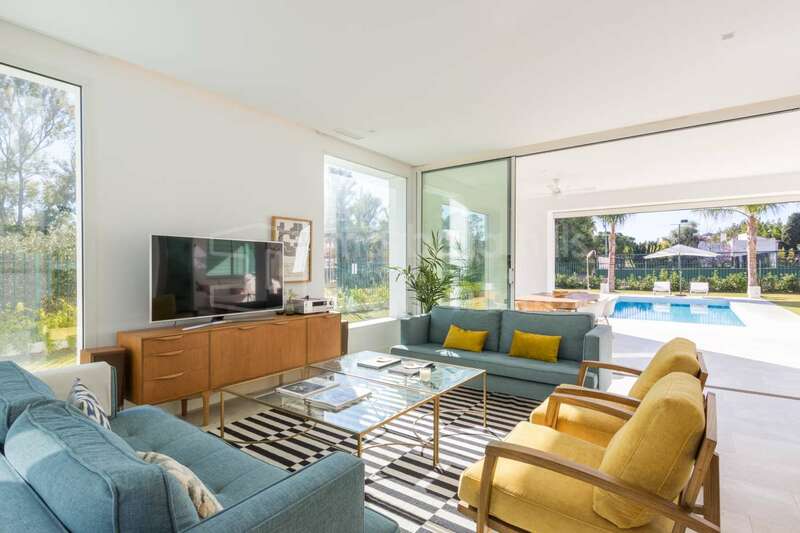 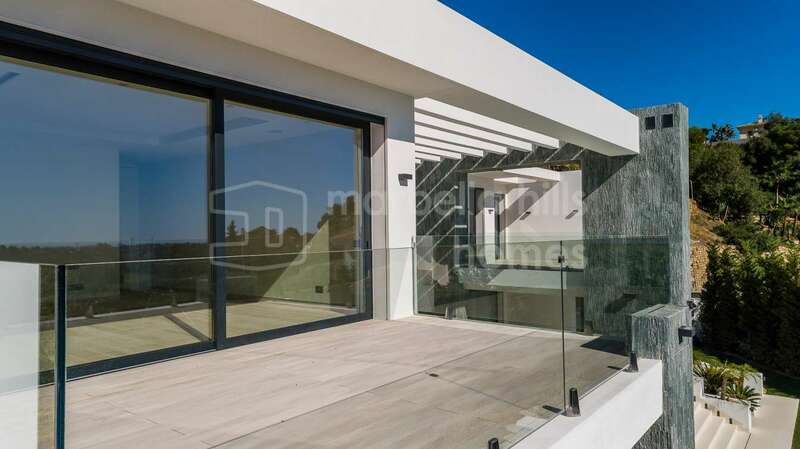 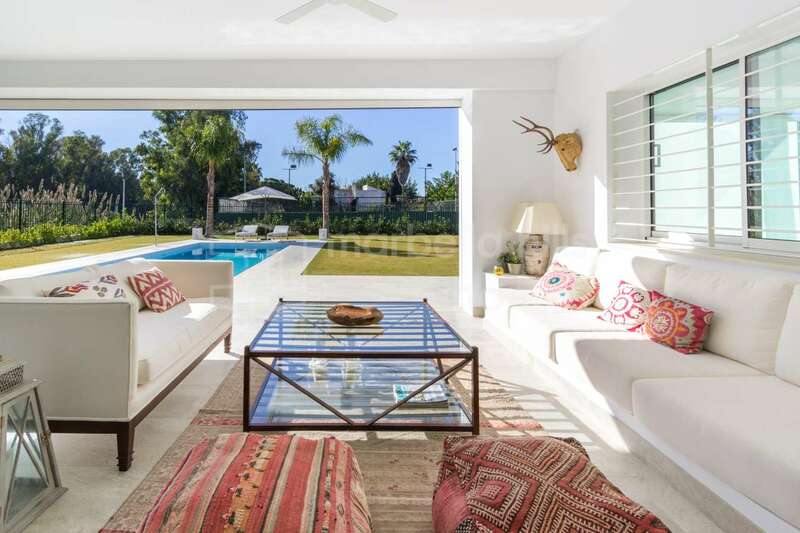 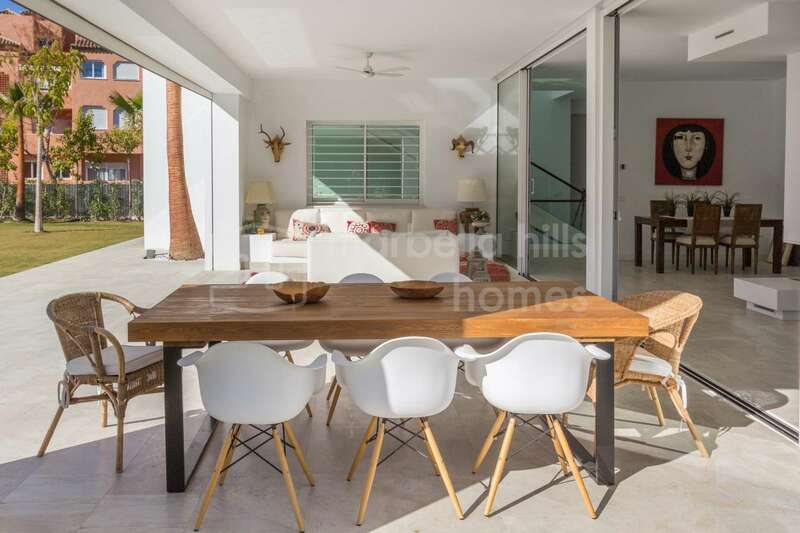 The trend is also visible in villas such as this modern beachfront villa in Marbella East, whose minimalist Mediterranean garden blends in with the dunes and open sea views. 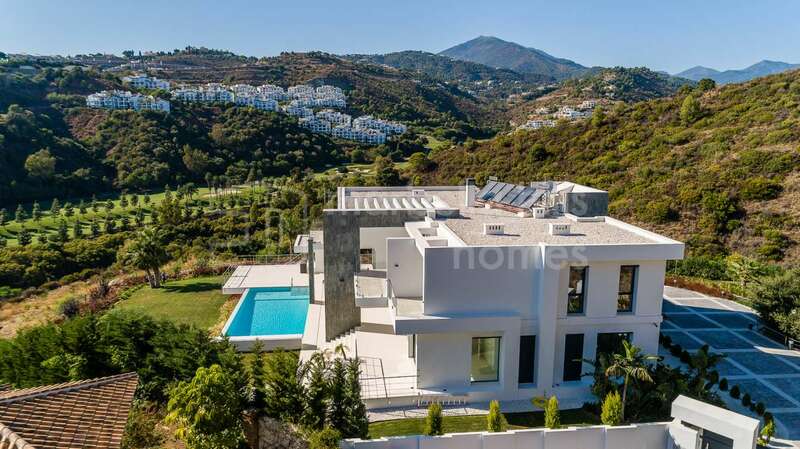 The luxurious villa with beautiful garden on the Golden Mile is more classical in its layout, surrounded by a luxurious lawn and lush garden, while this ten-bedroom contemporary country villa near the village of Casares offers those with green fingers every opportunity to create a truly paradisiacal landscape around themselves. 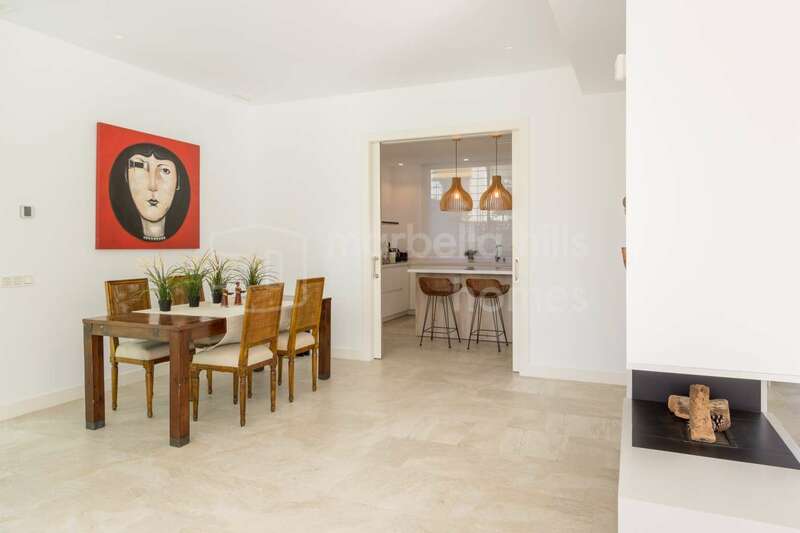 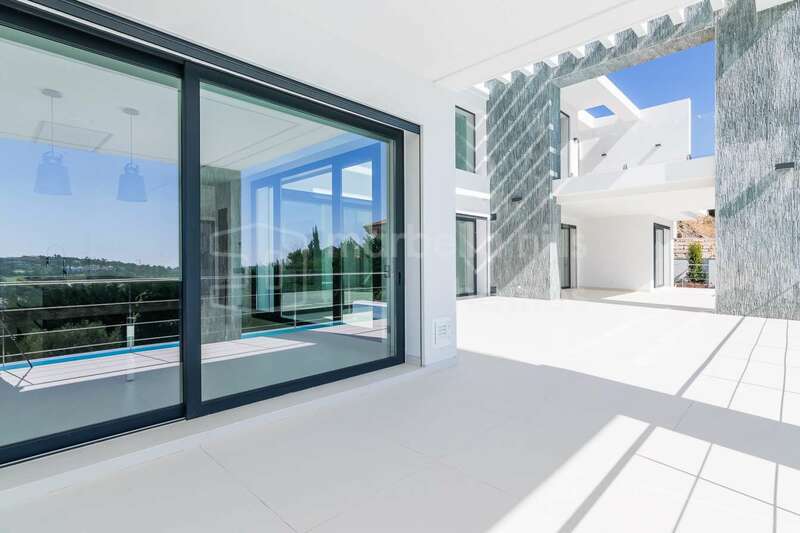 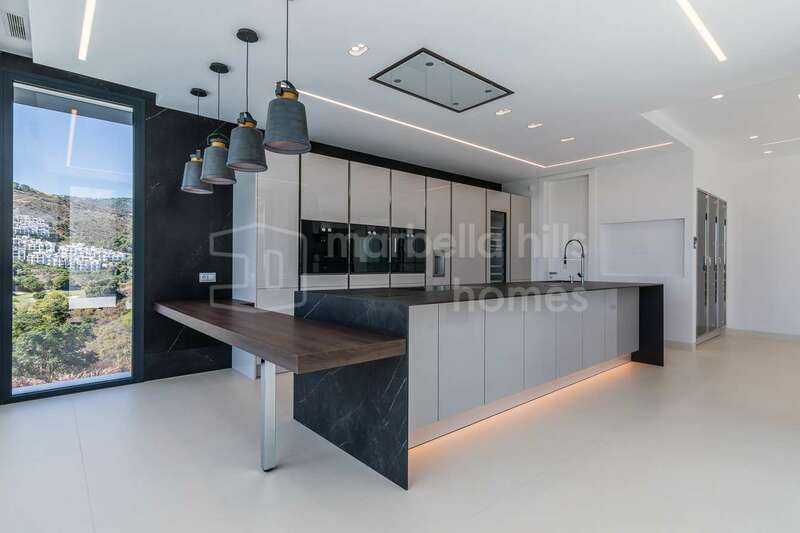 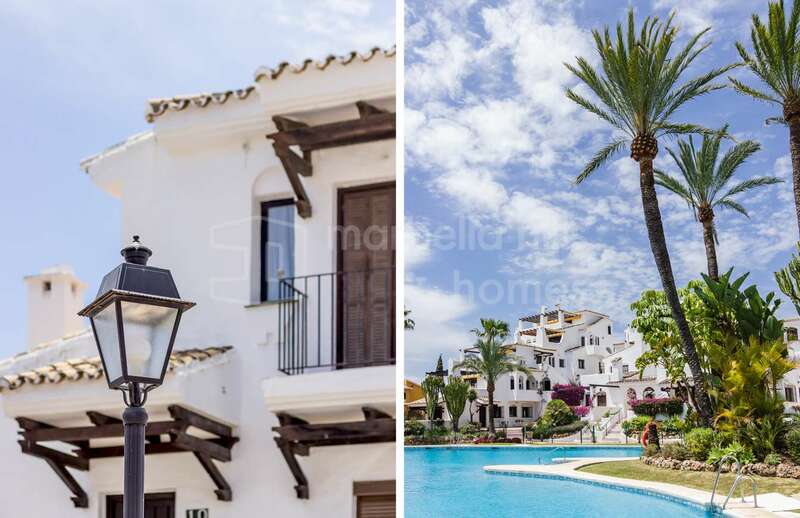 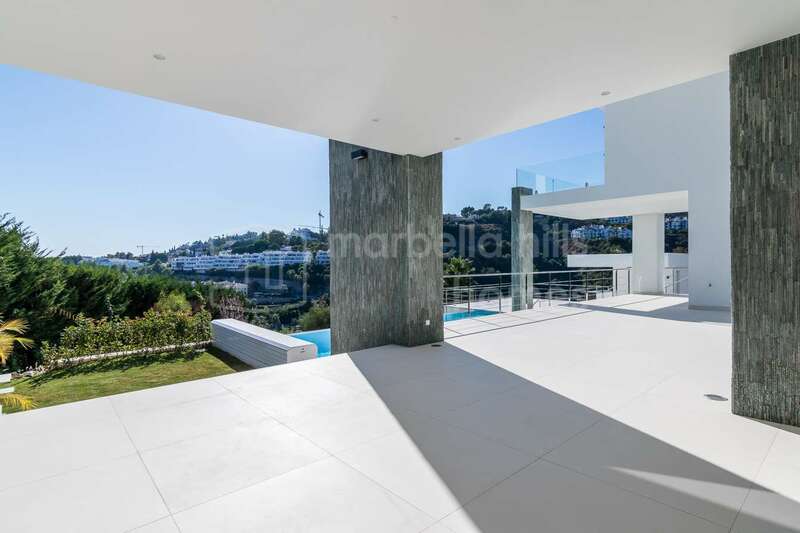 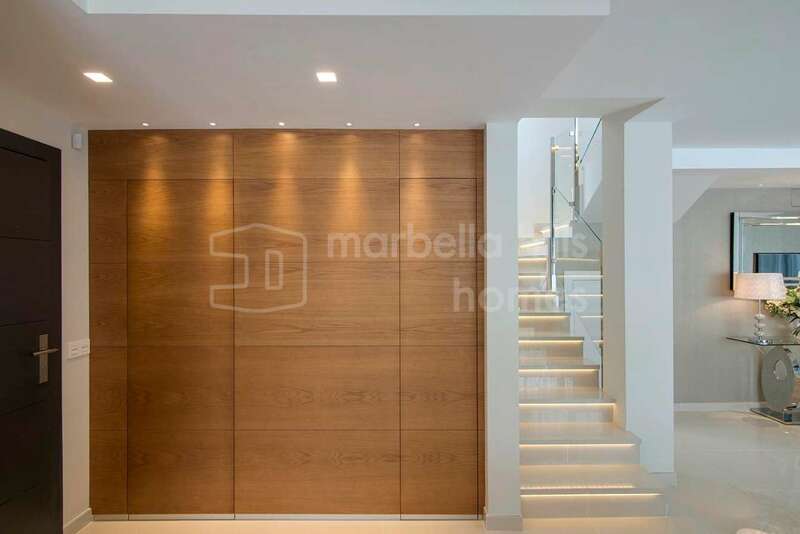 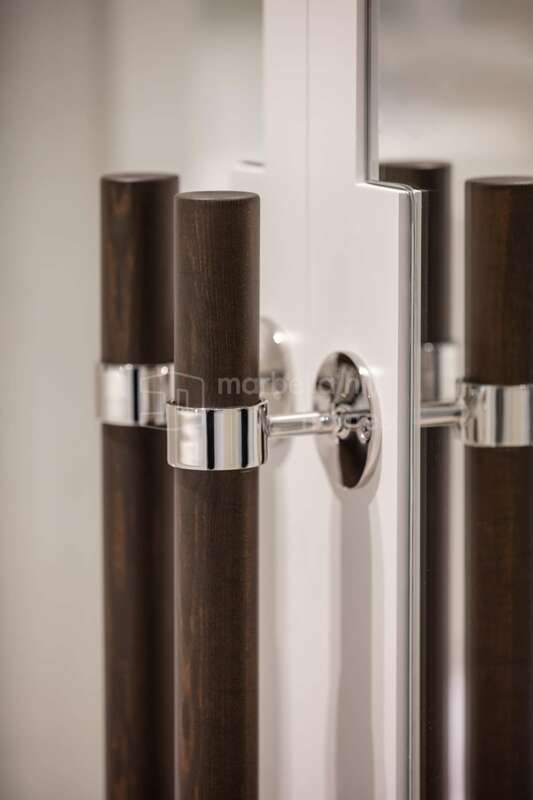 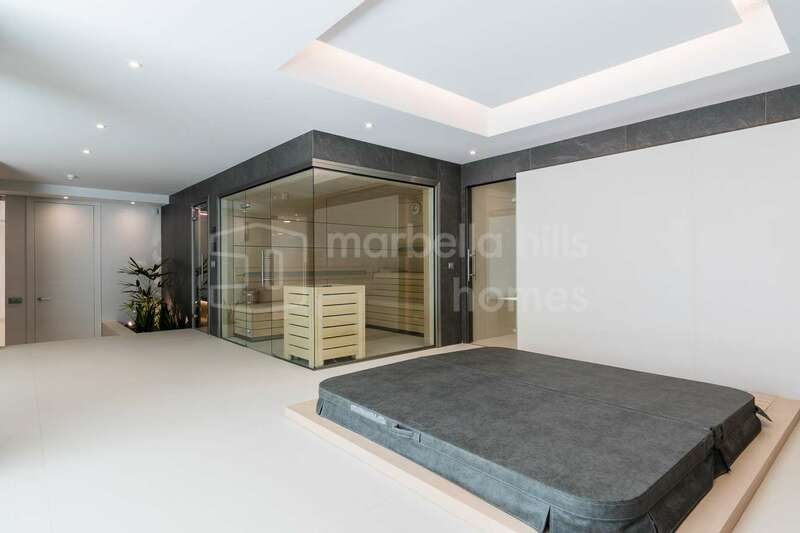 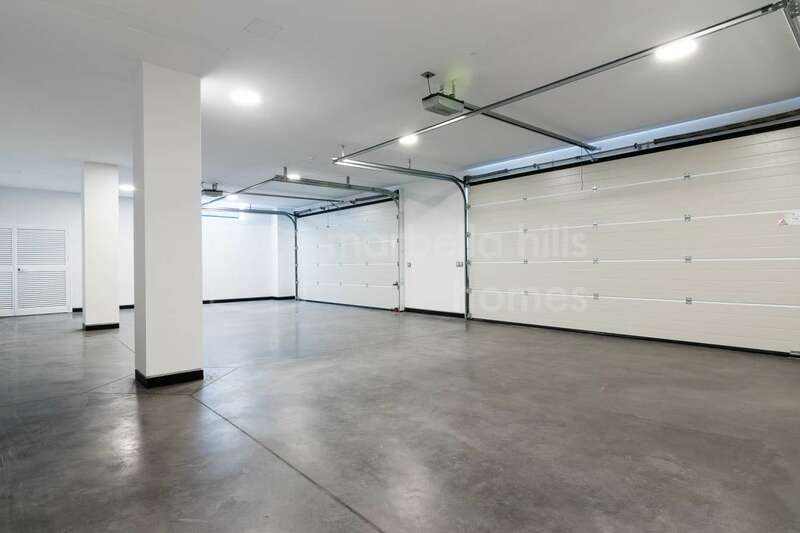 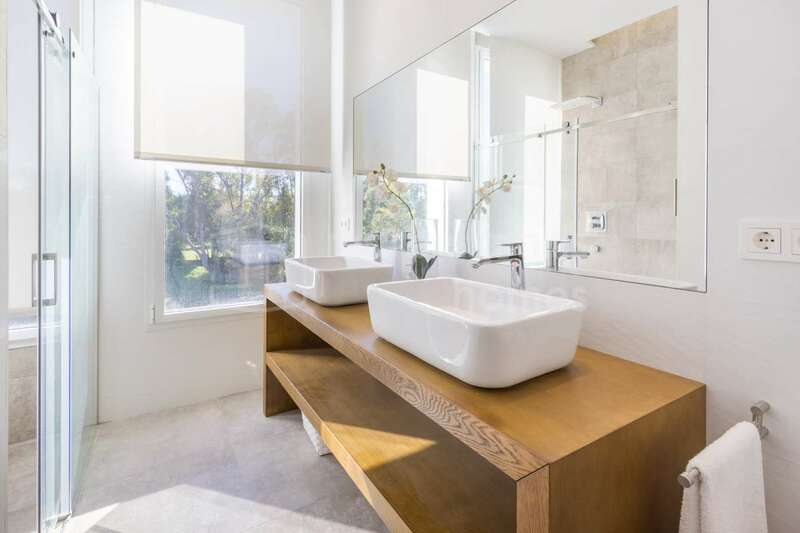 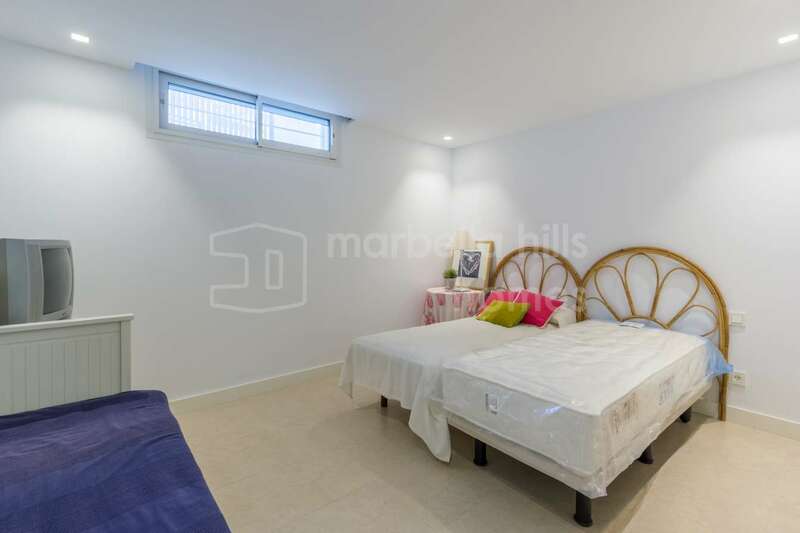 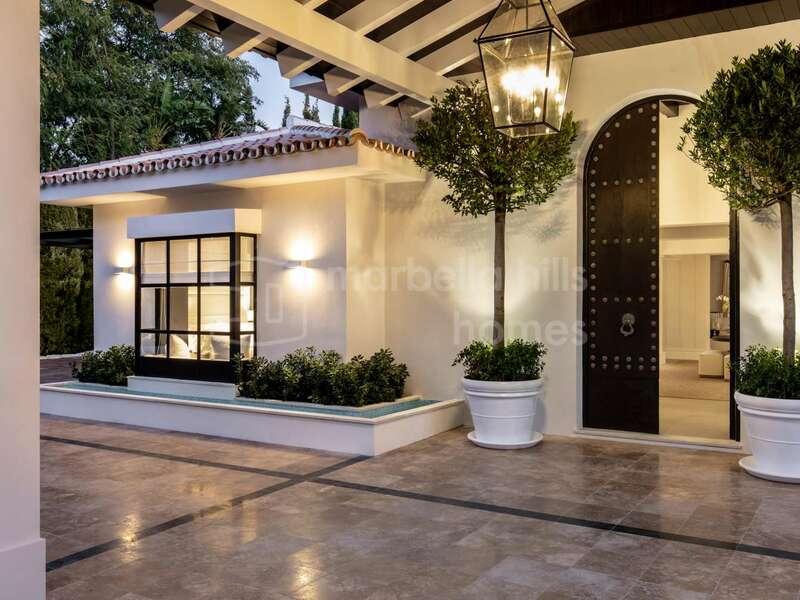 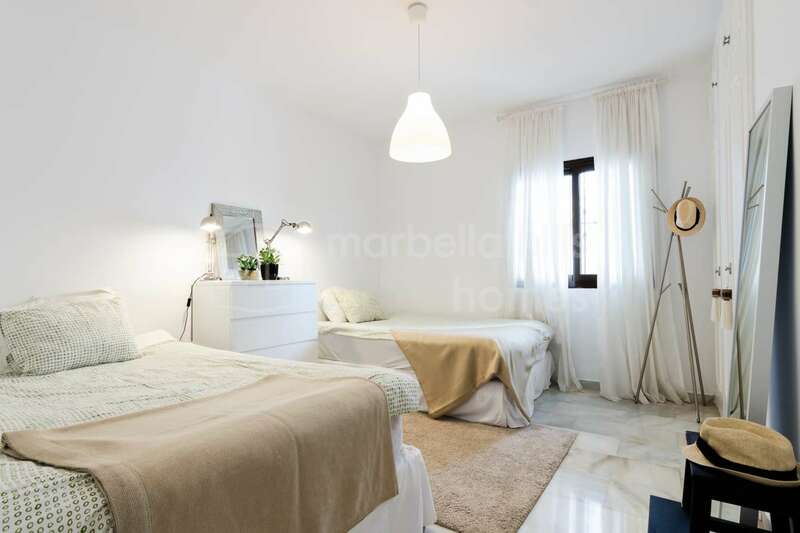 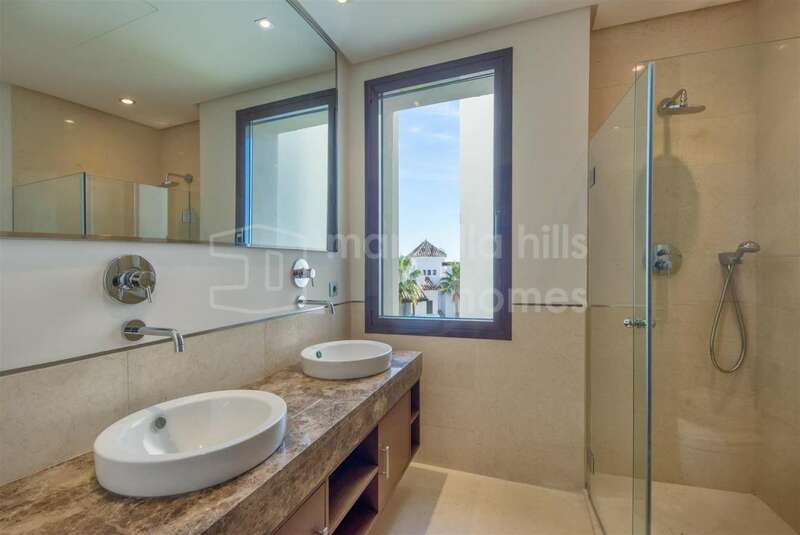 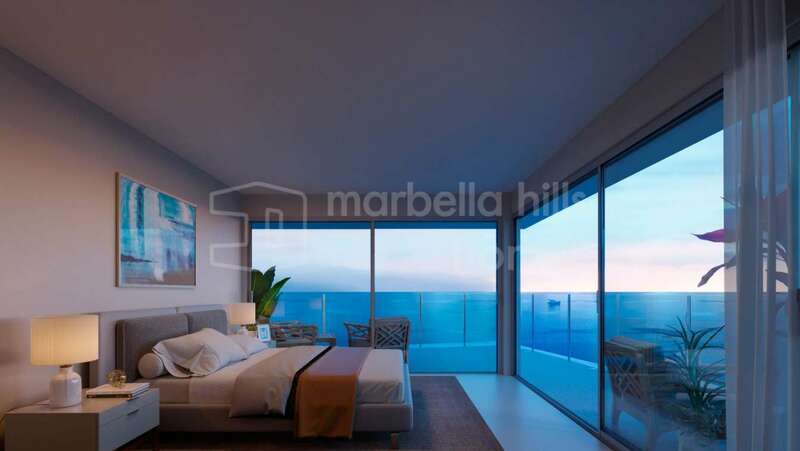 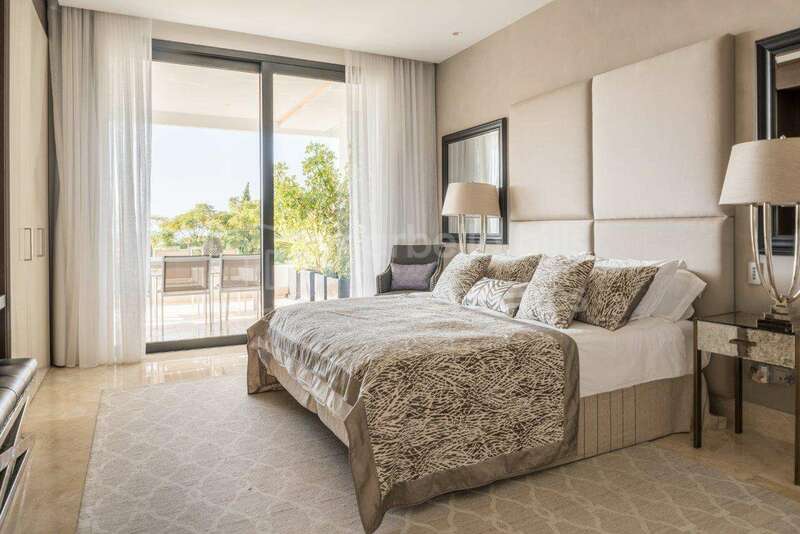 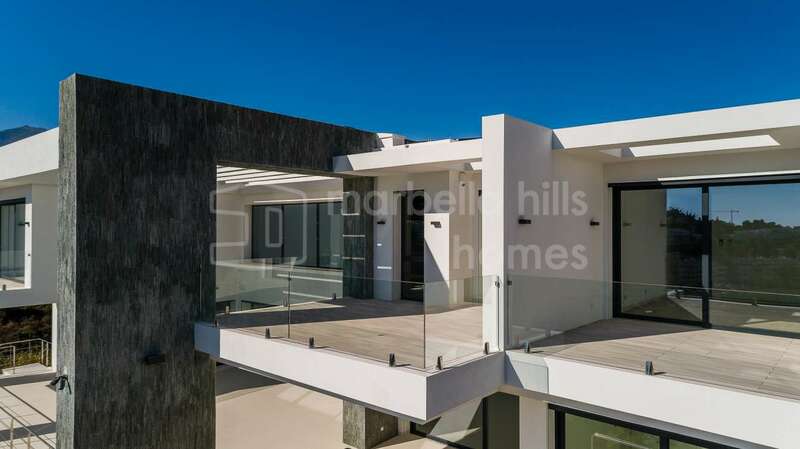 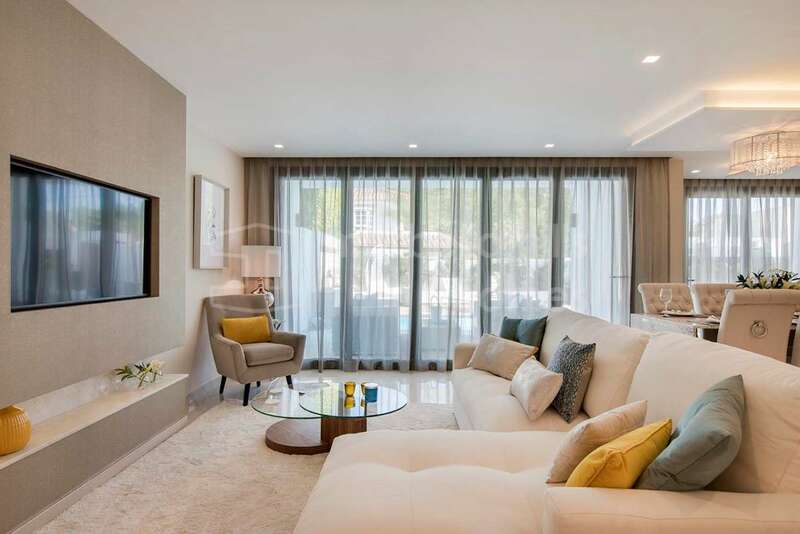 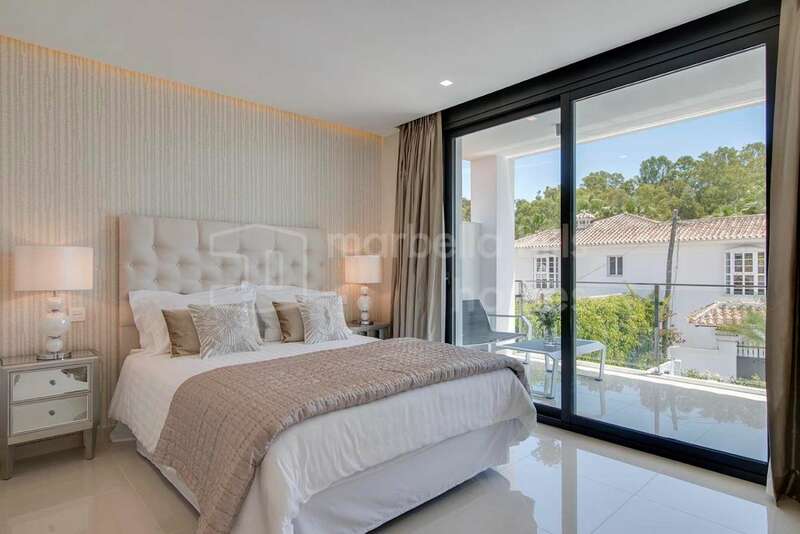 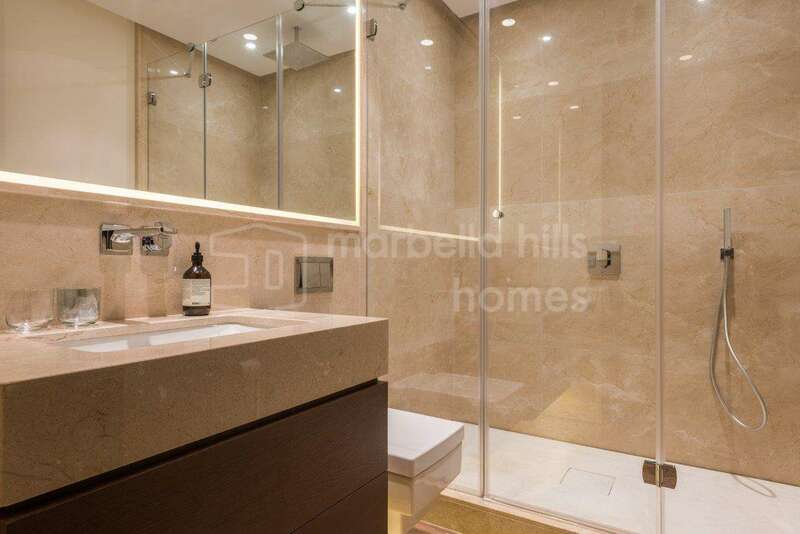 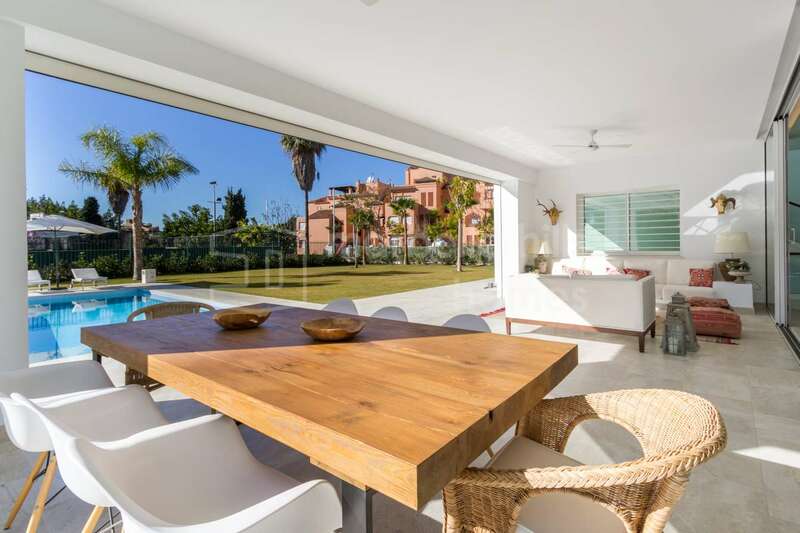 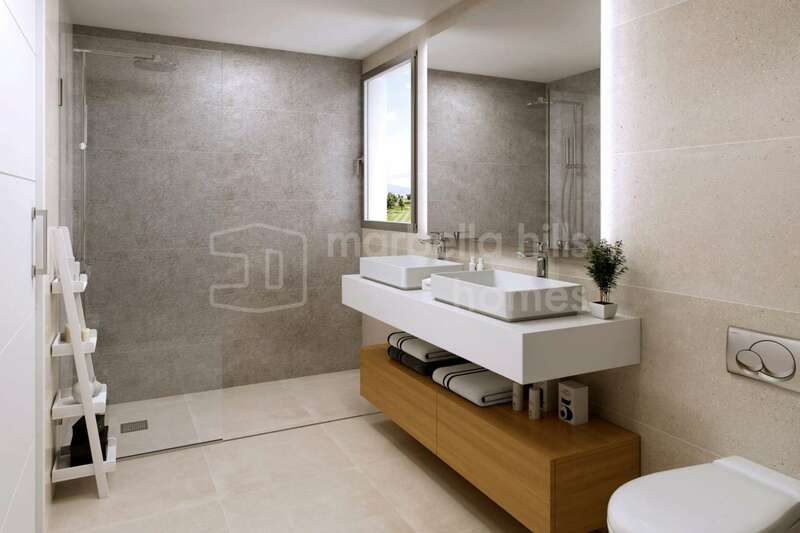 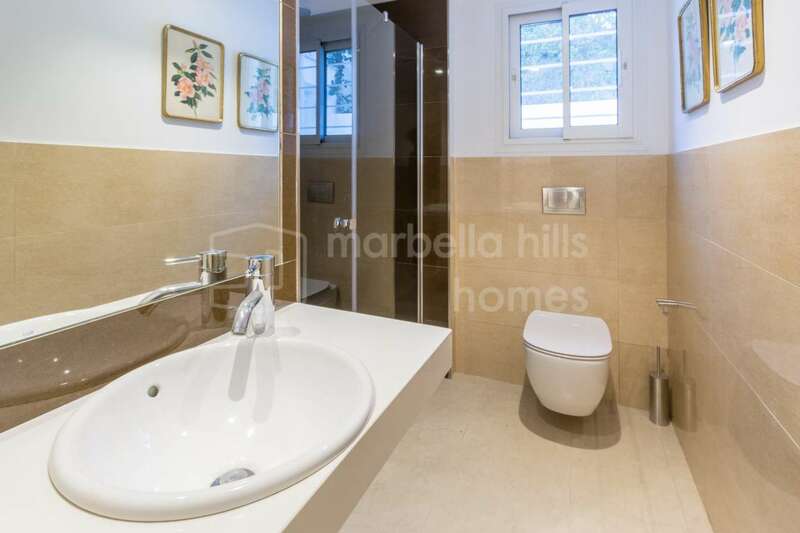 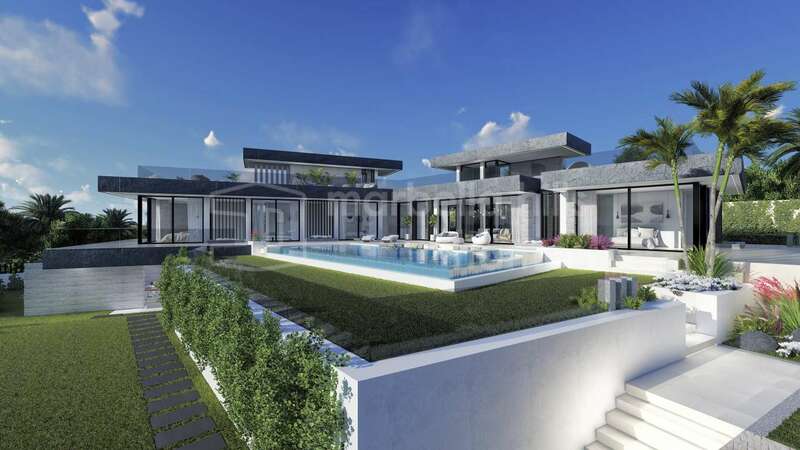 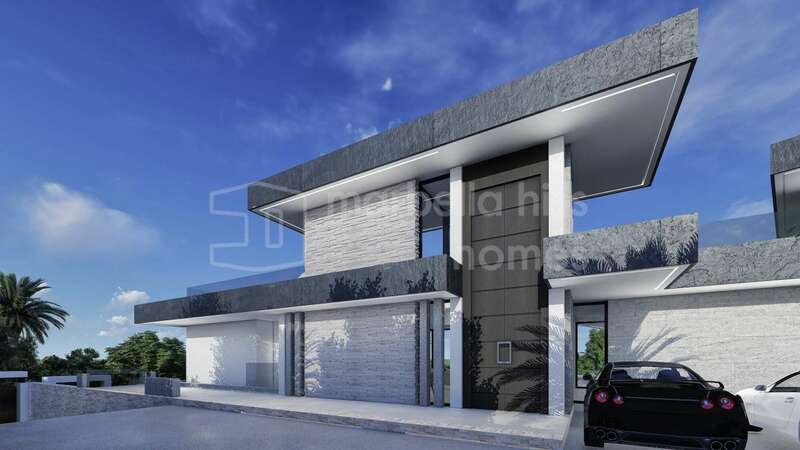 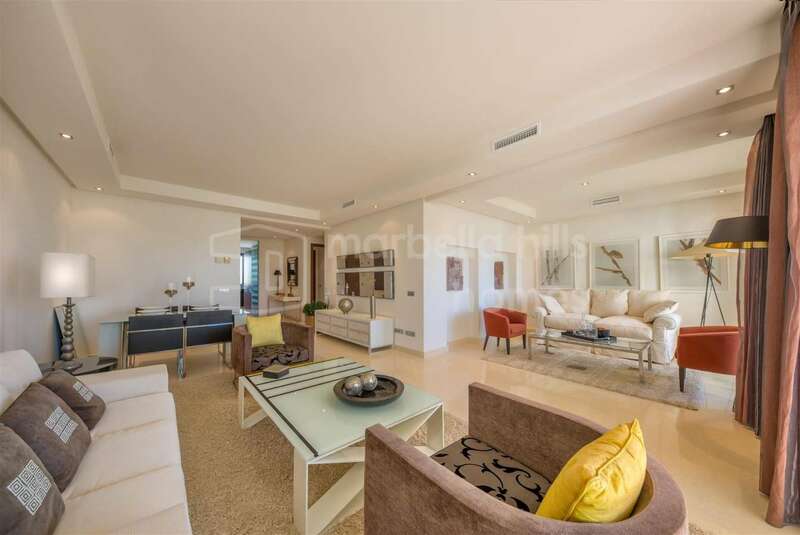 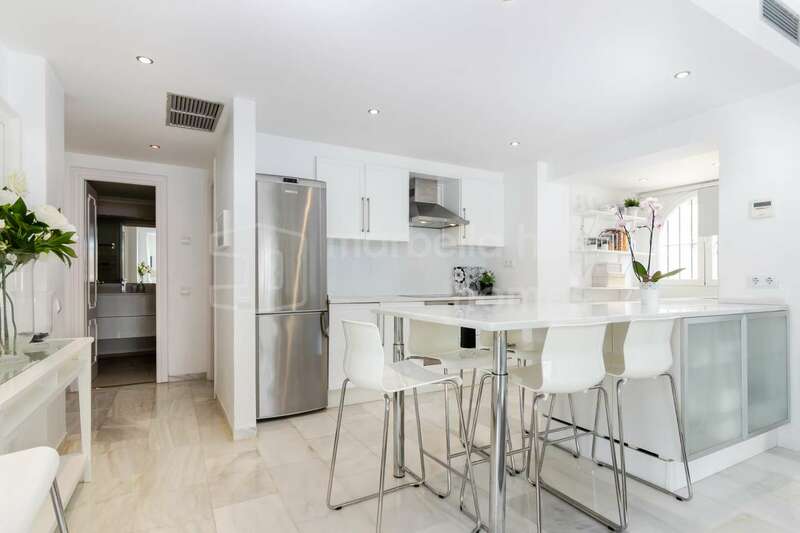 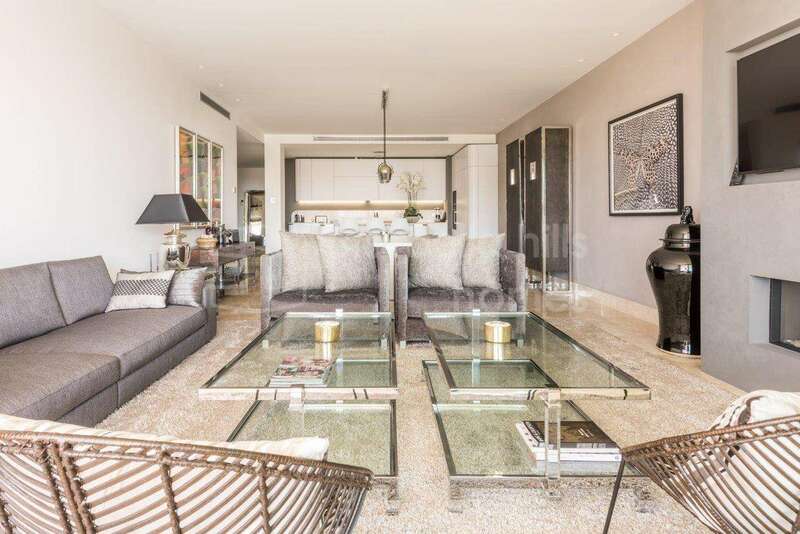 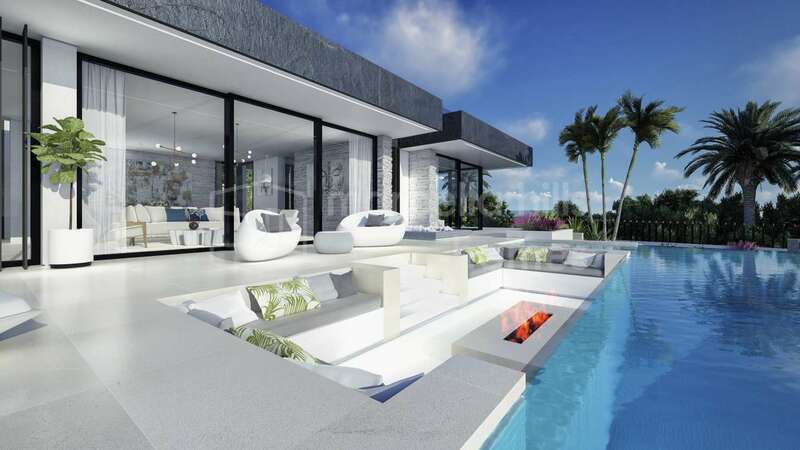 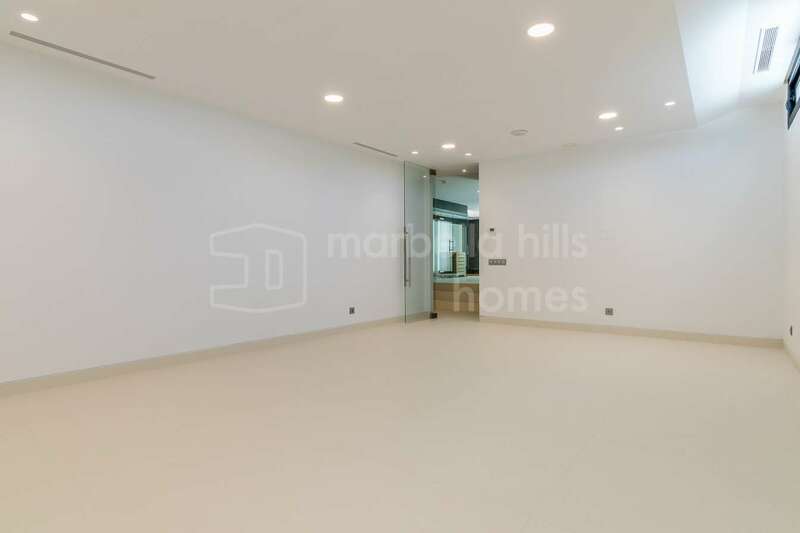 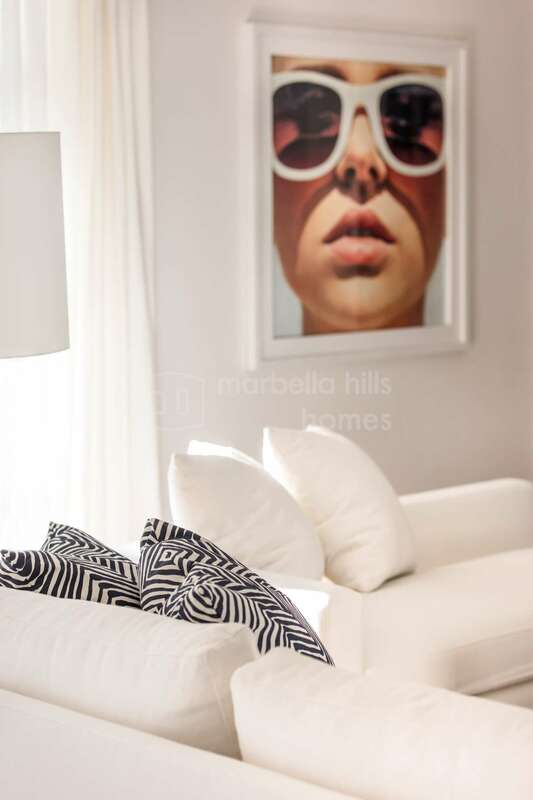 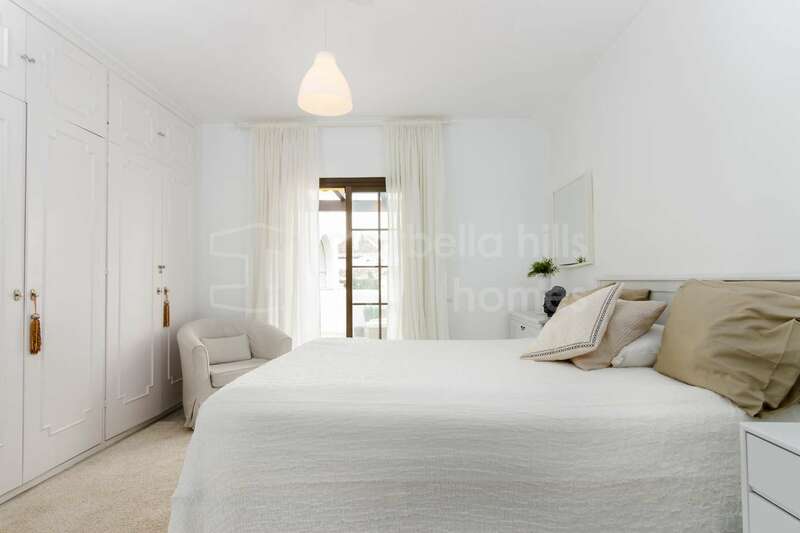 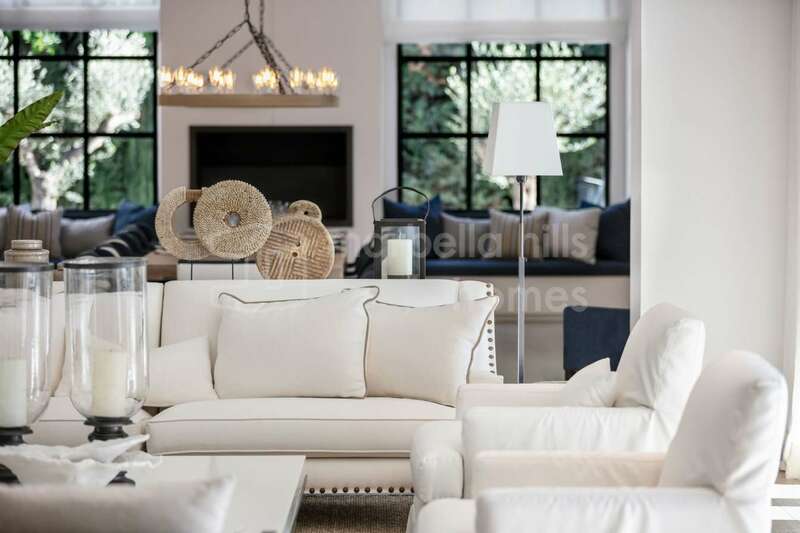 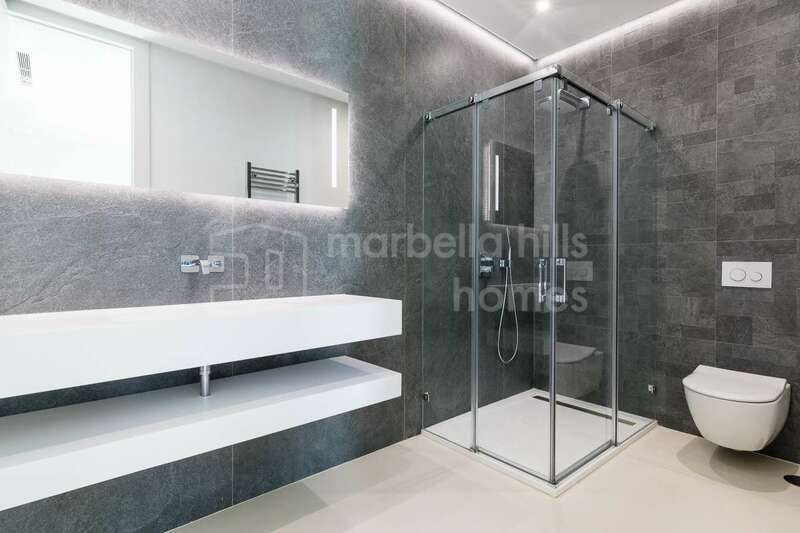 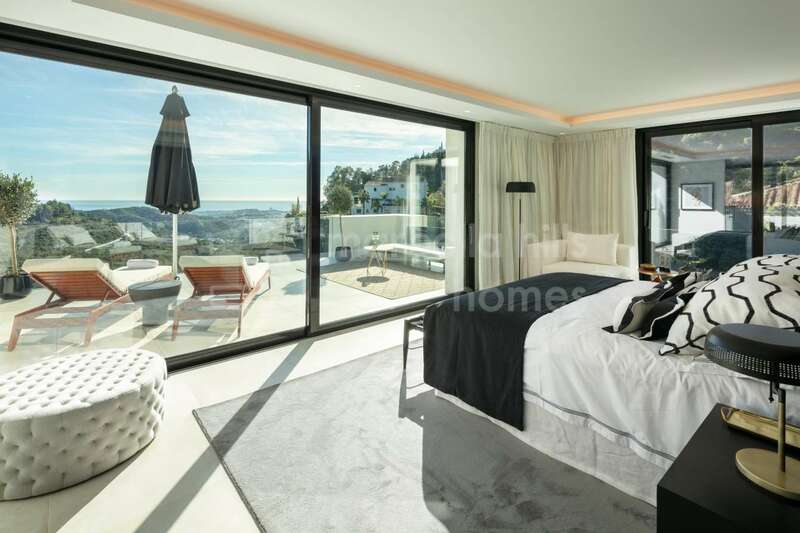 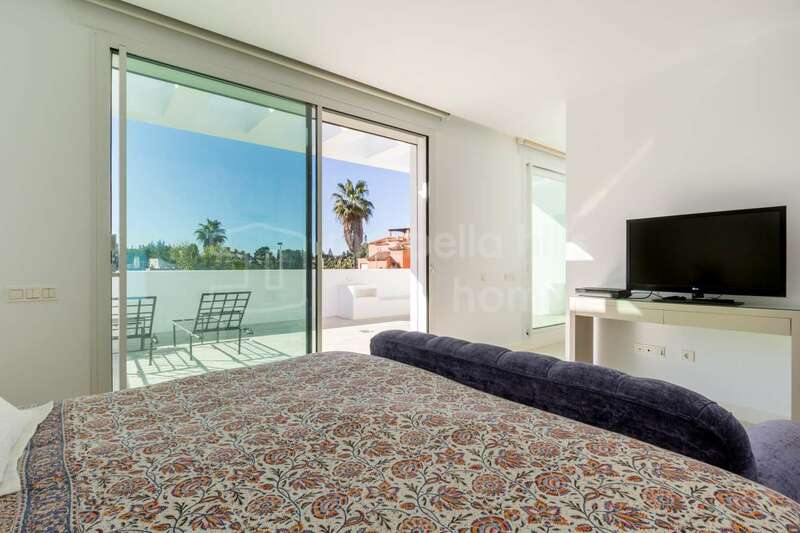 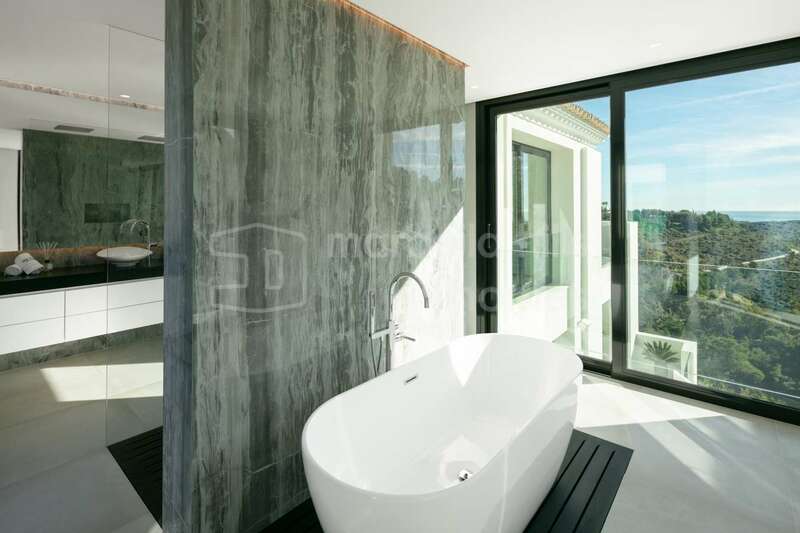 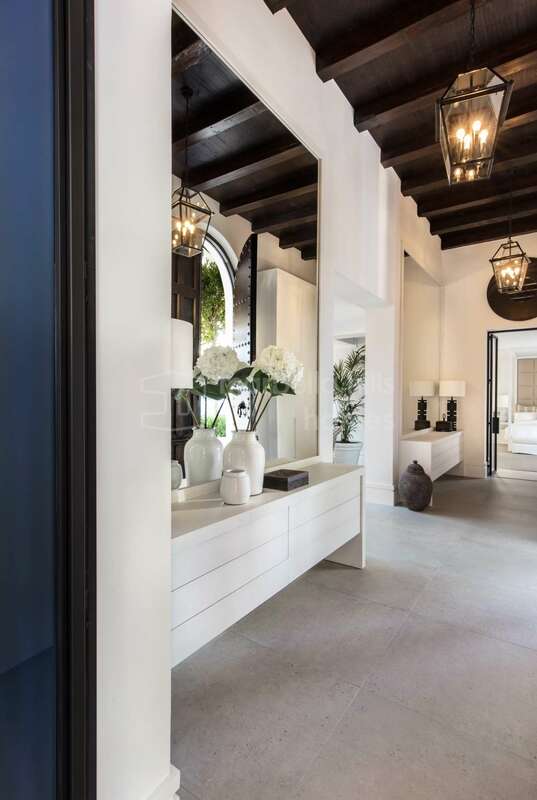 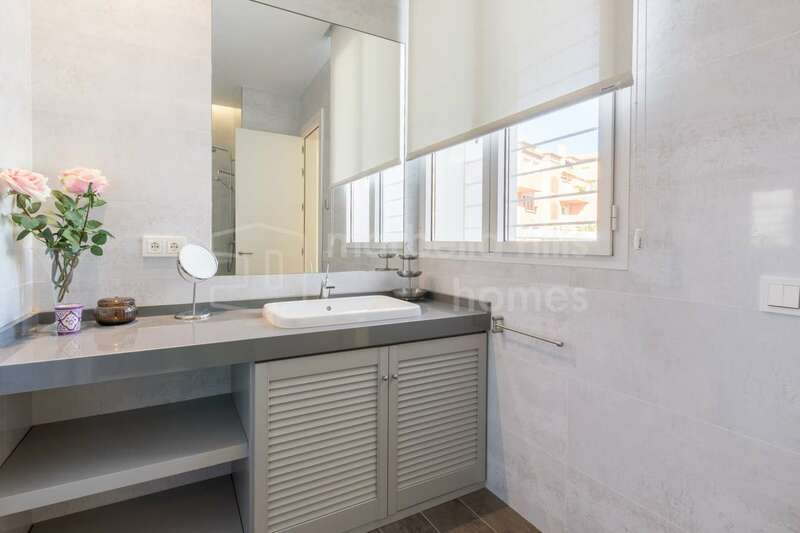 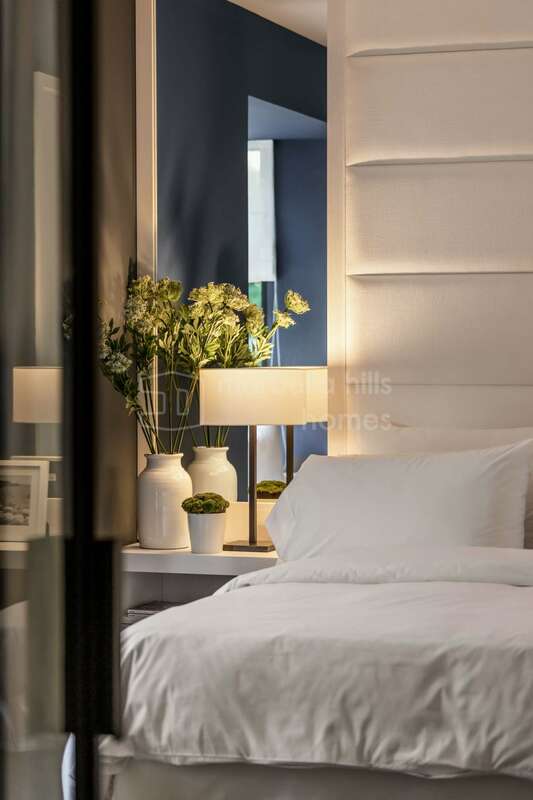 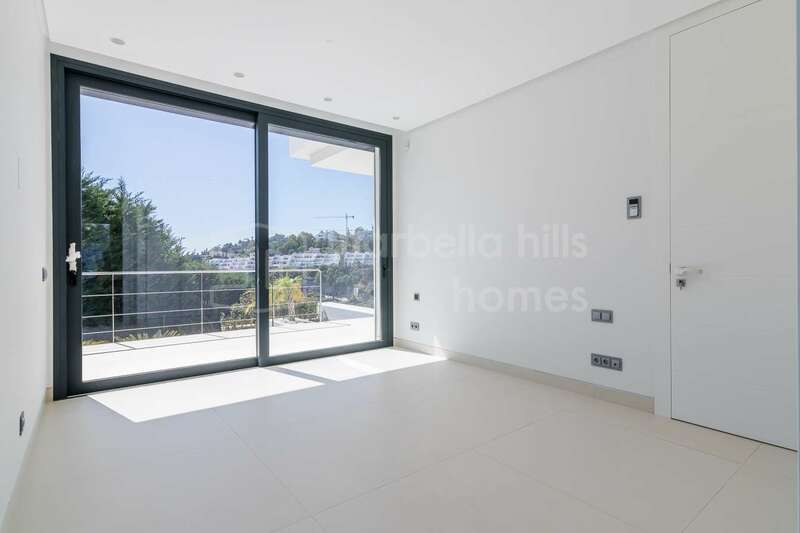 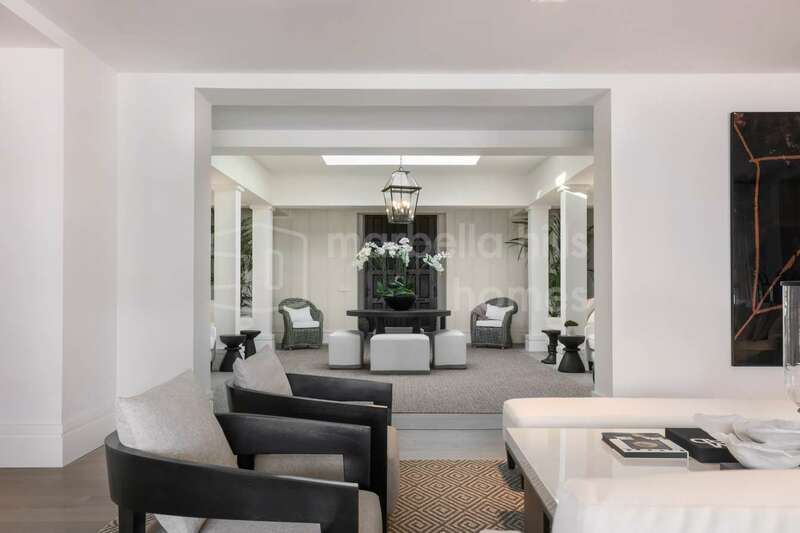 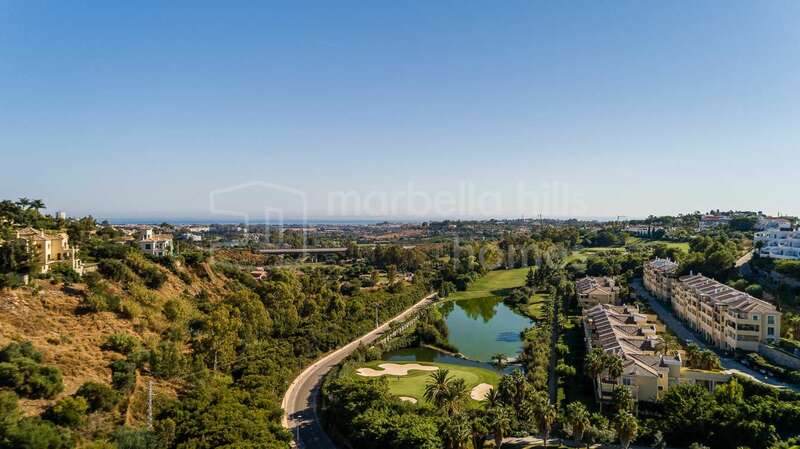 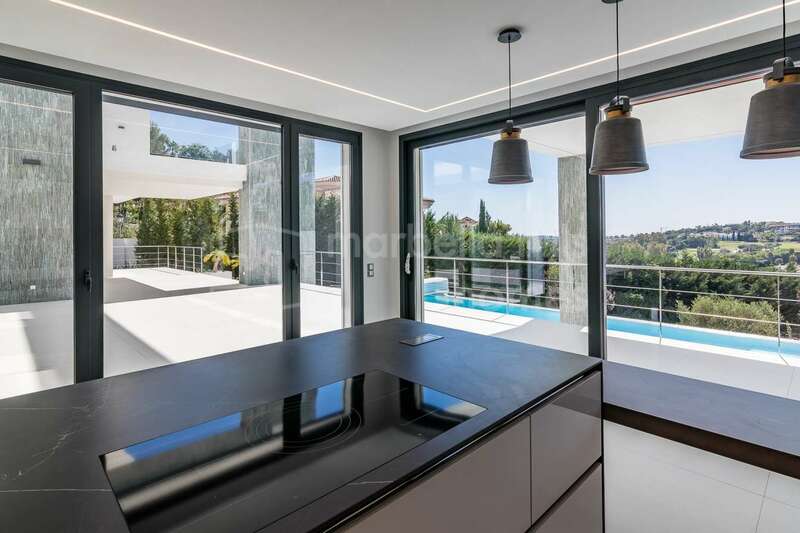 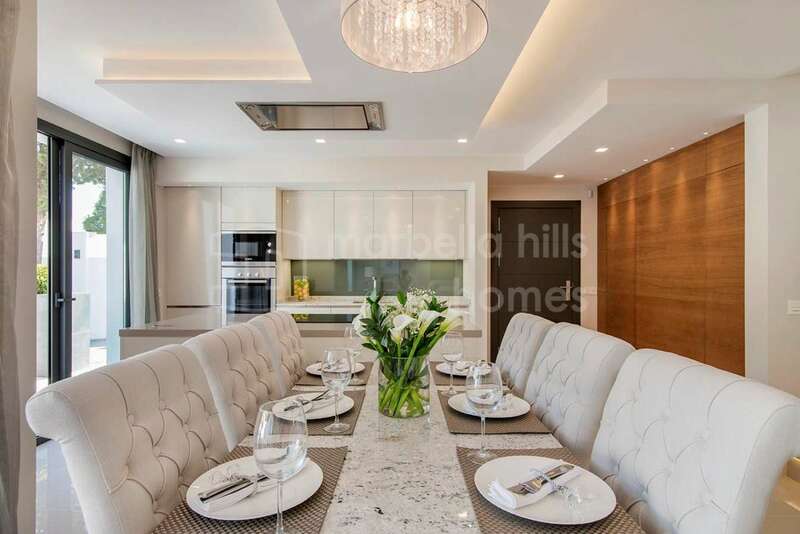 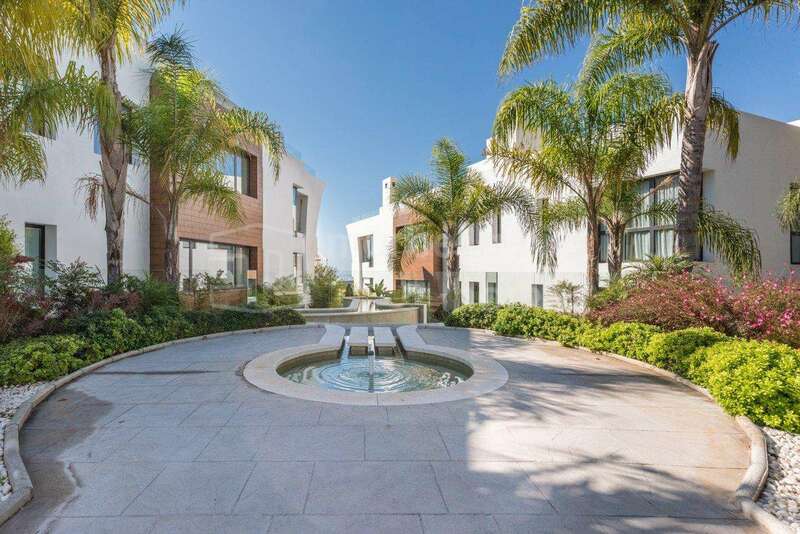 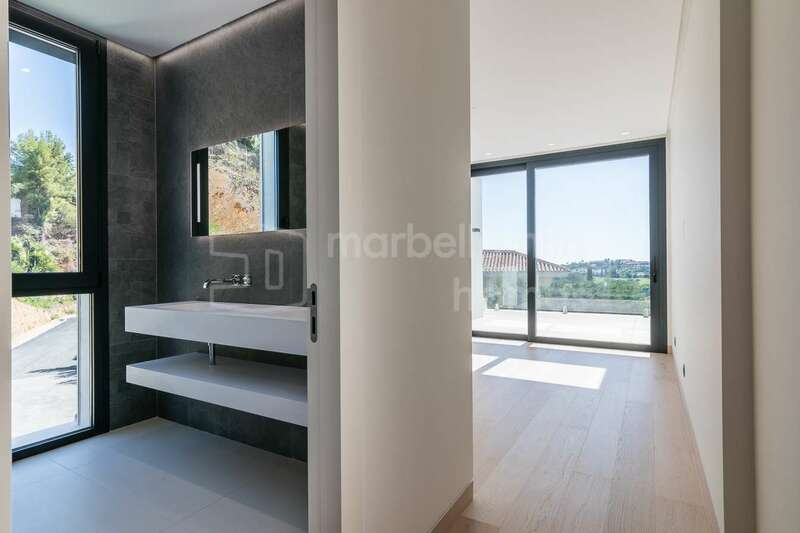 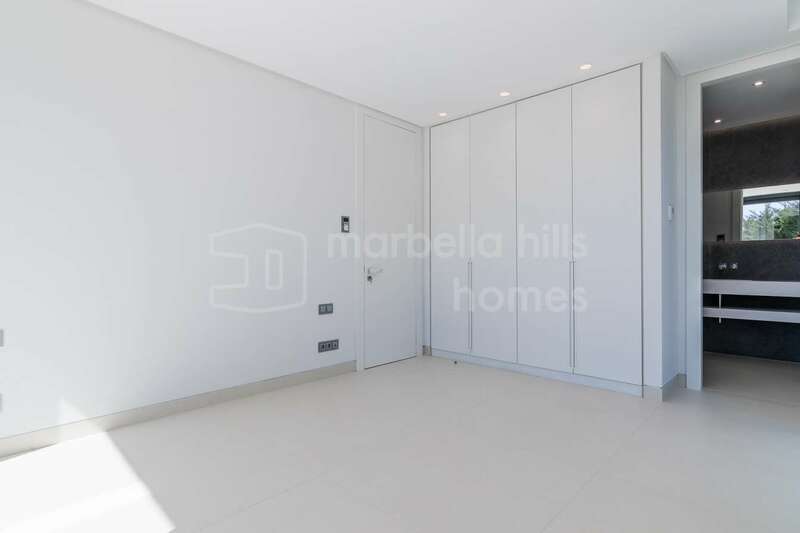 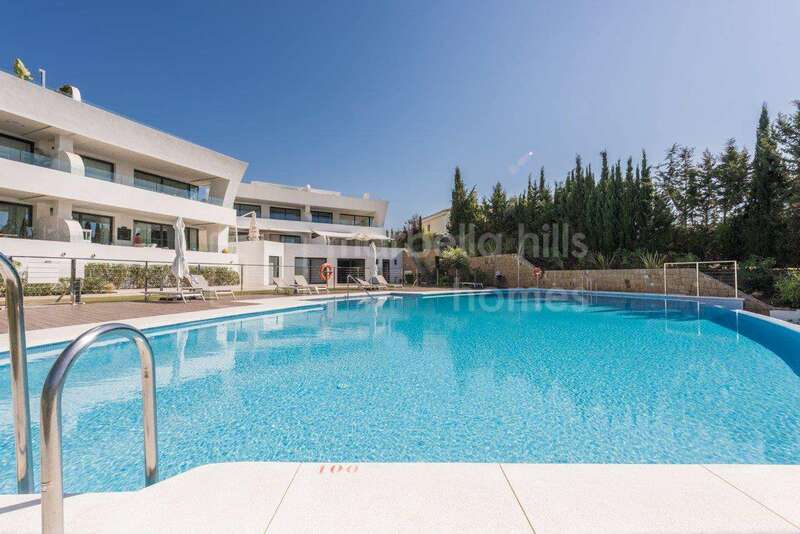 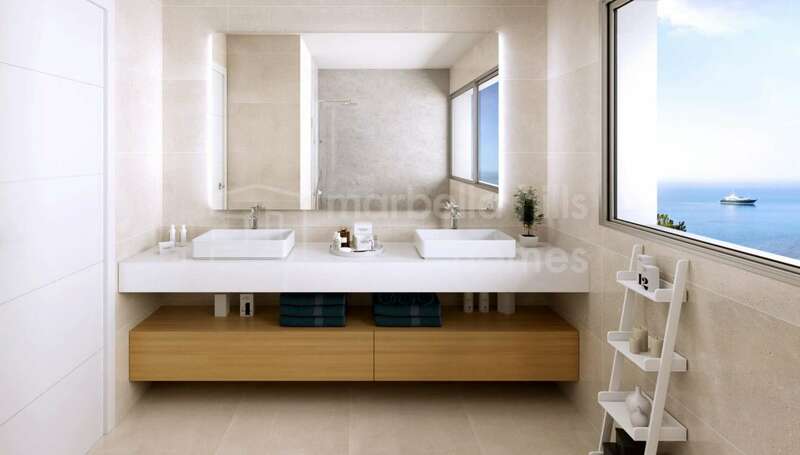 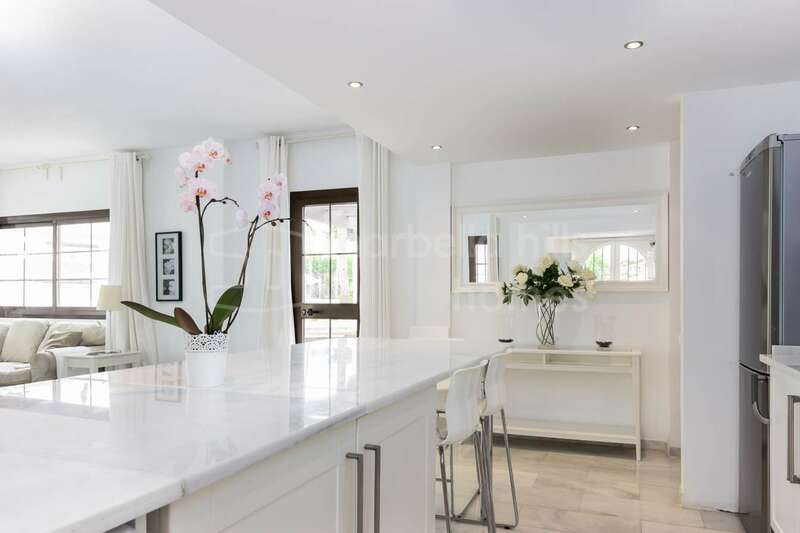 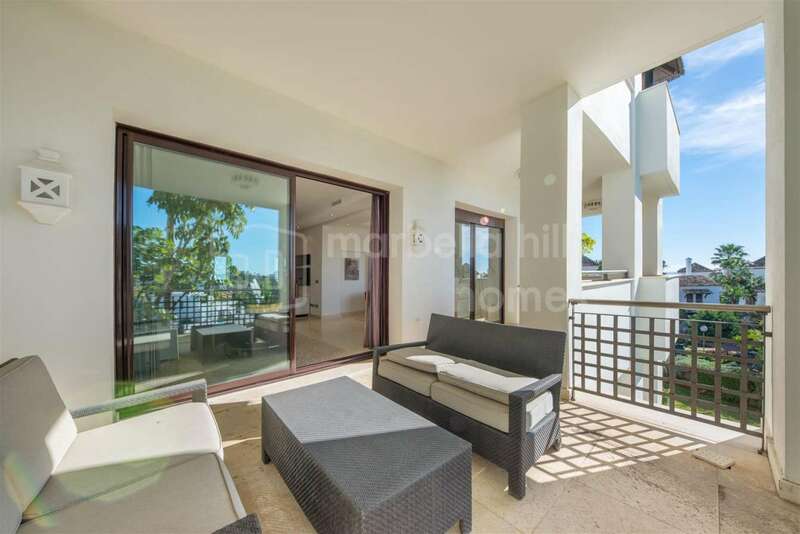 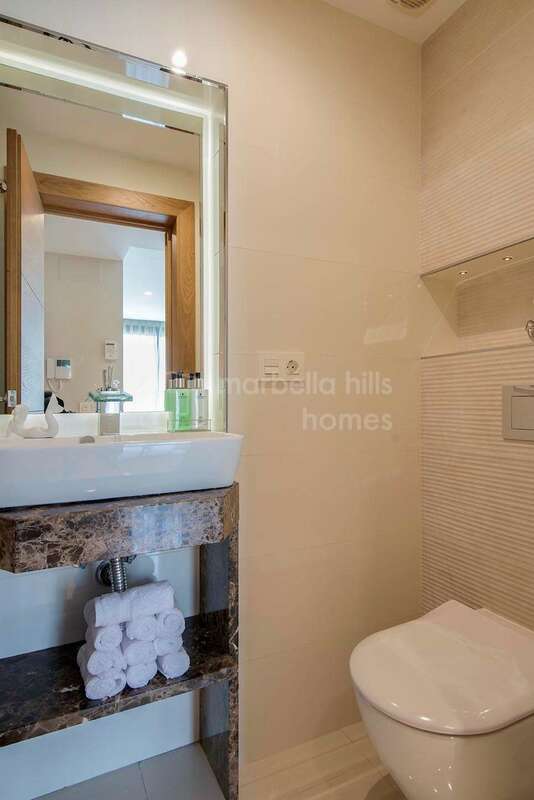 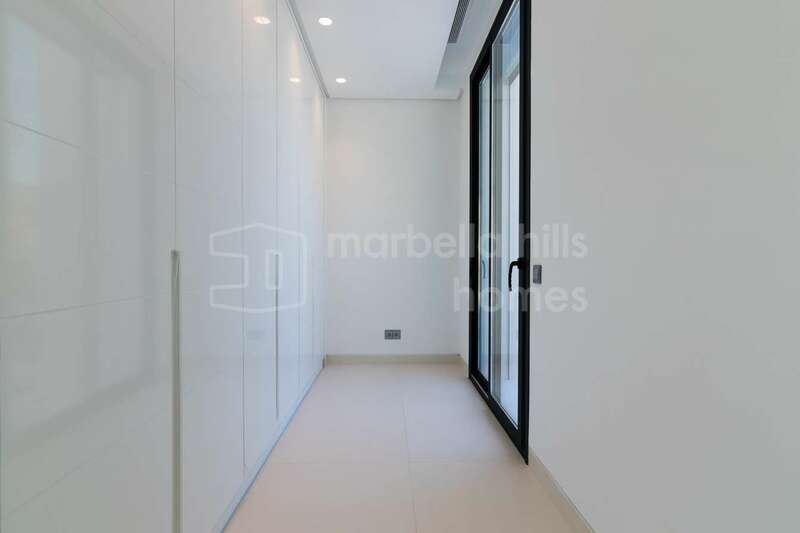 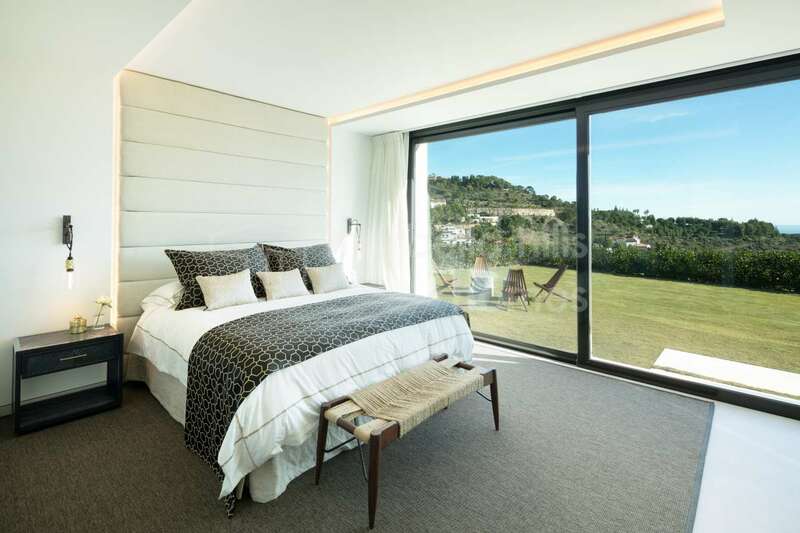 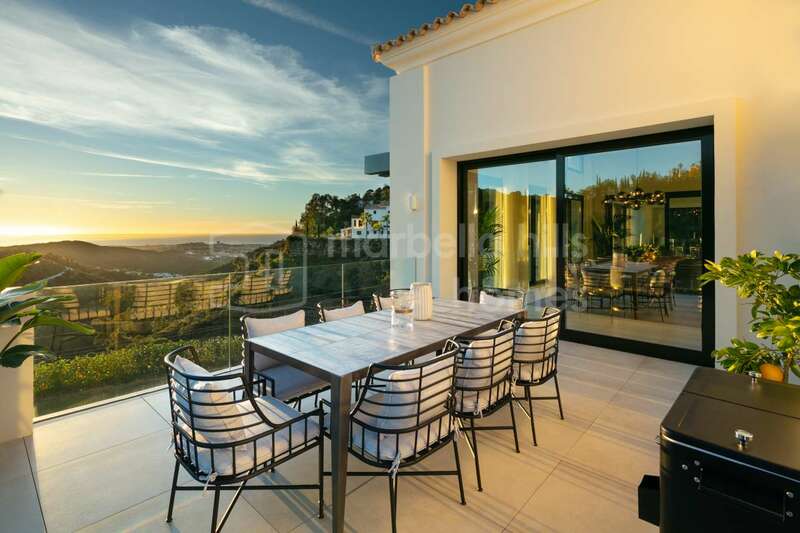 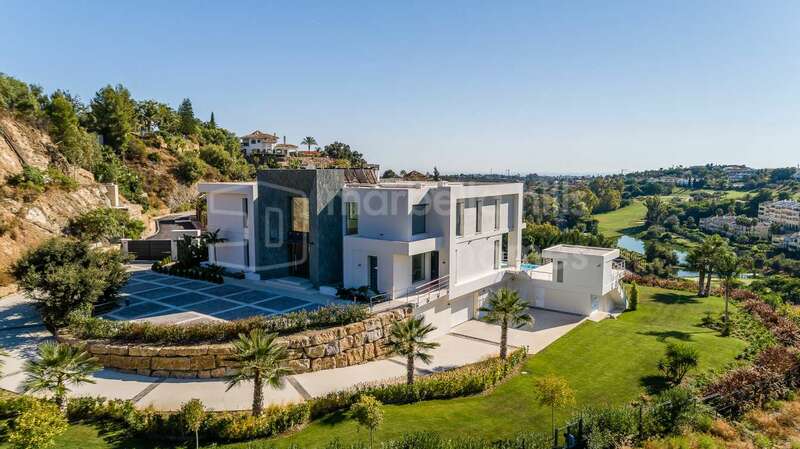 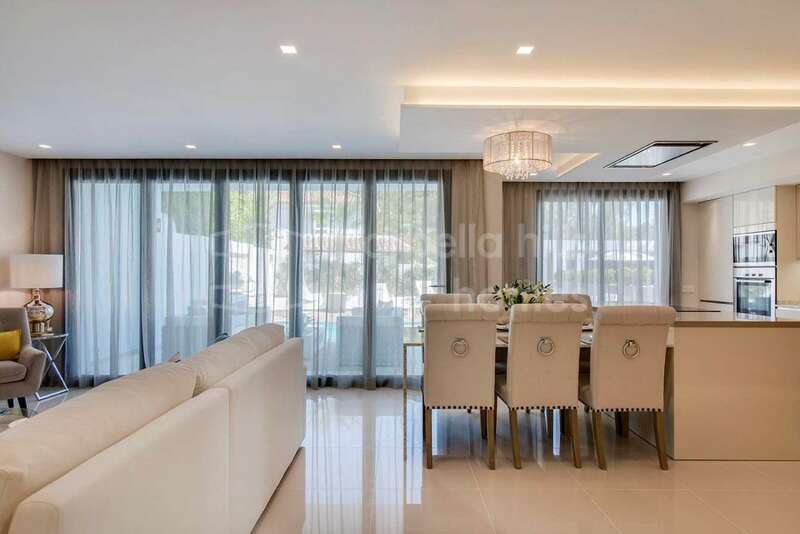 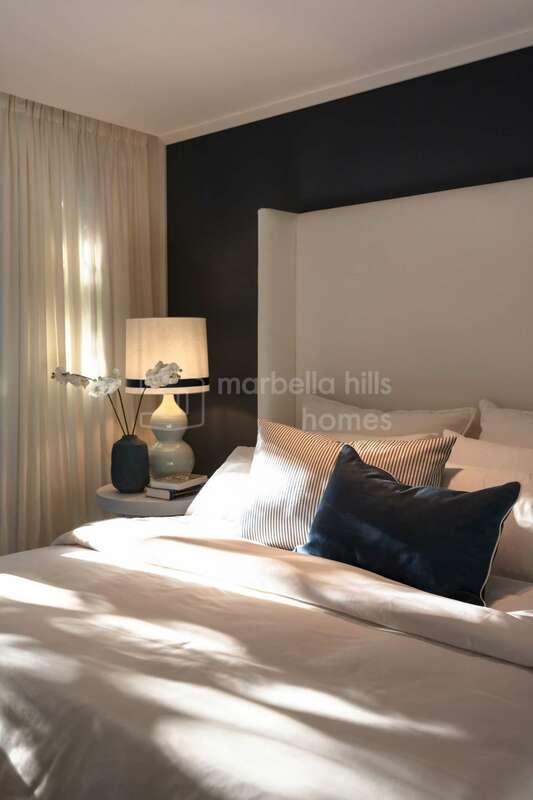 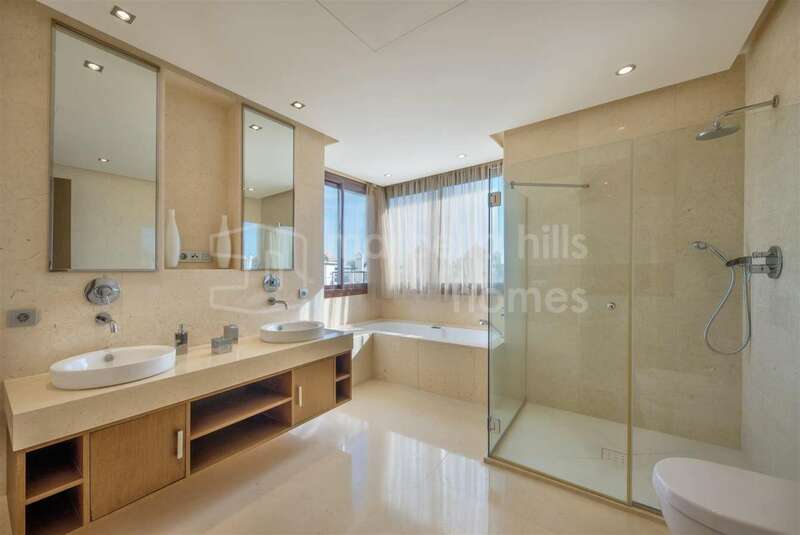 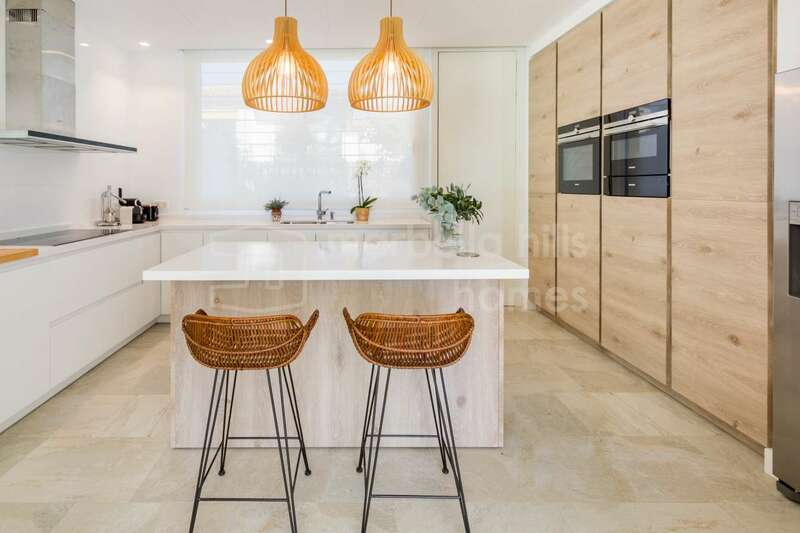 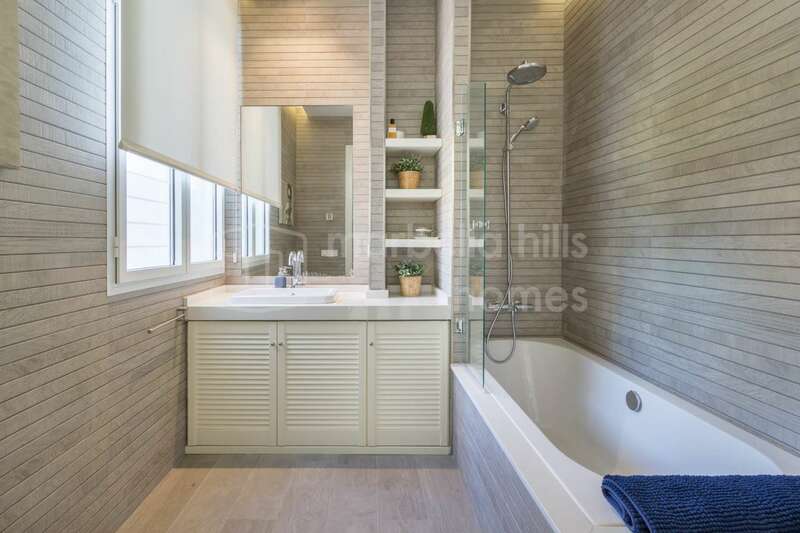 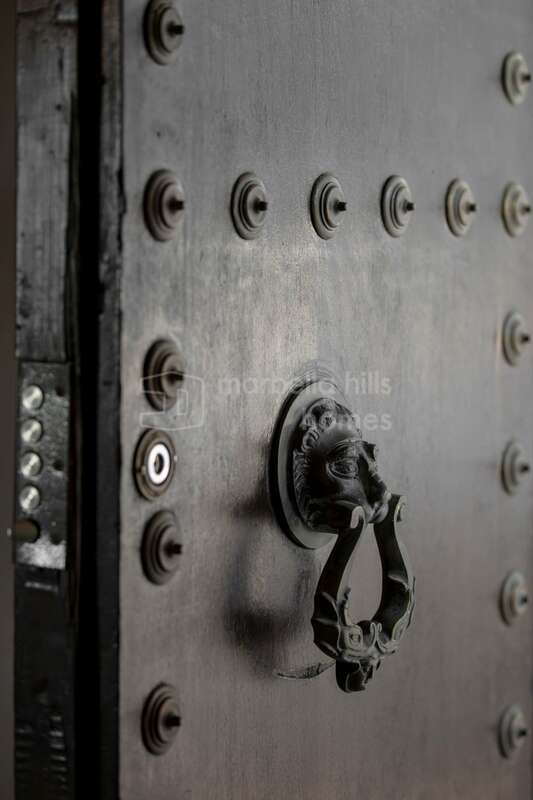 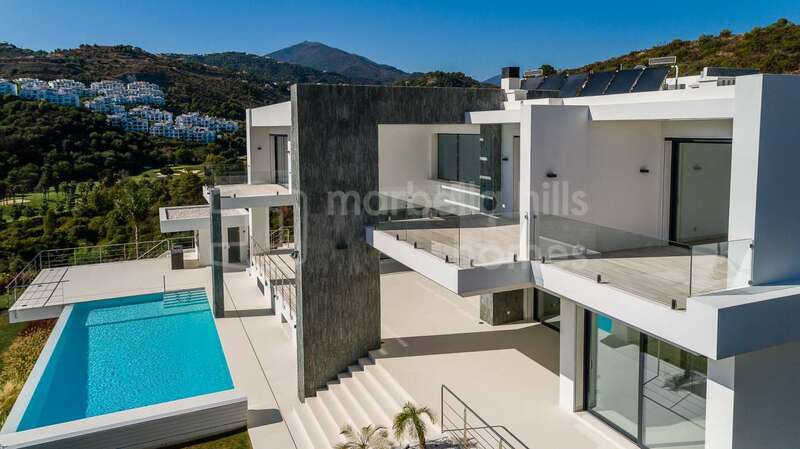 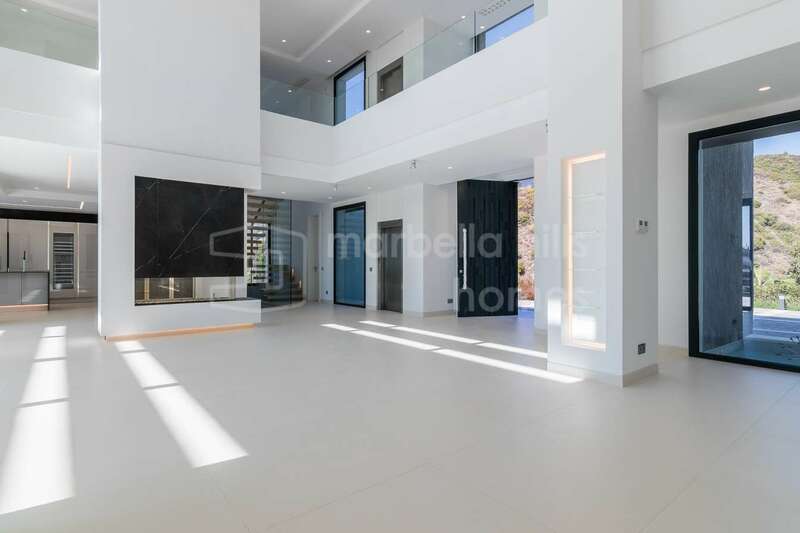 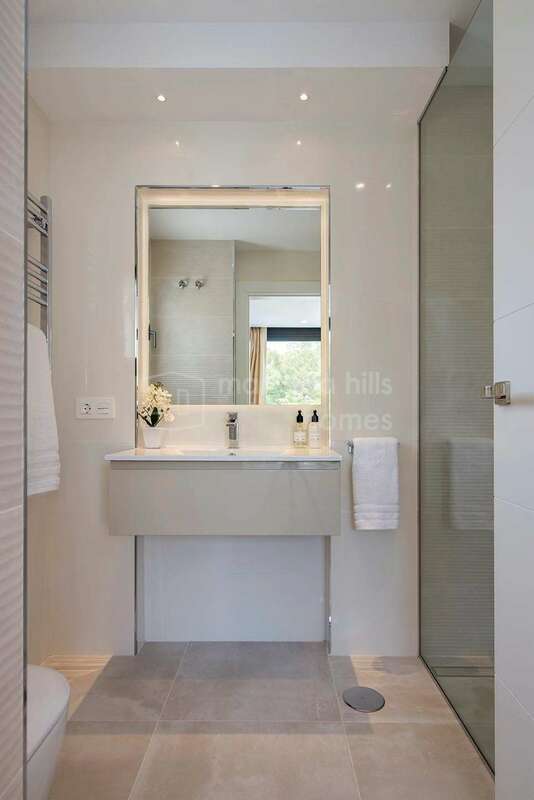 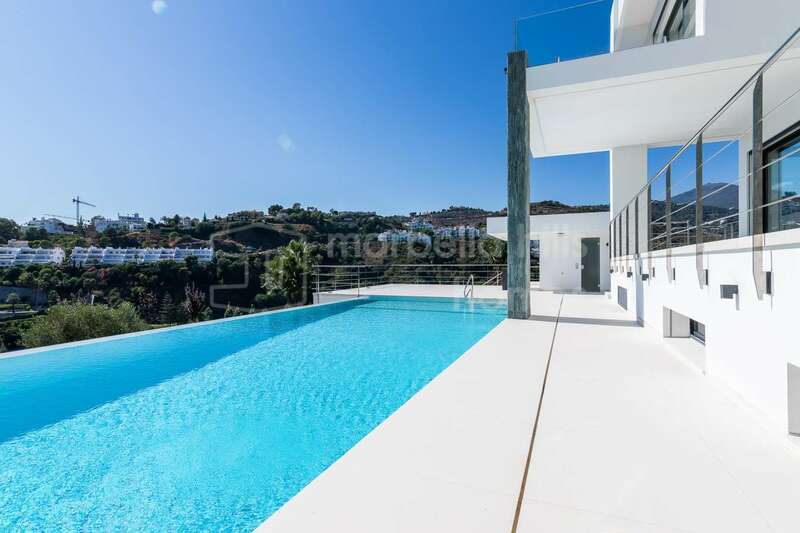 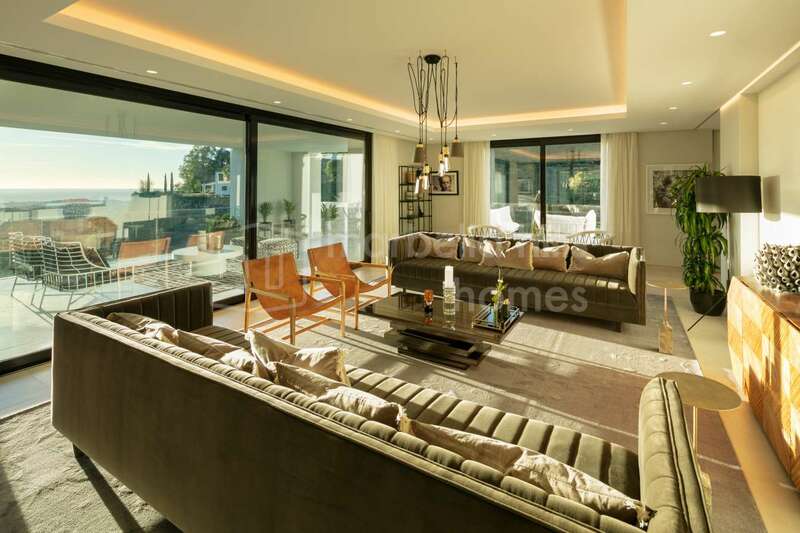 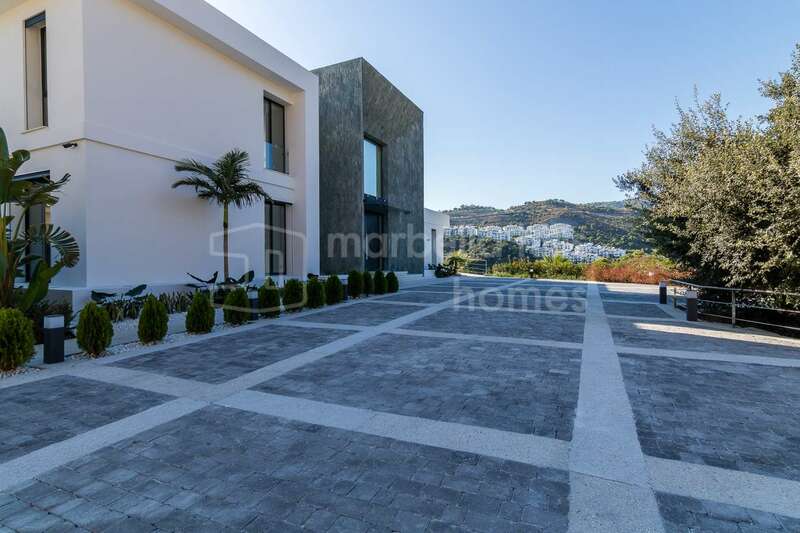 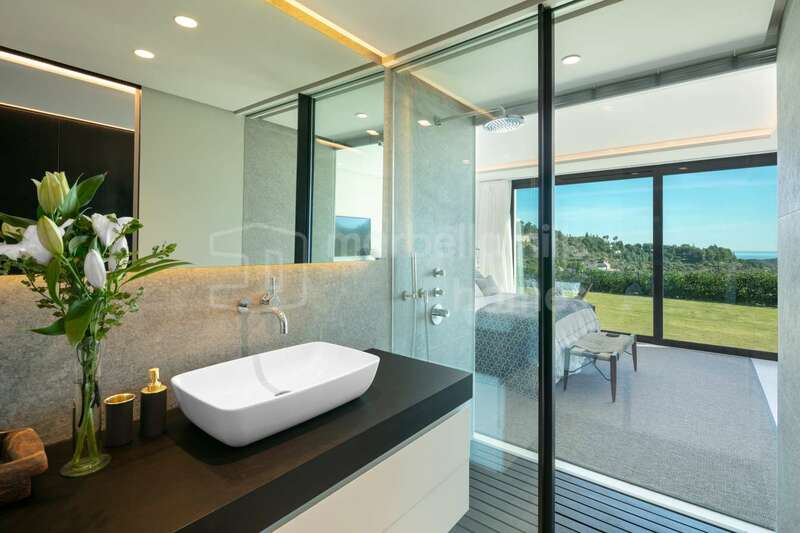 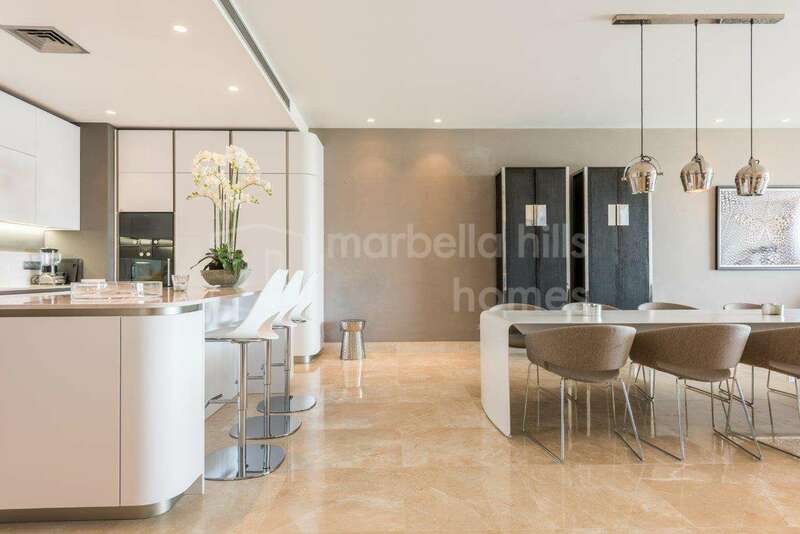 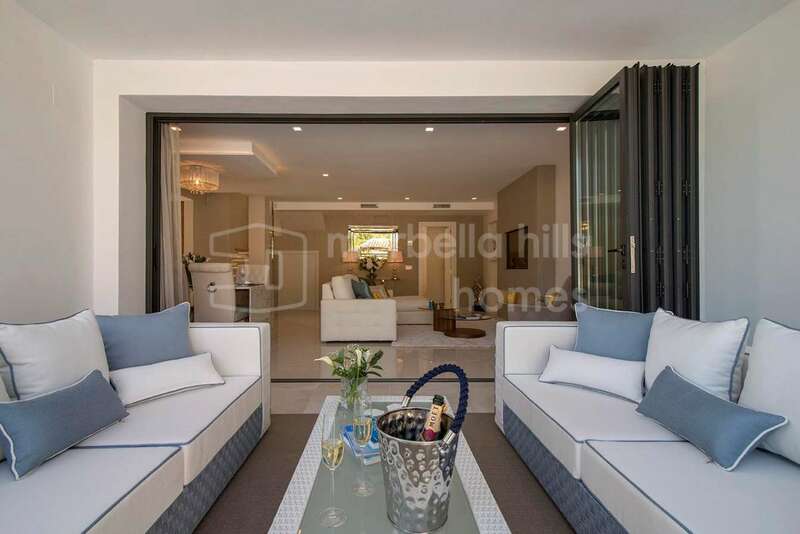 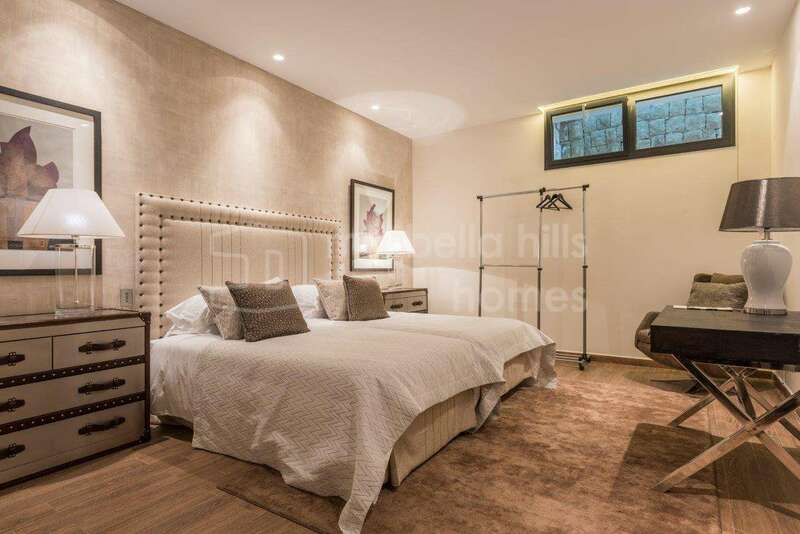 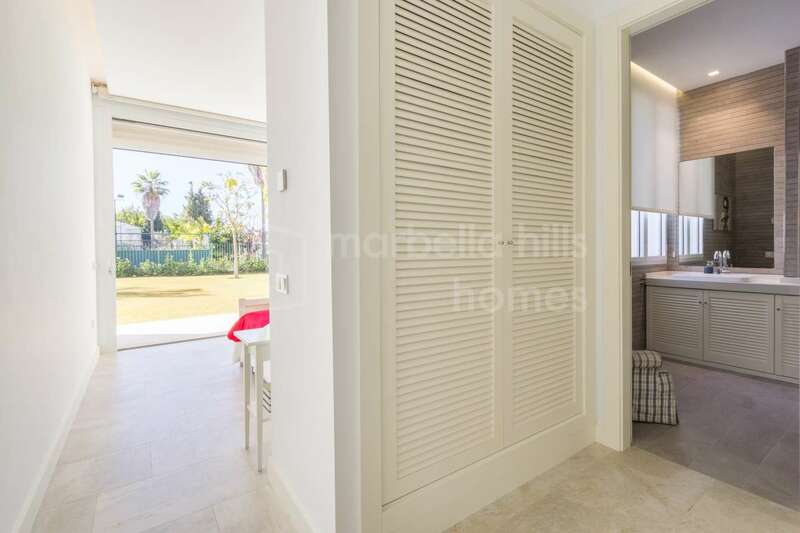 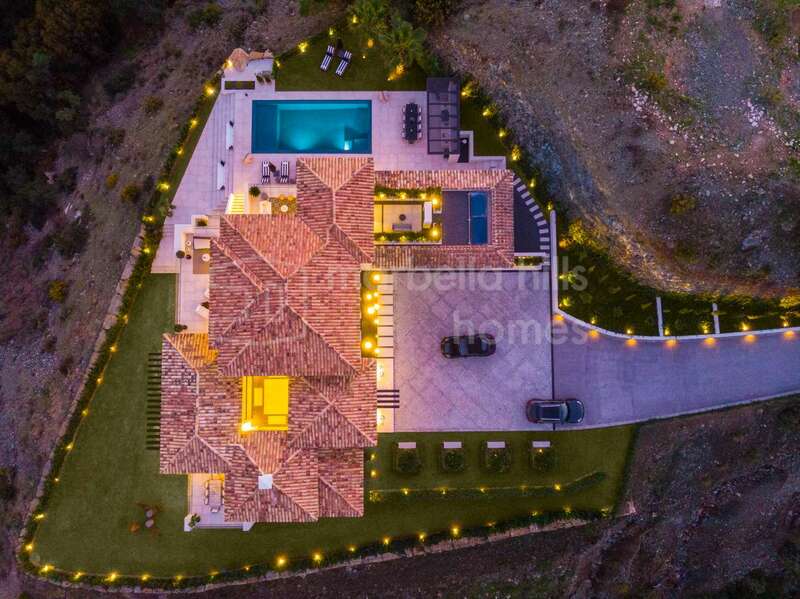 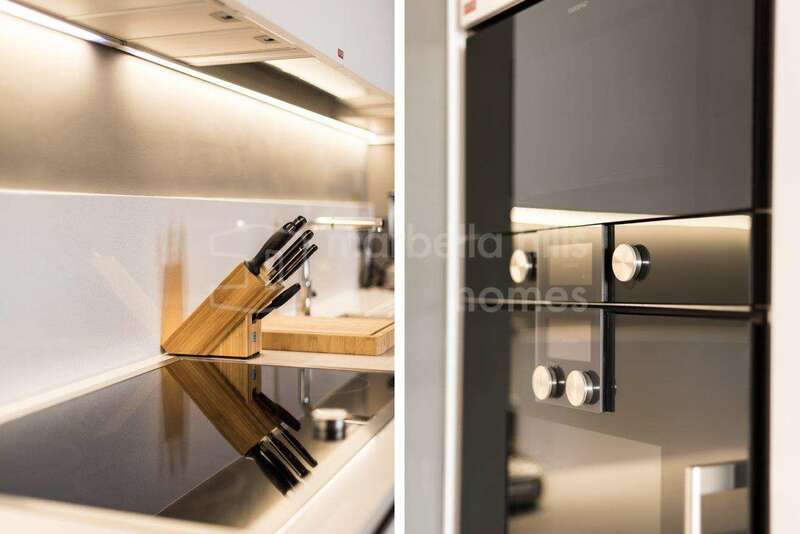 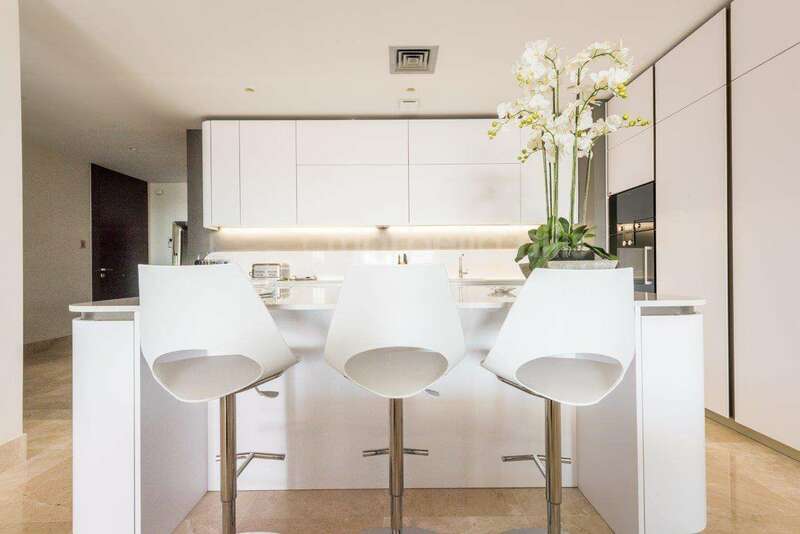 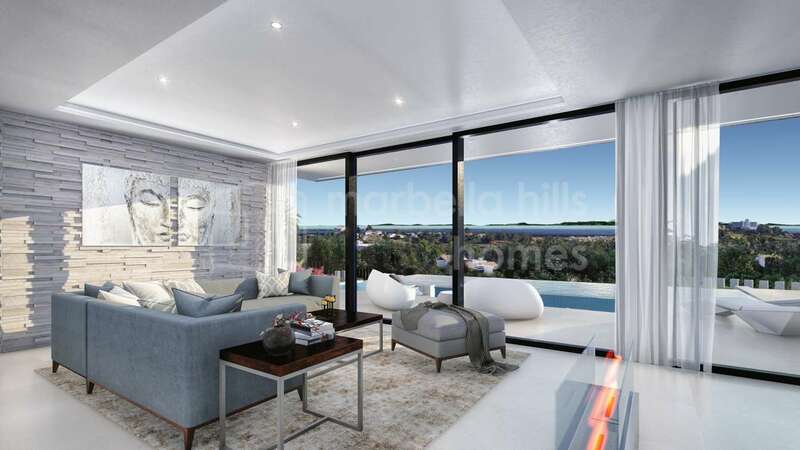 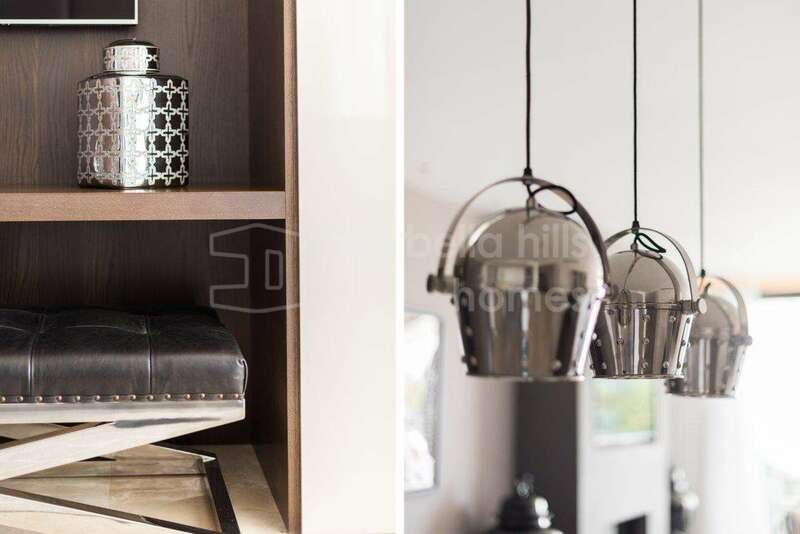 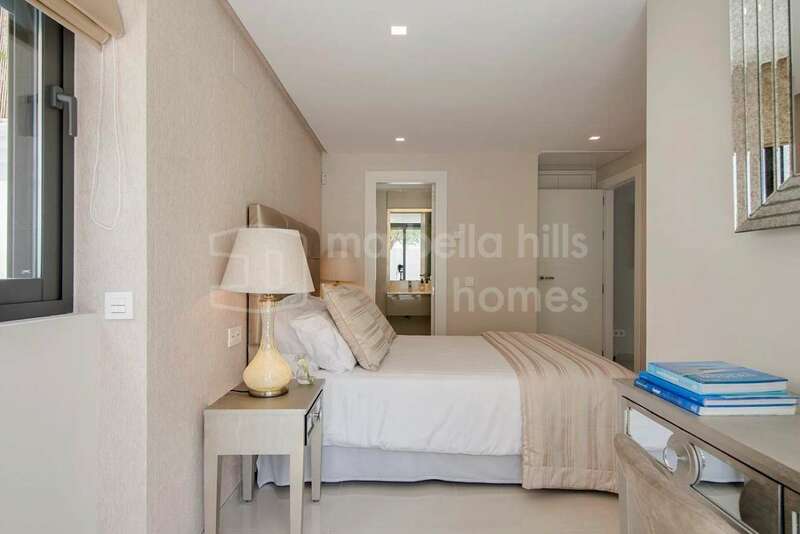 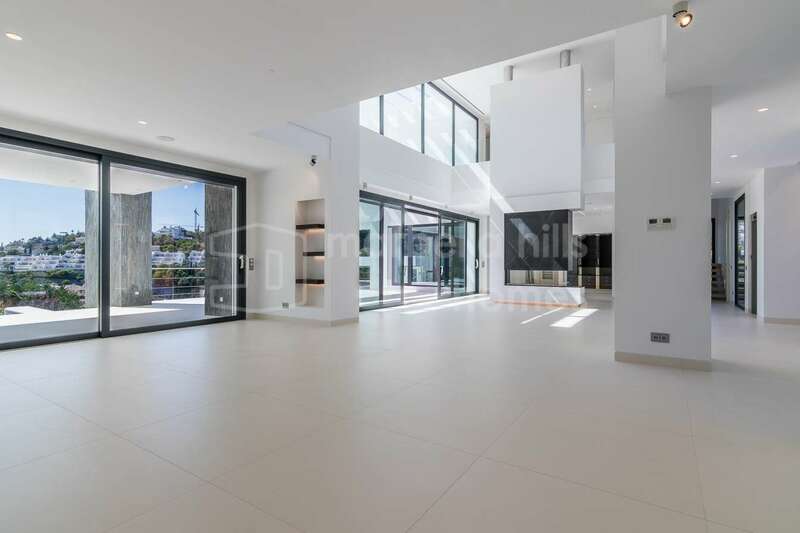 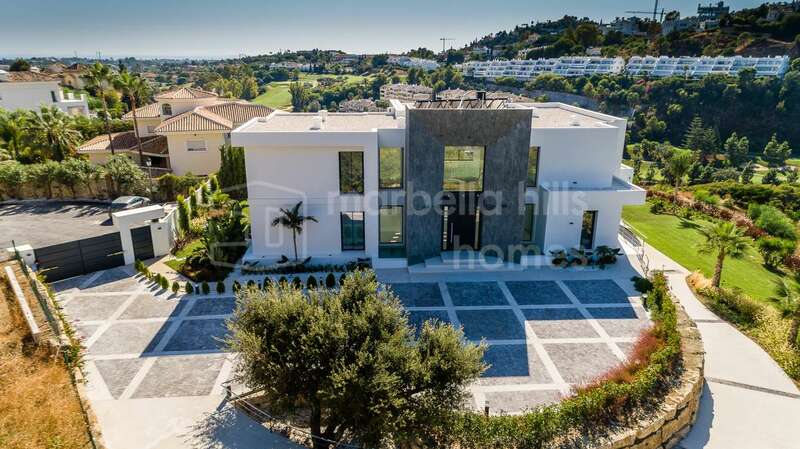 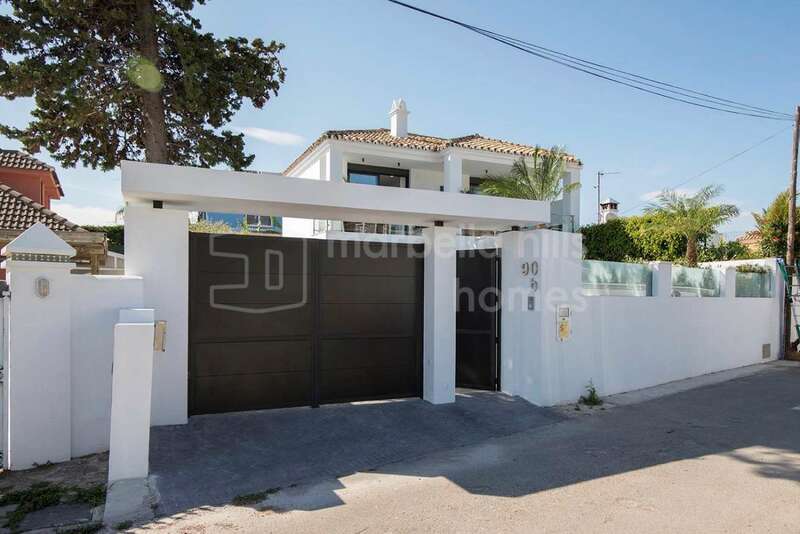 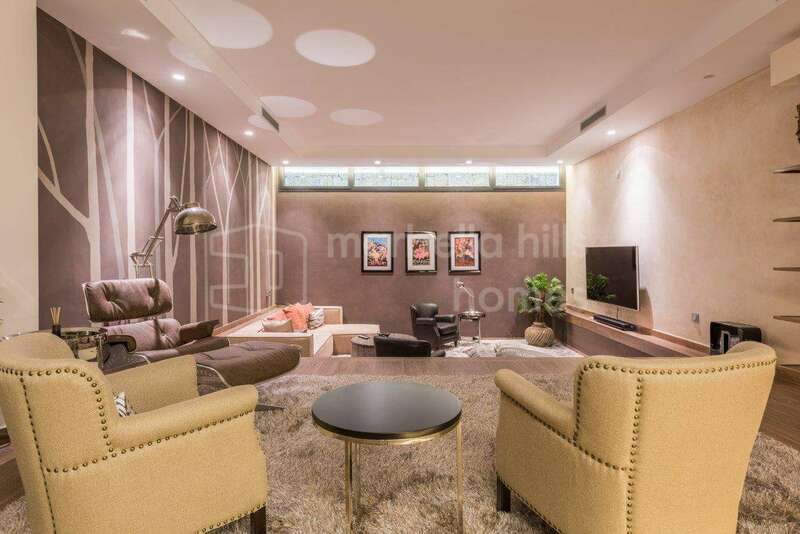 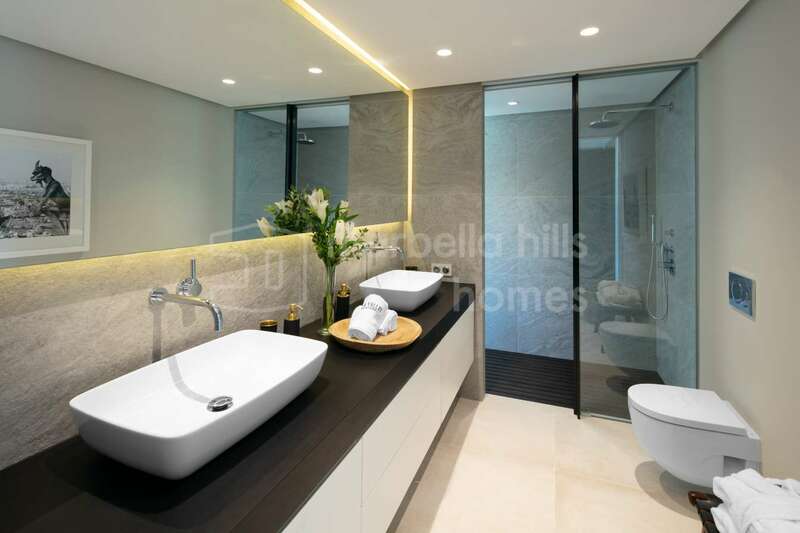 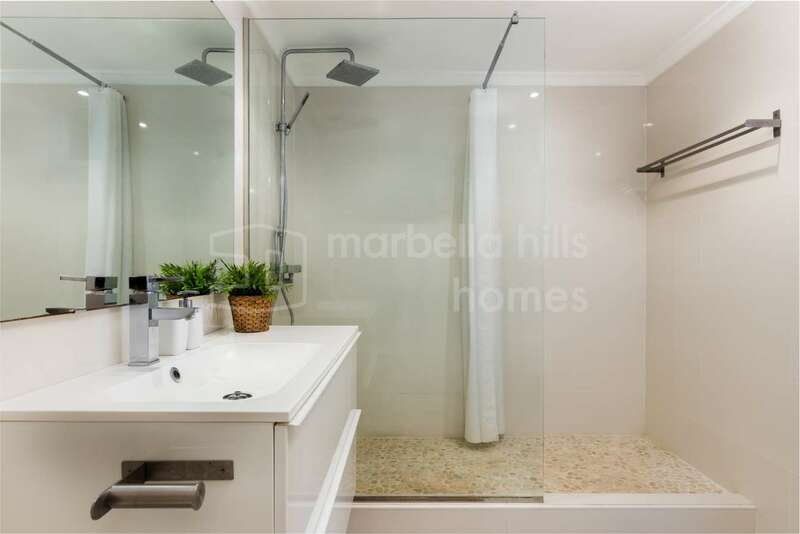 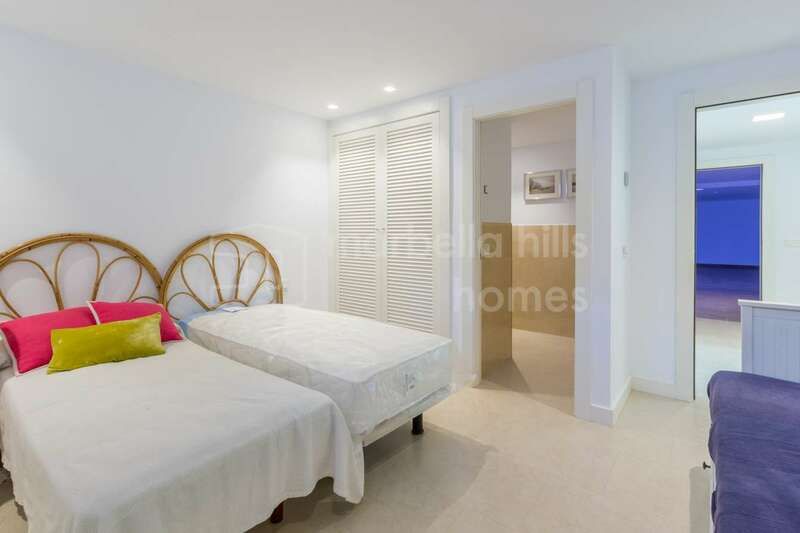 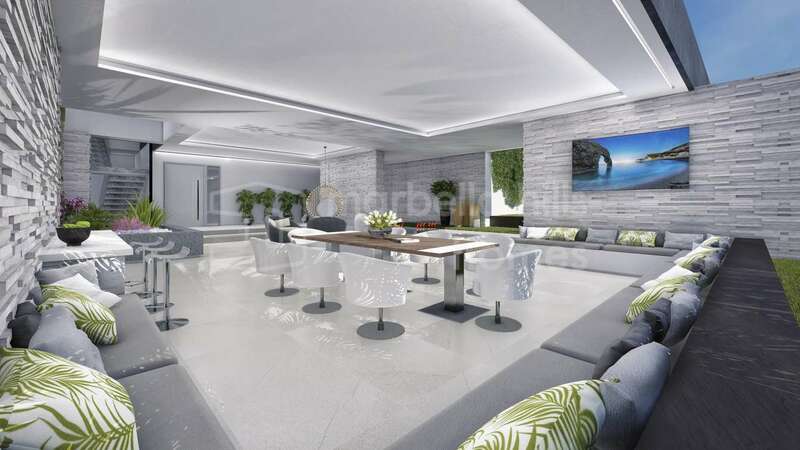 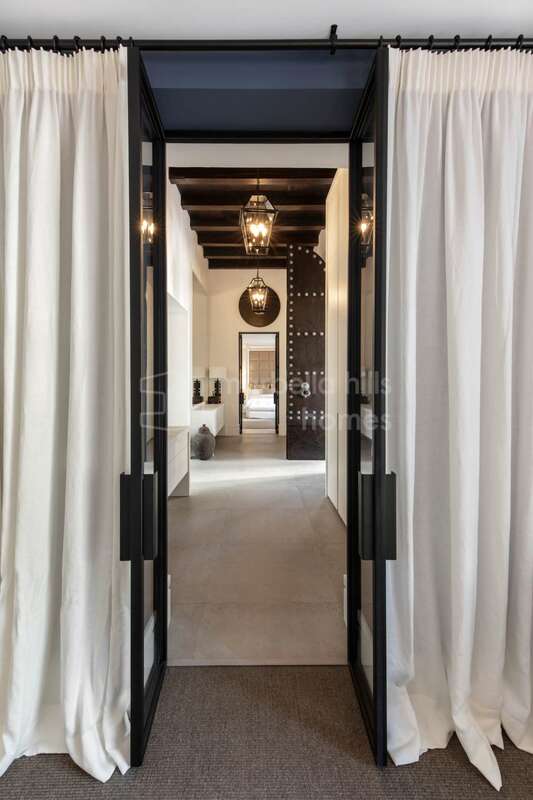 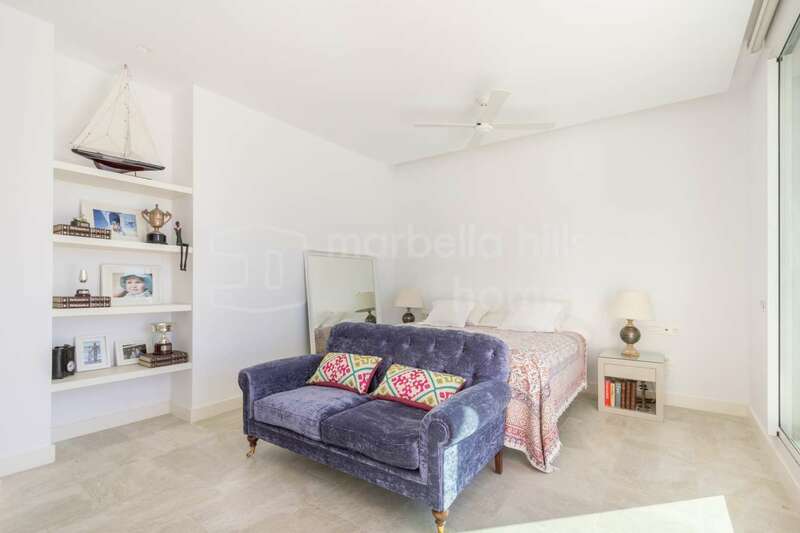 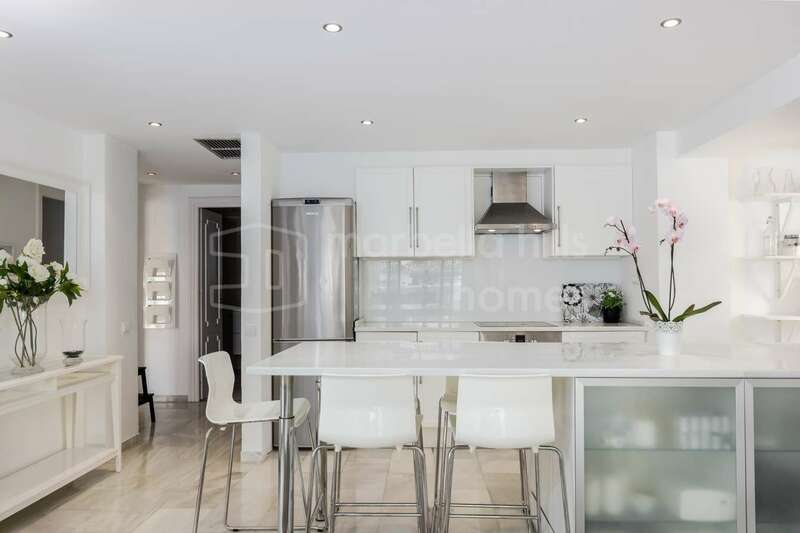 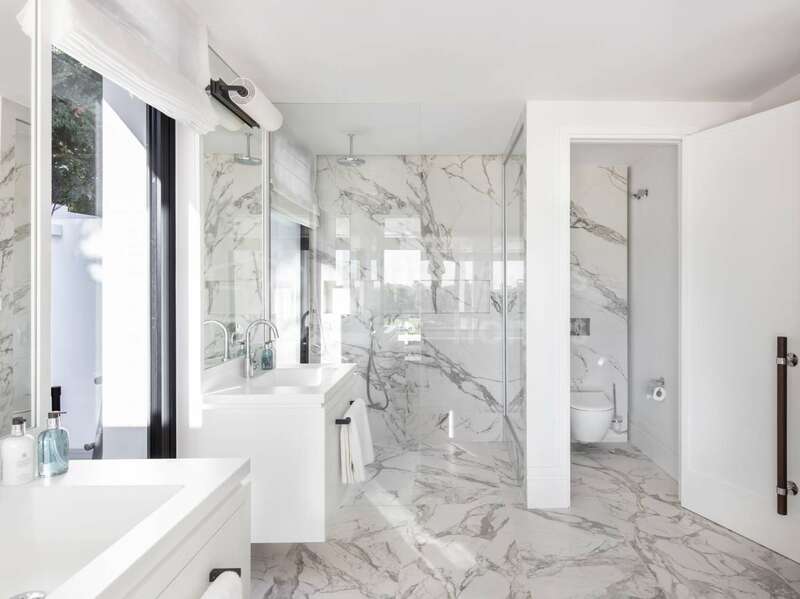 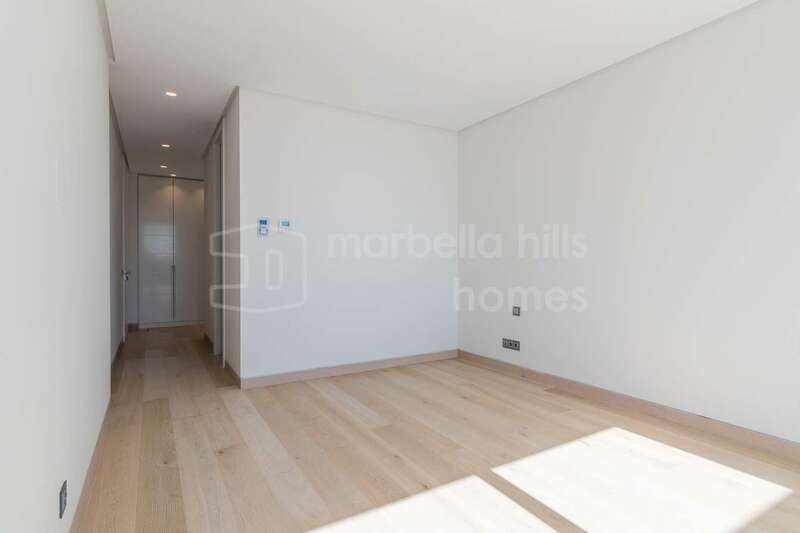 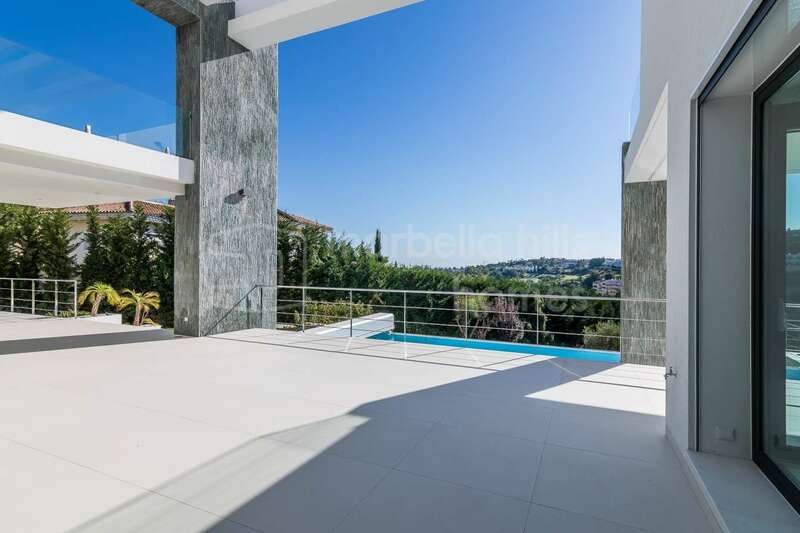 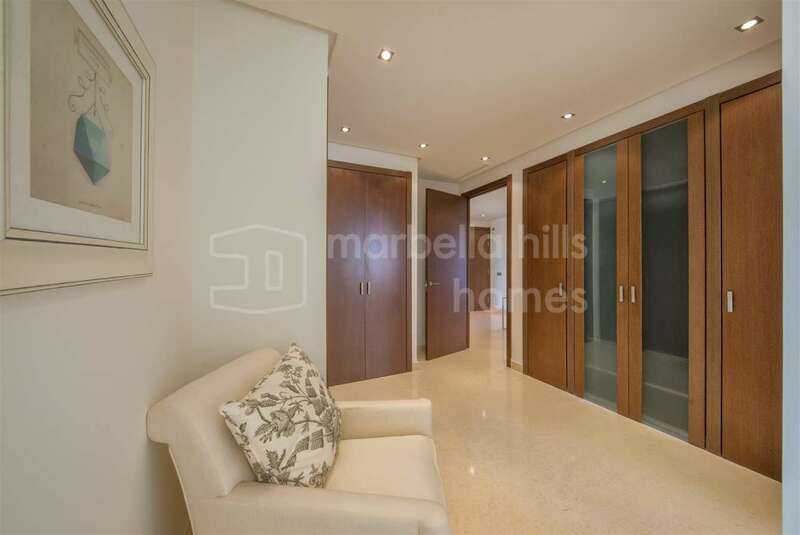 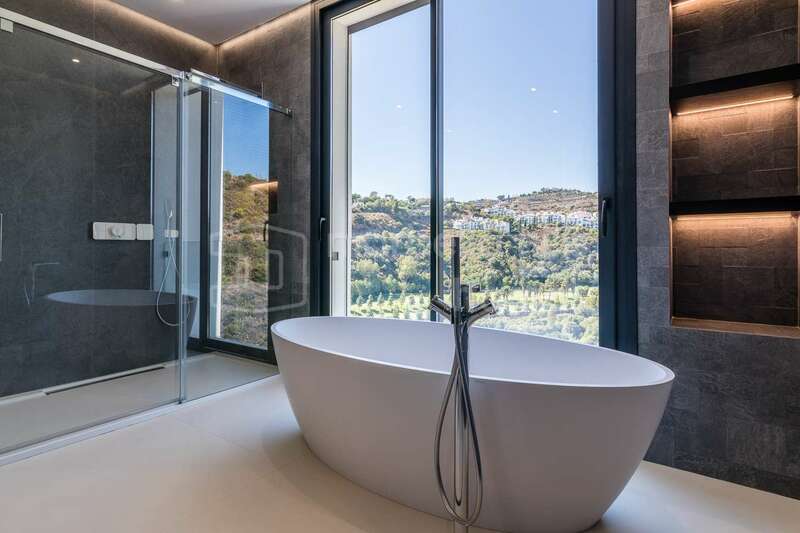 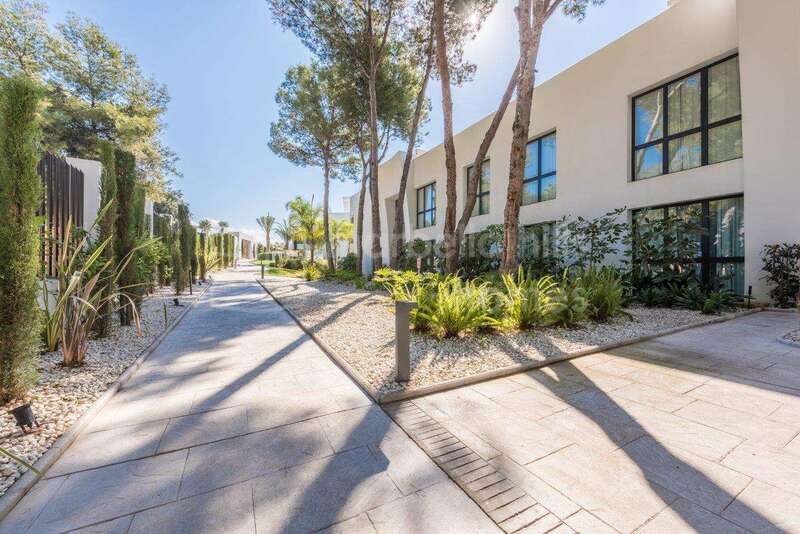 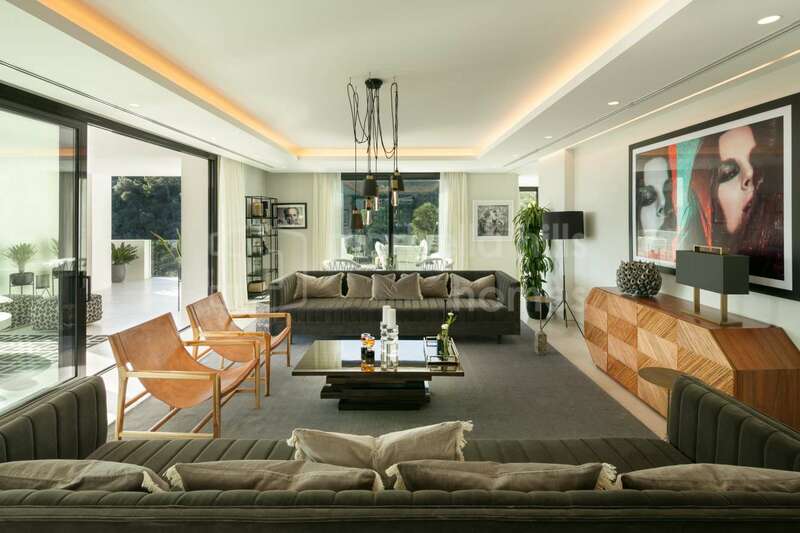 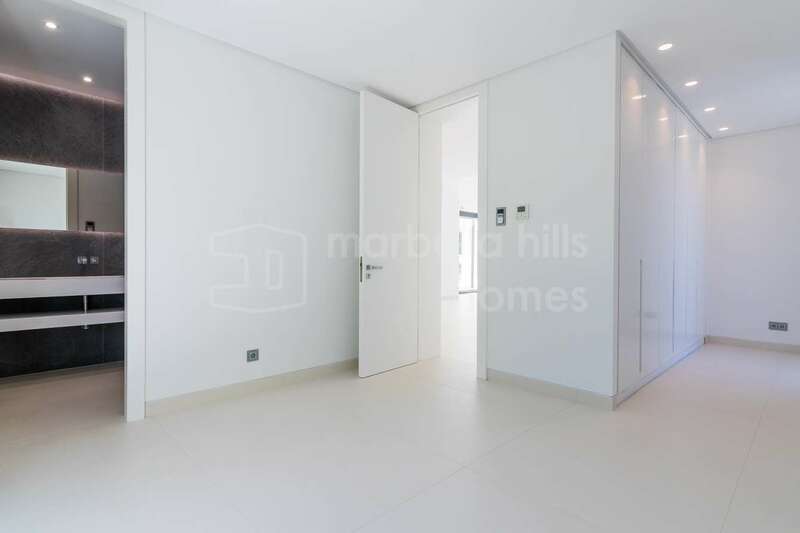 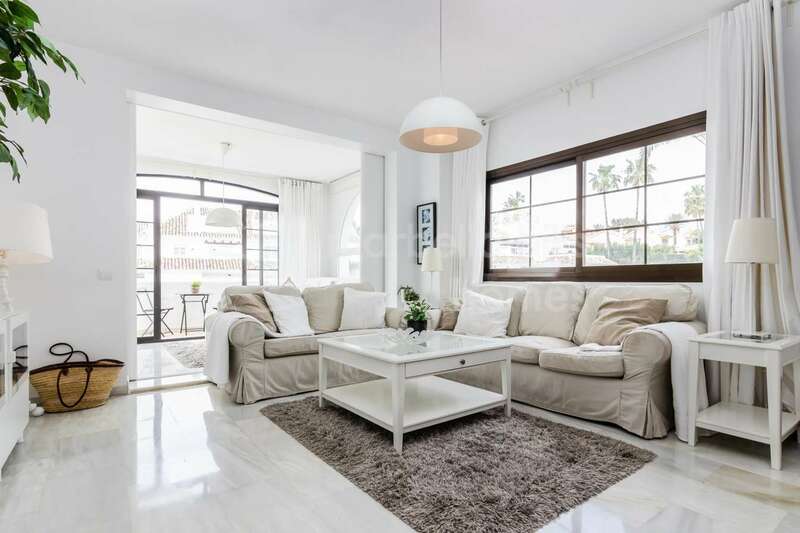 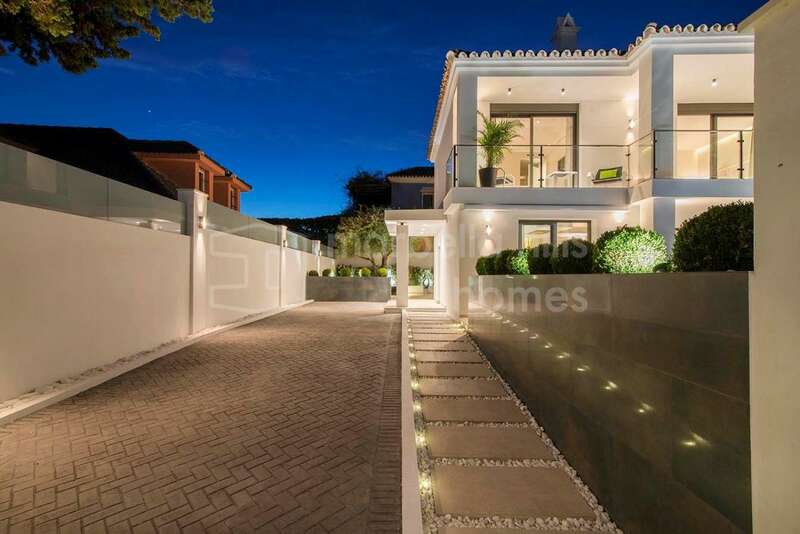 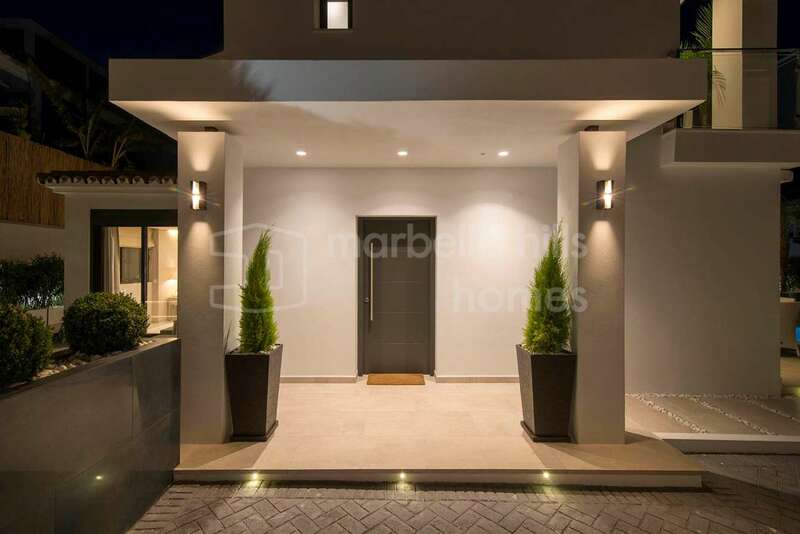 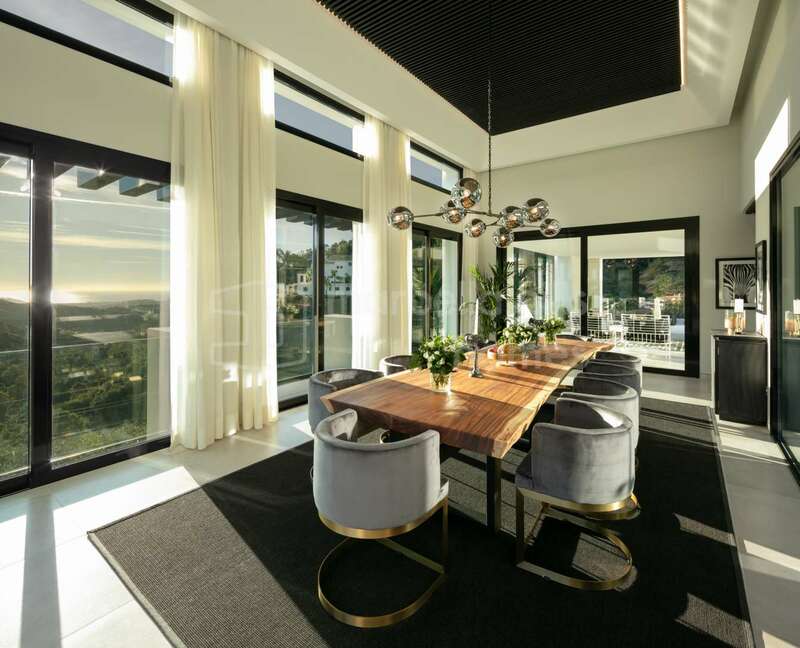 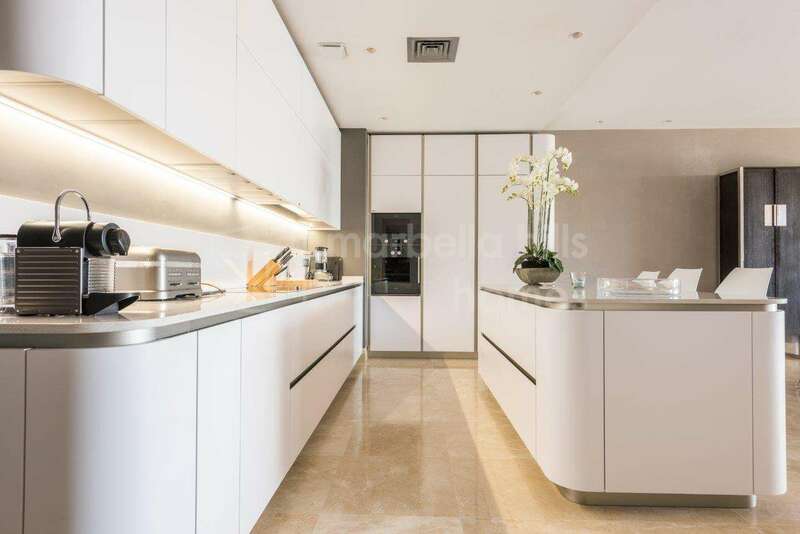 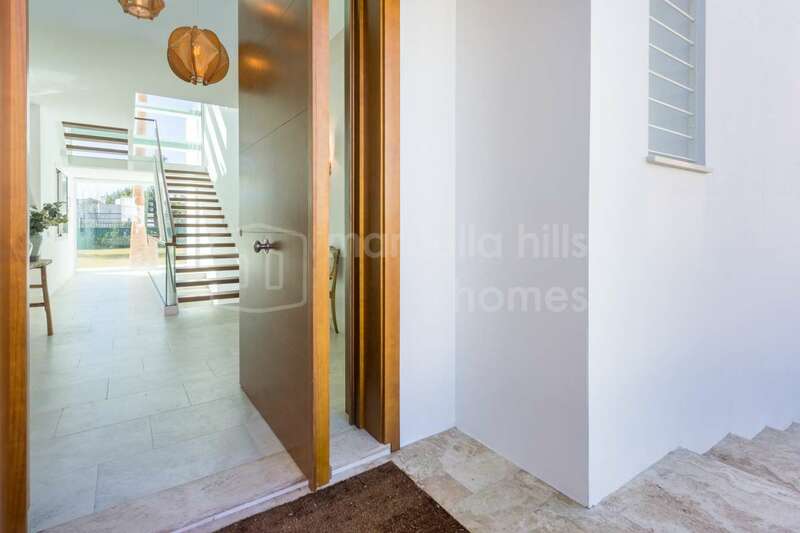 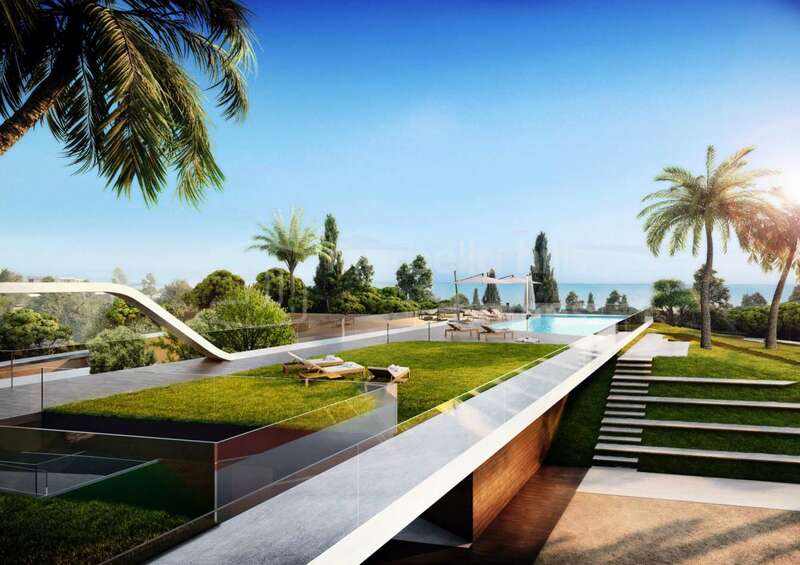 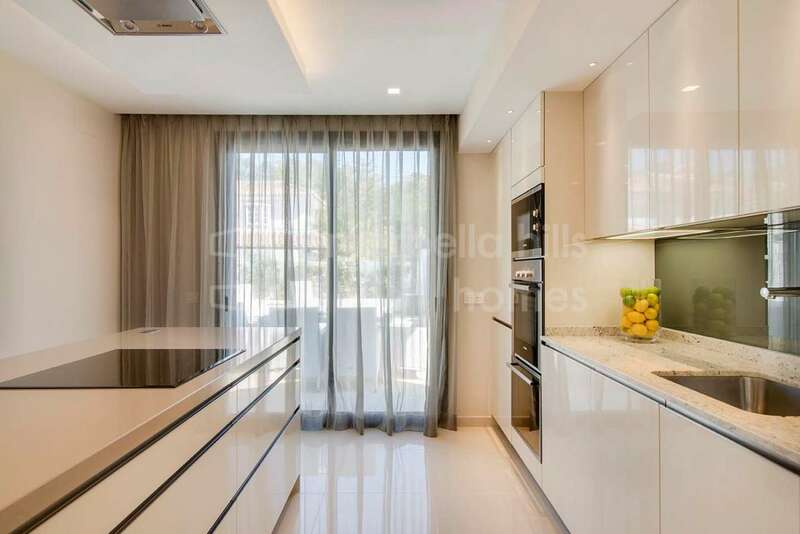 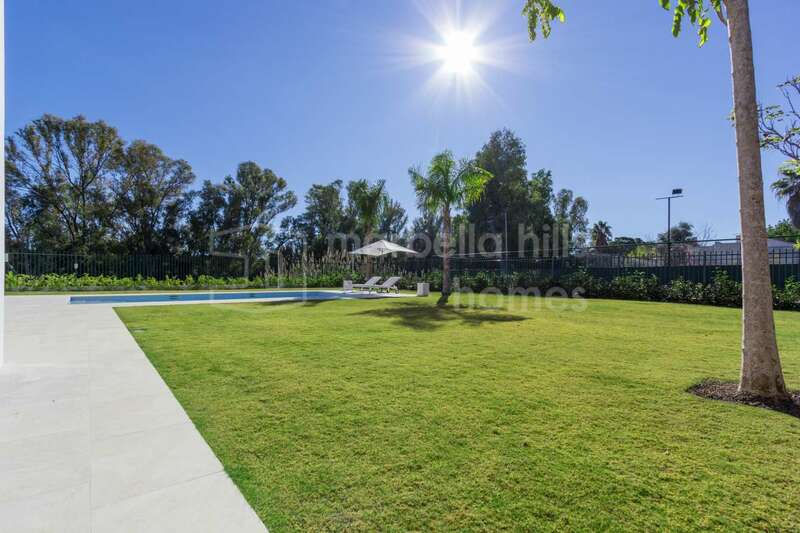 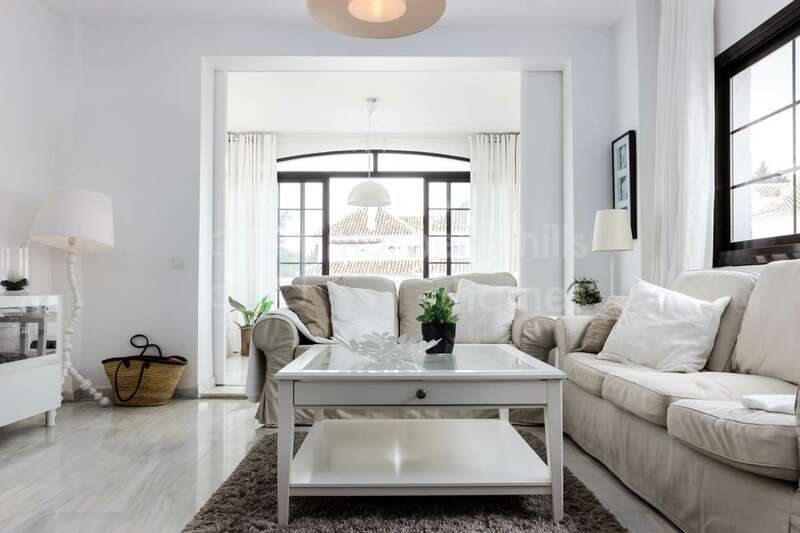 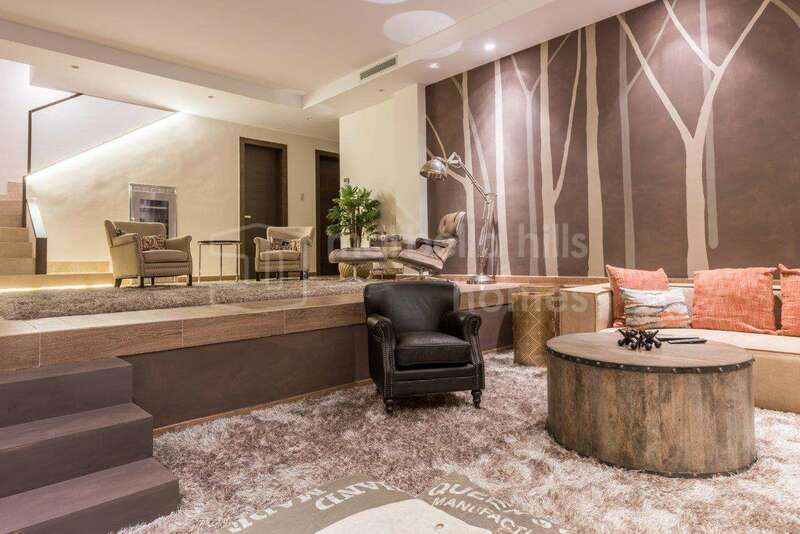 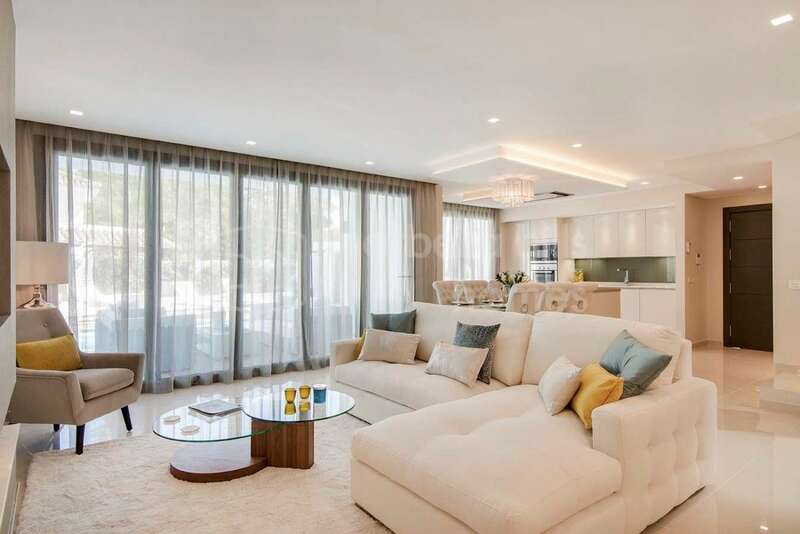 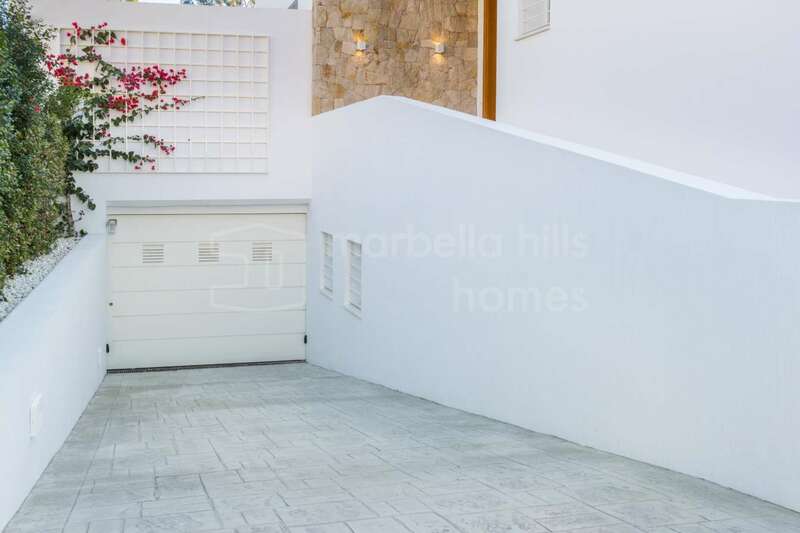 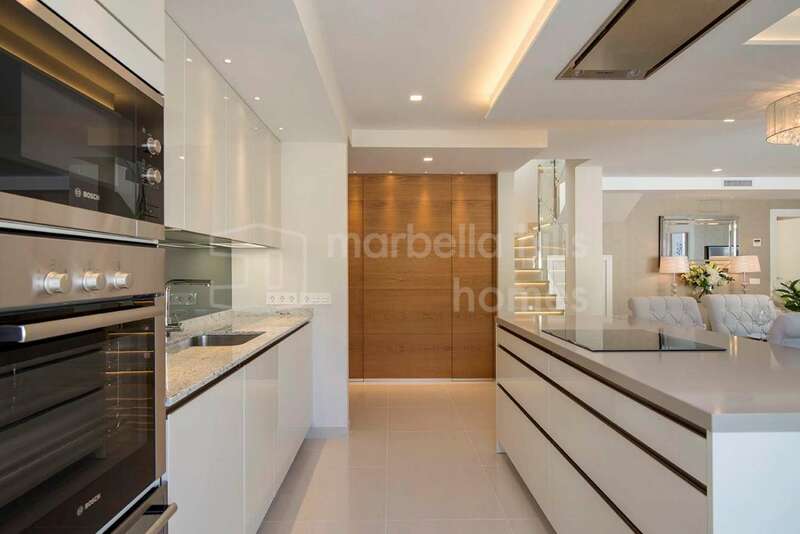 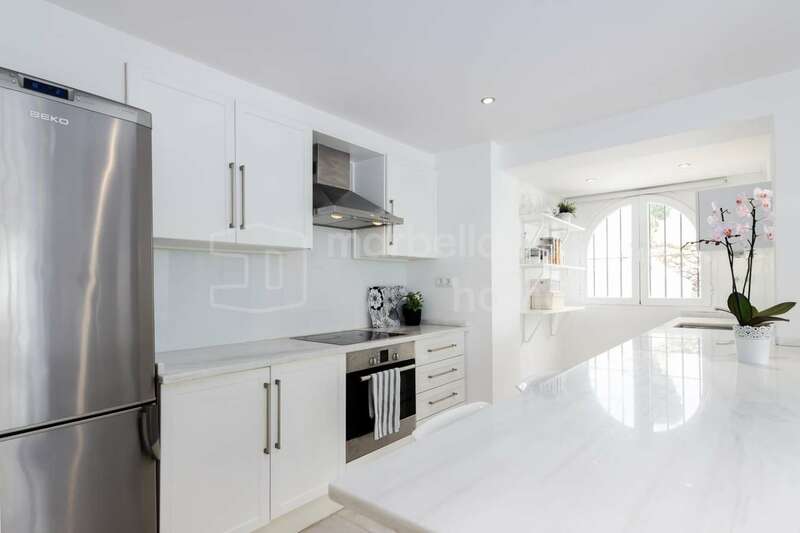 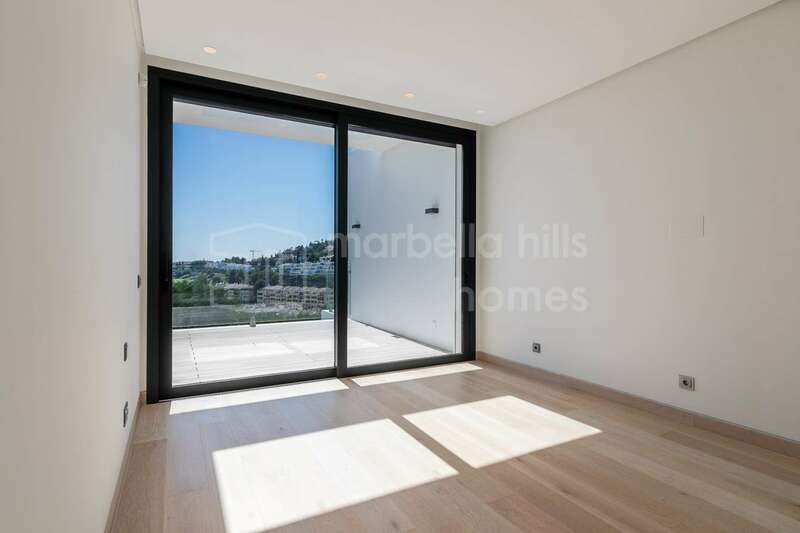 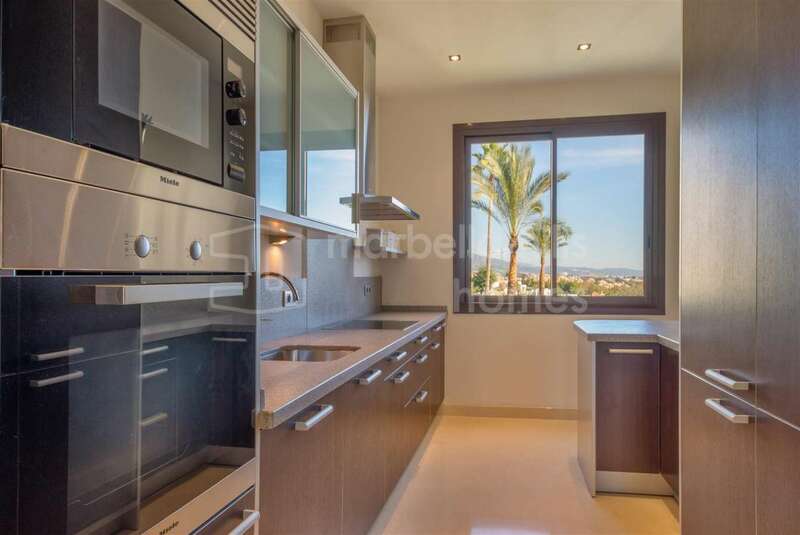 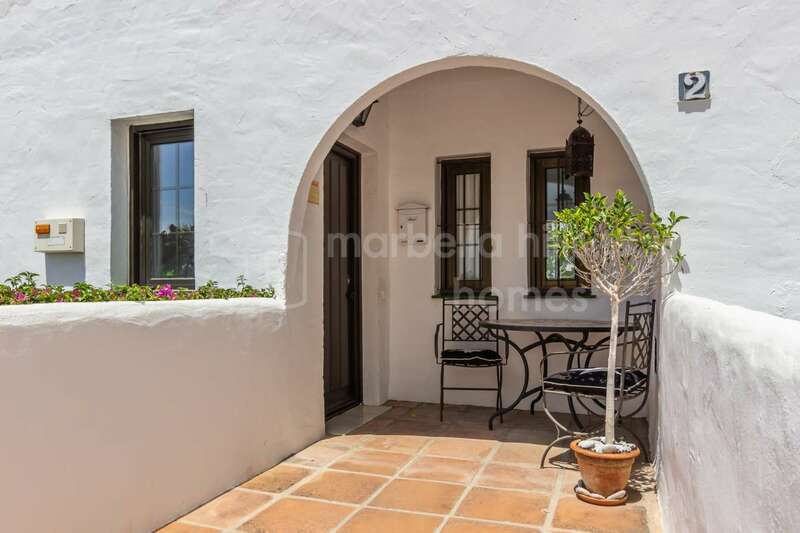 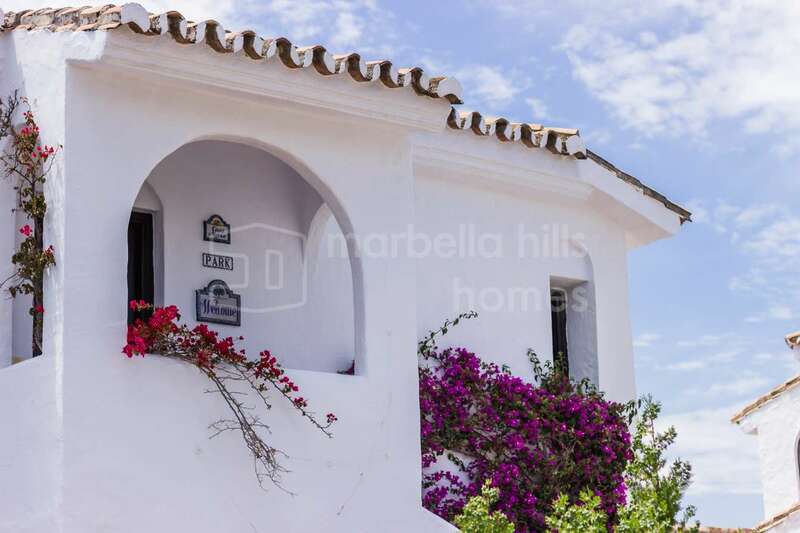 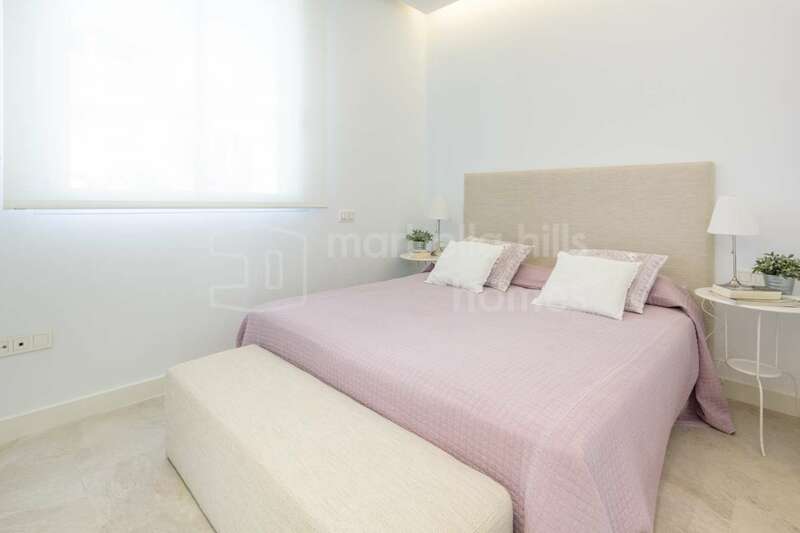 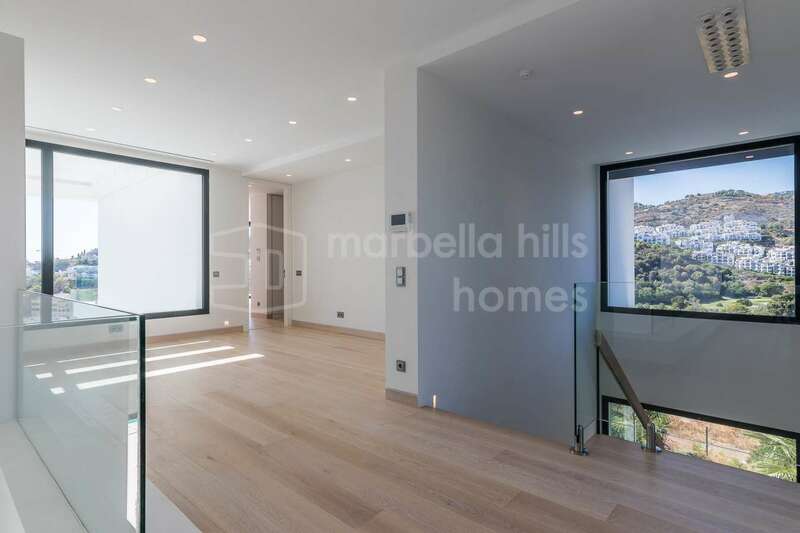 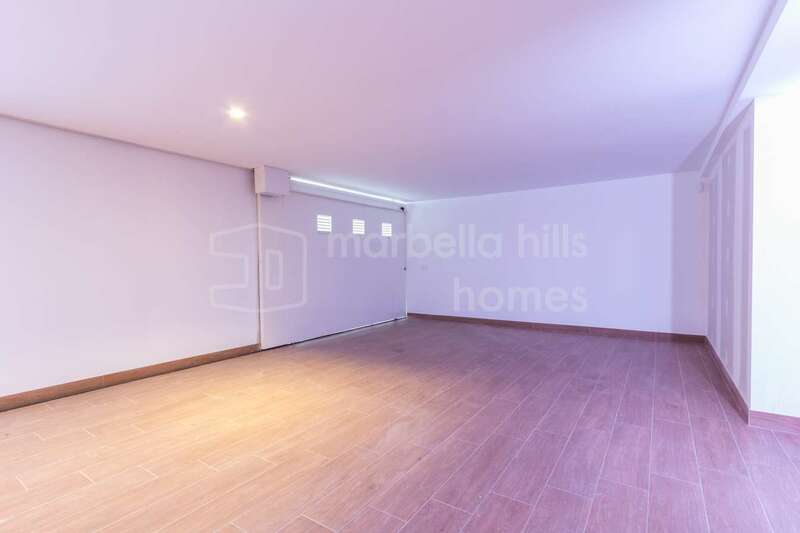 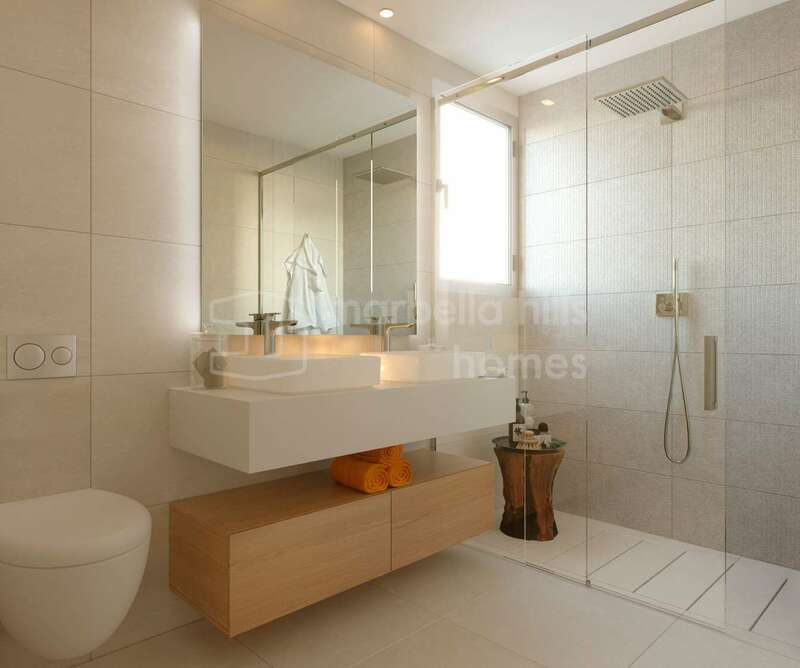 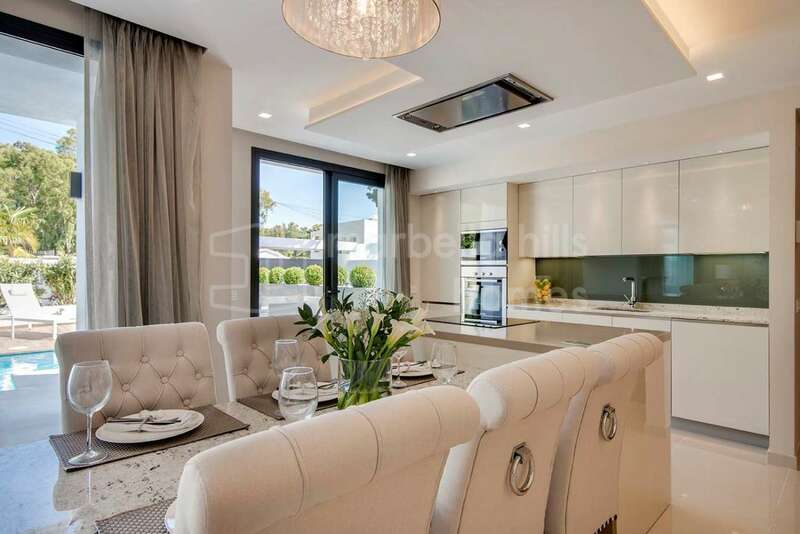 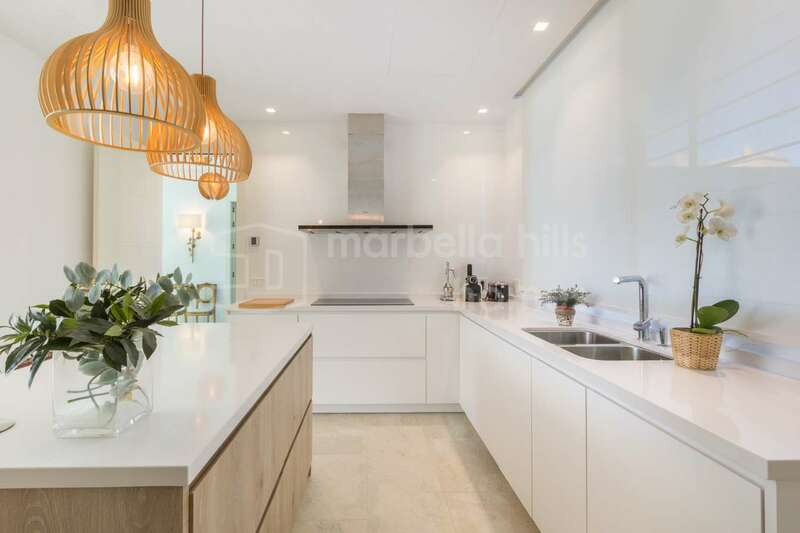 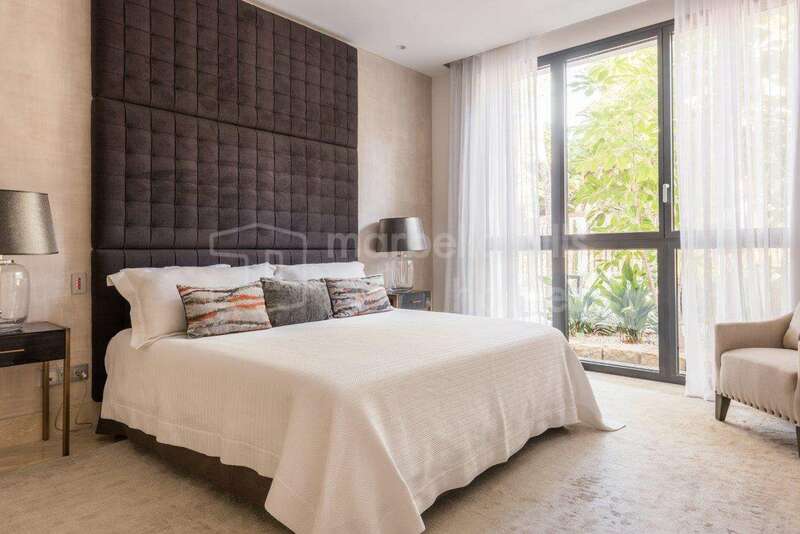 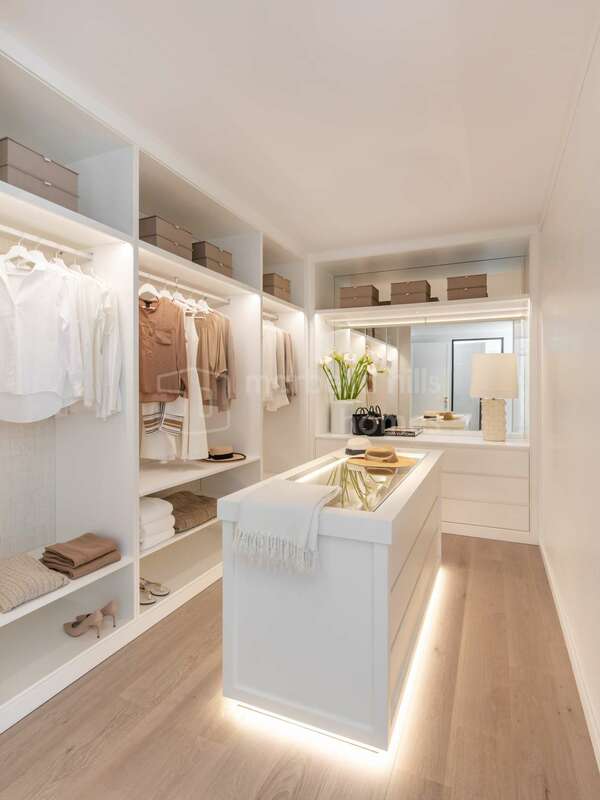 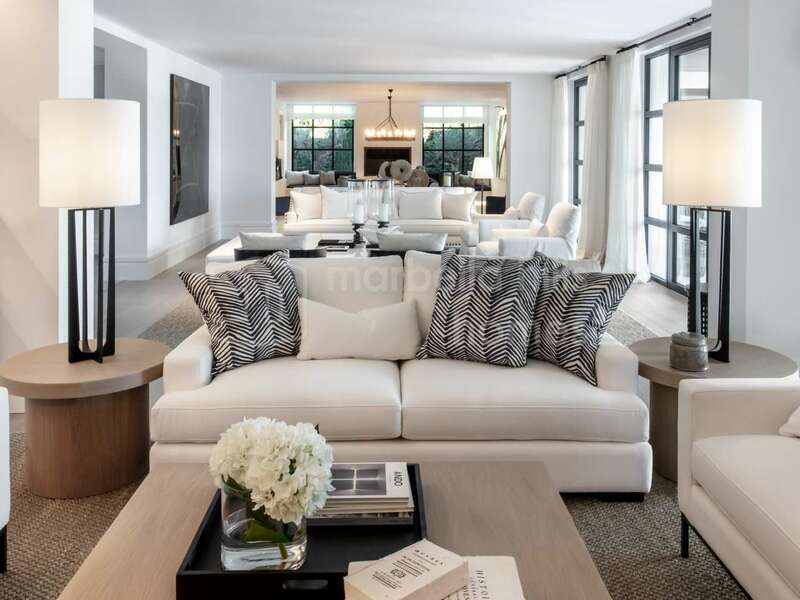 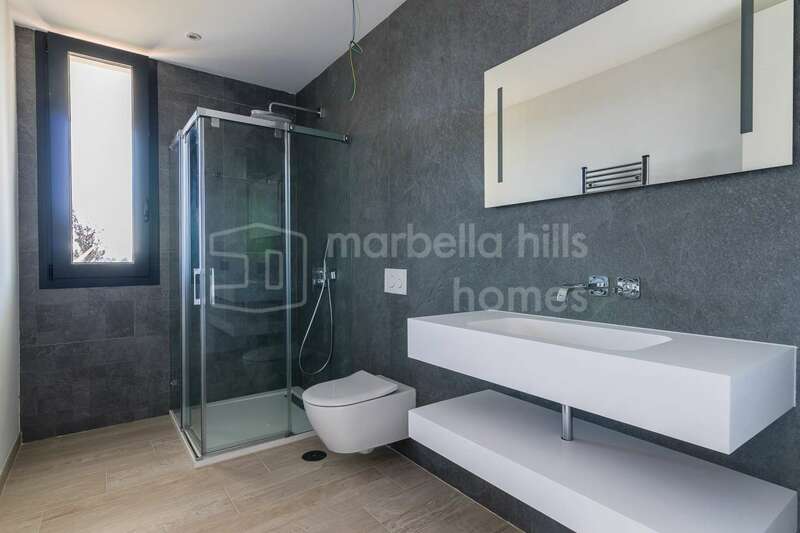 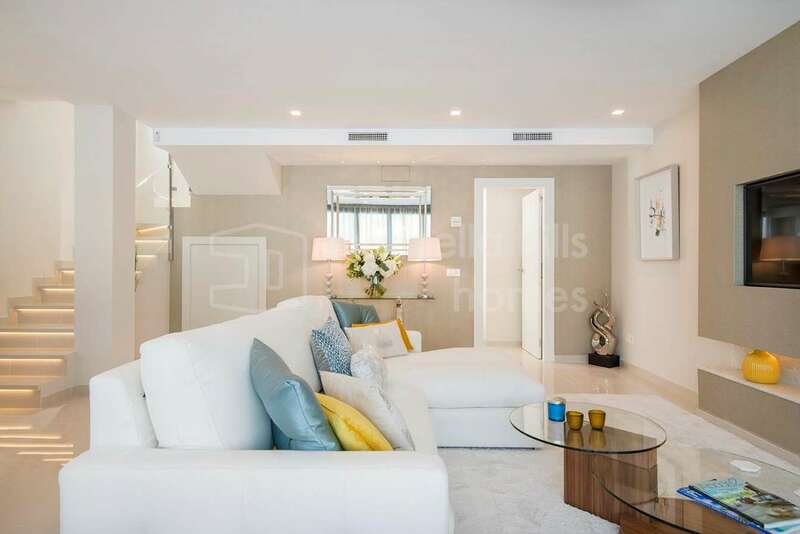 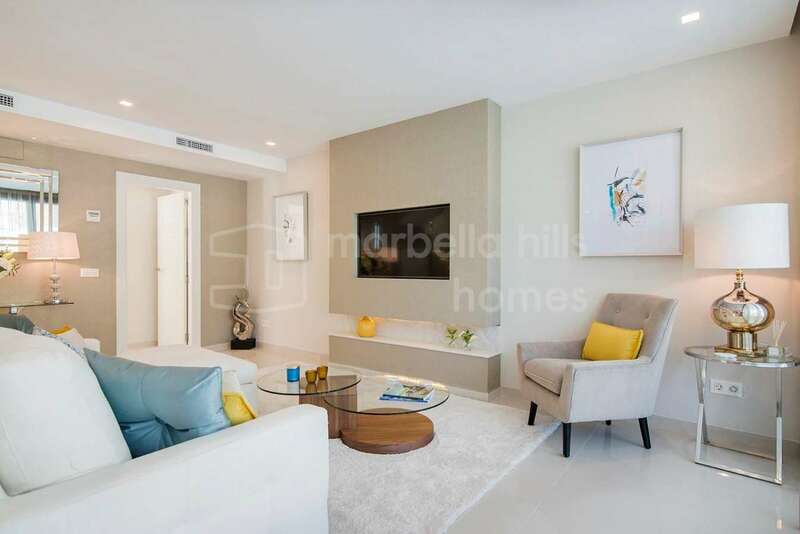 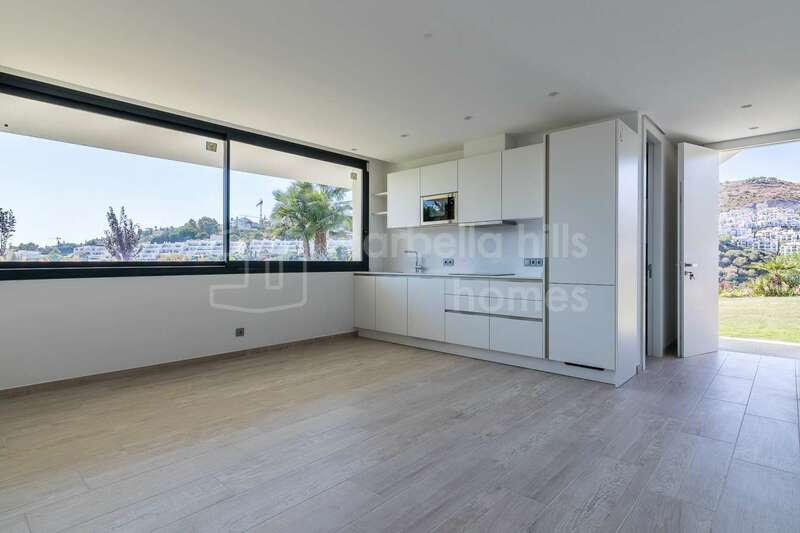 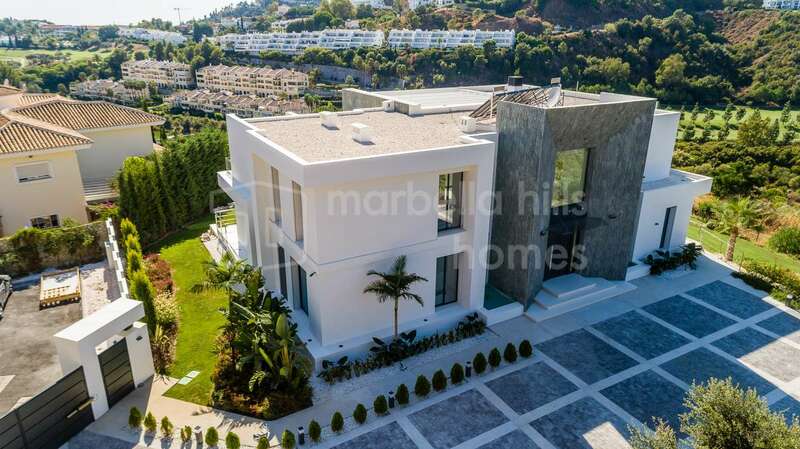 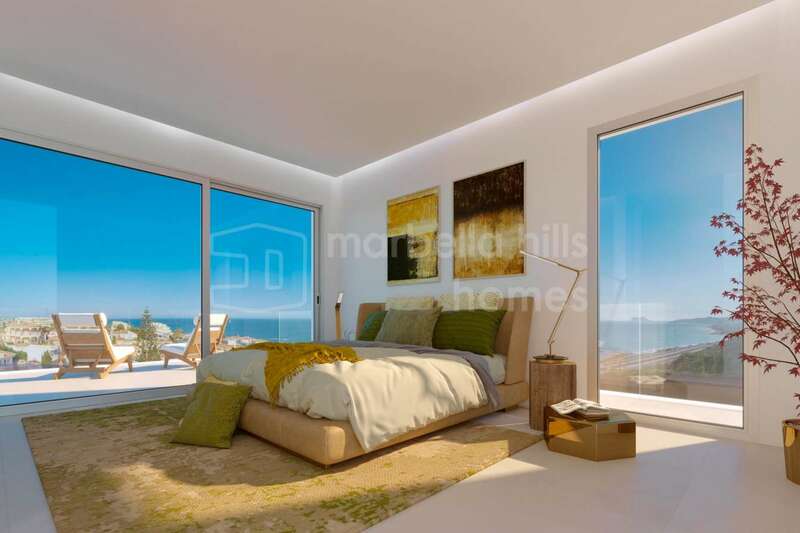 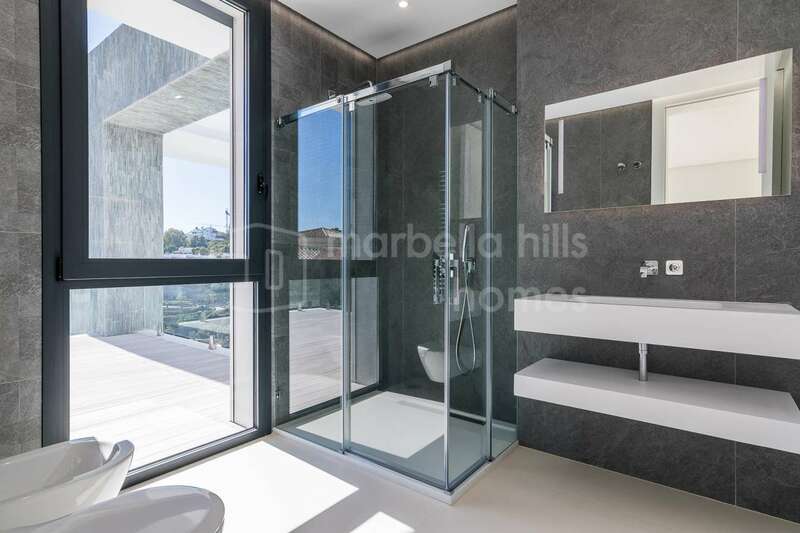 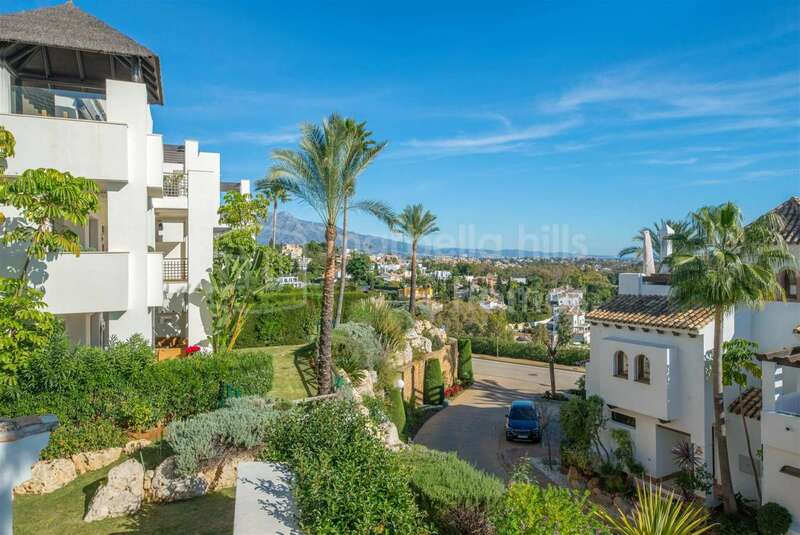 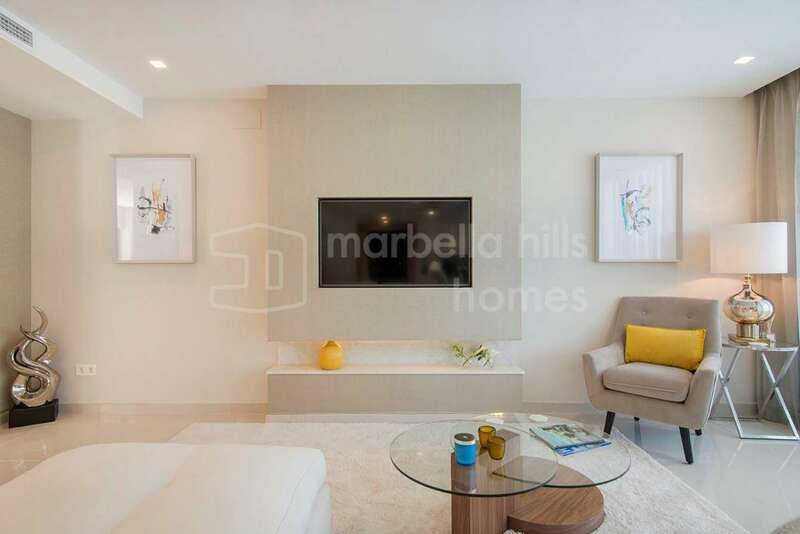 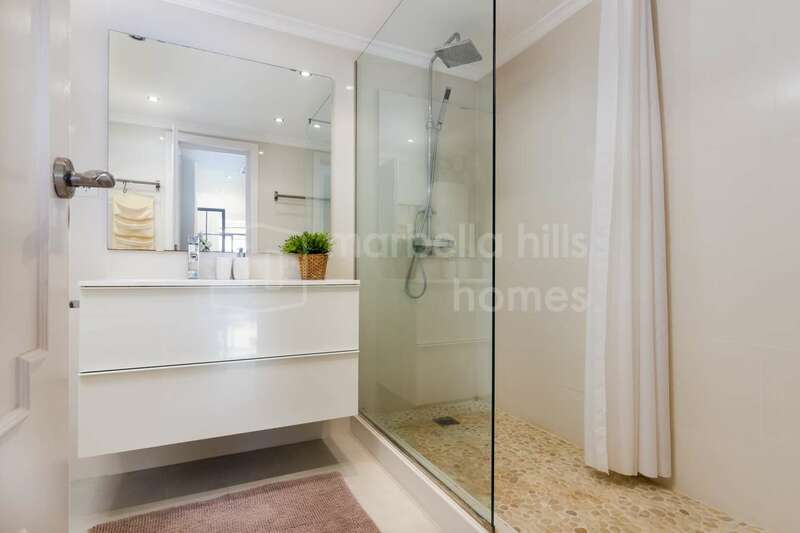 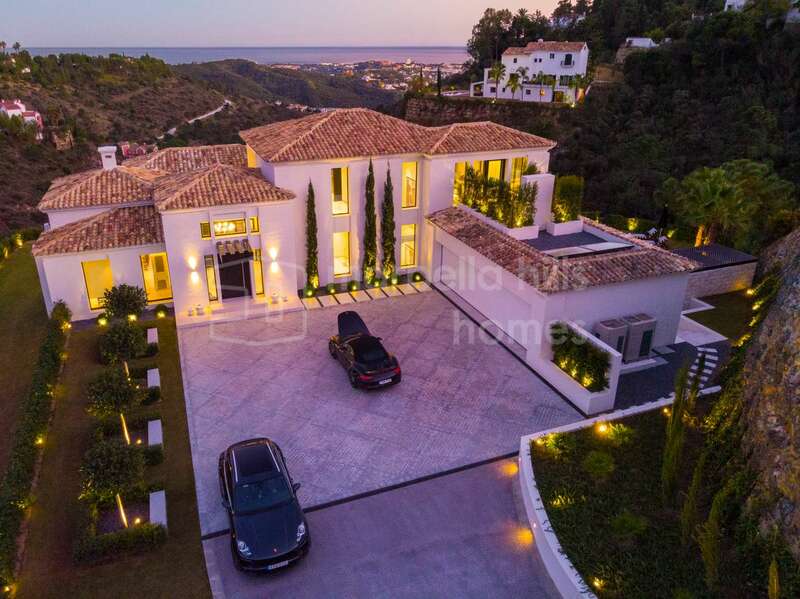 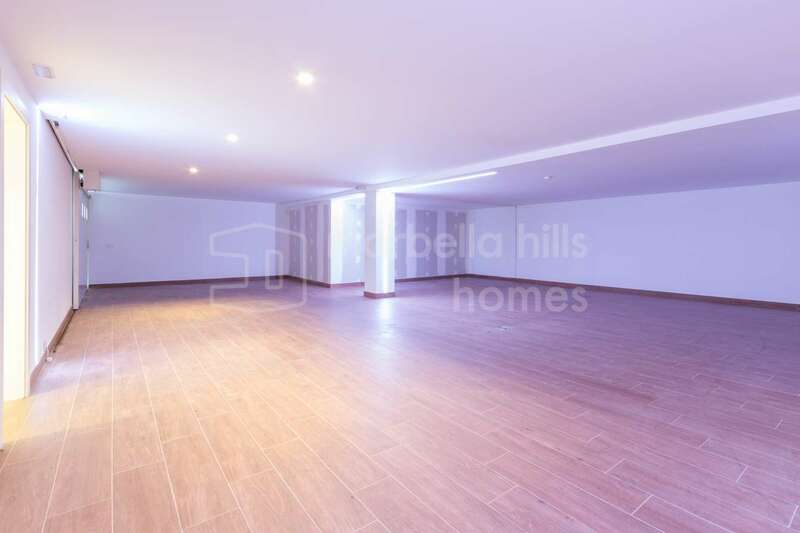 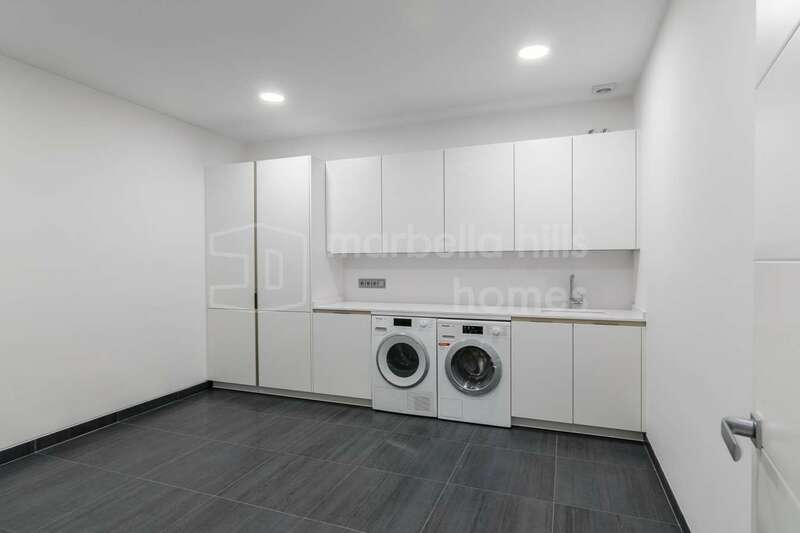 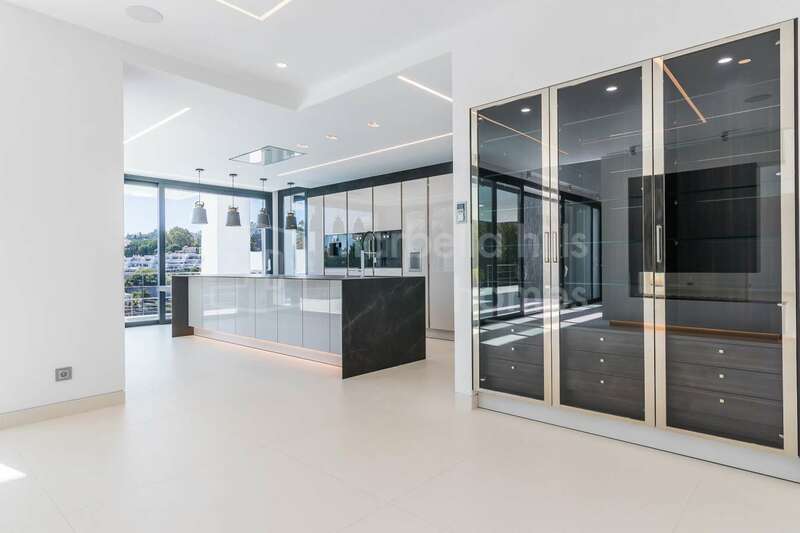 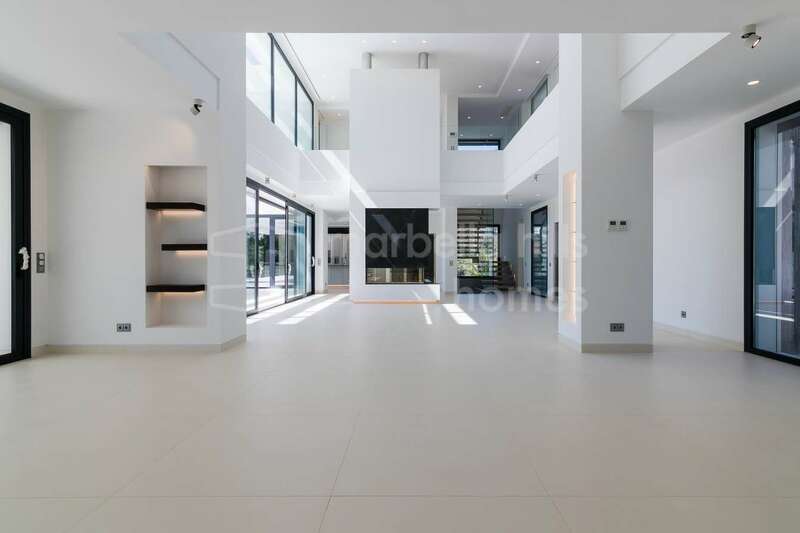 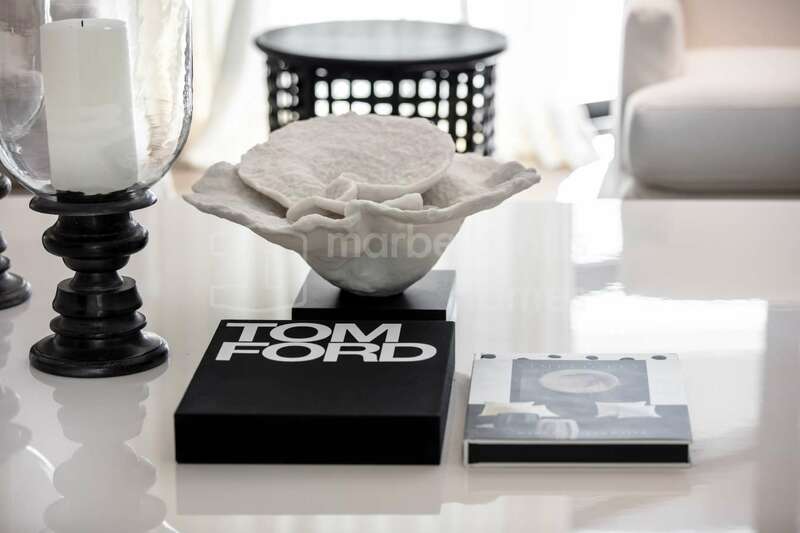 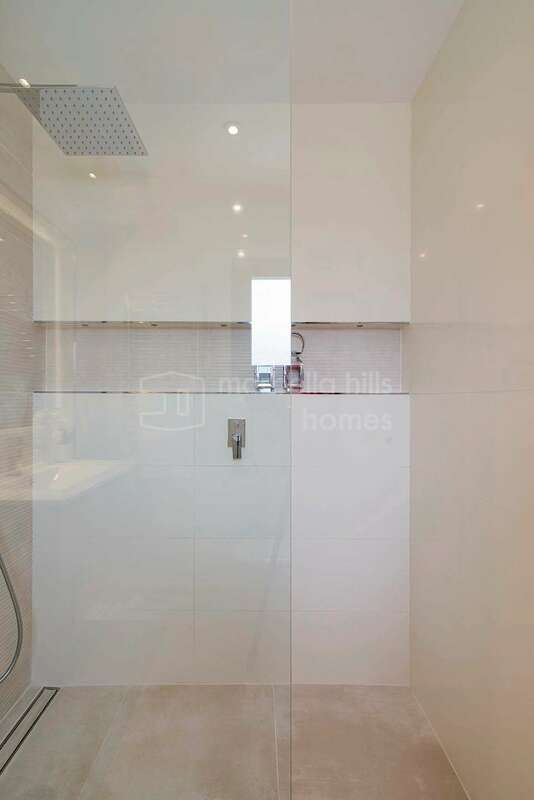 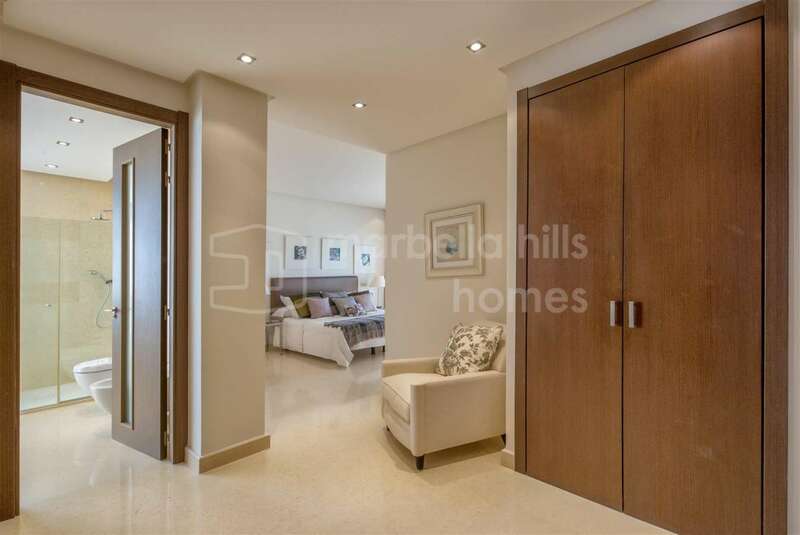 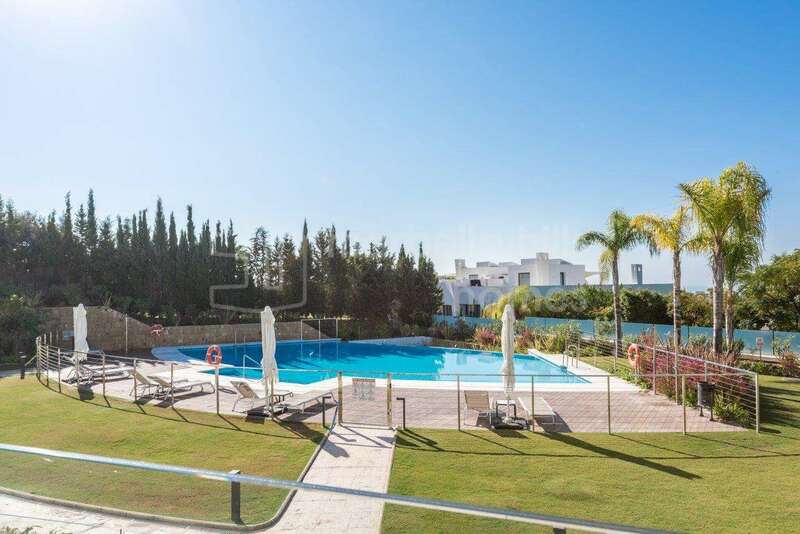 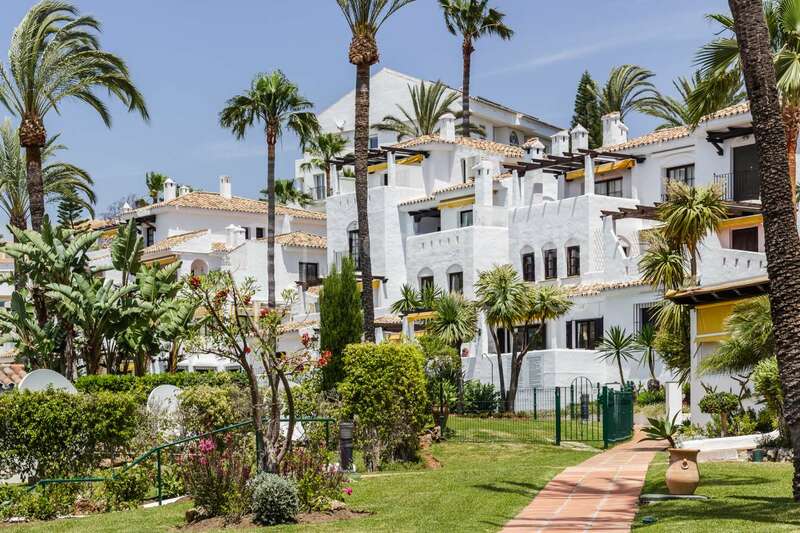 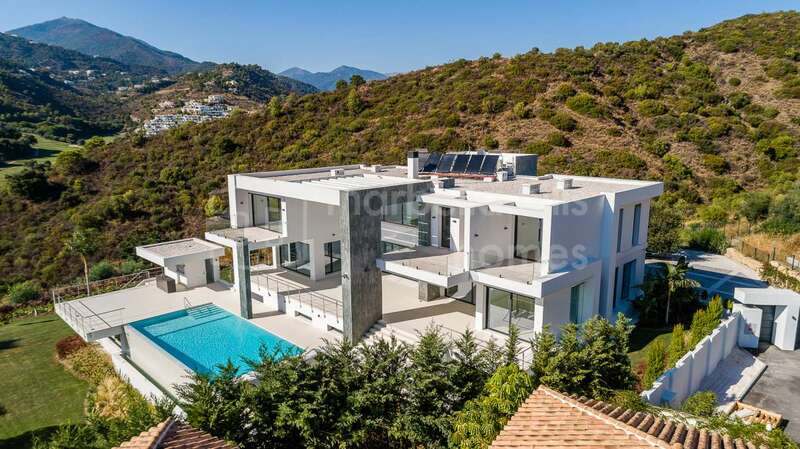 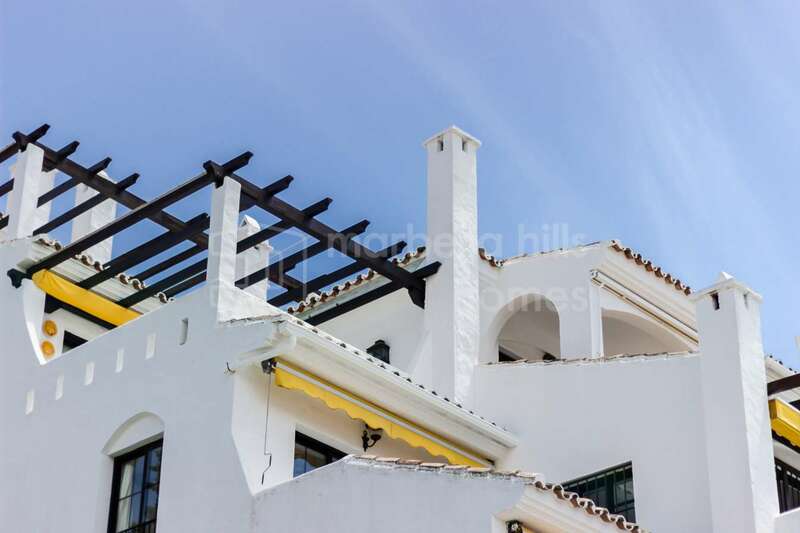 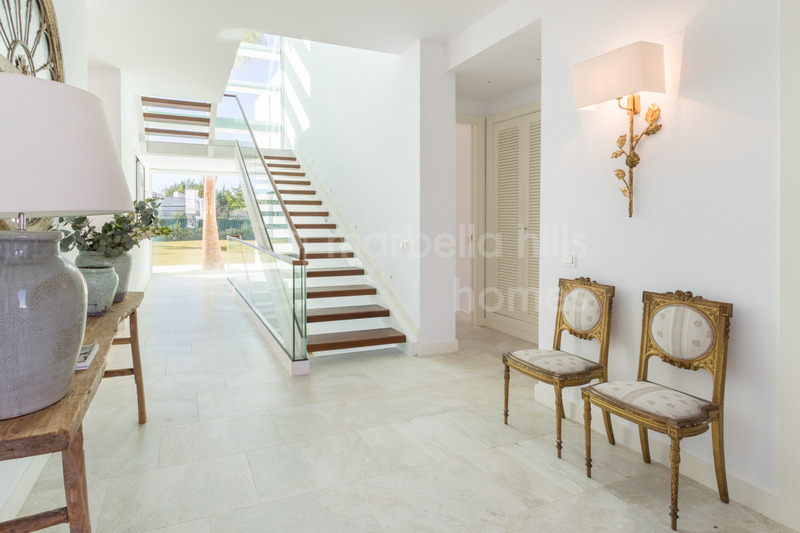 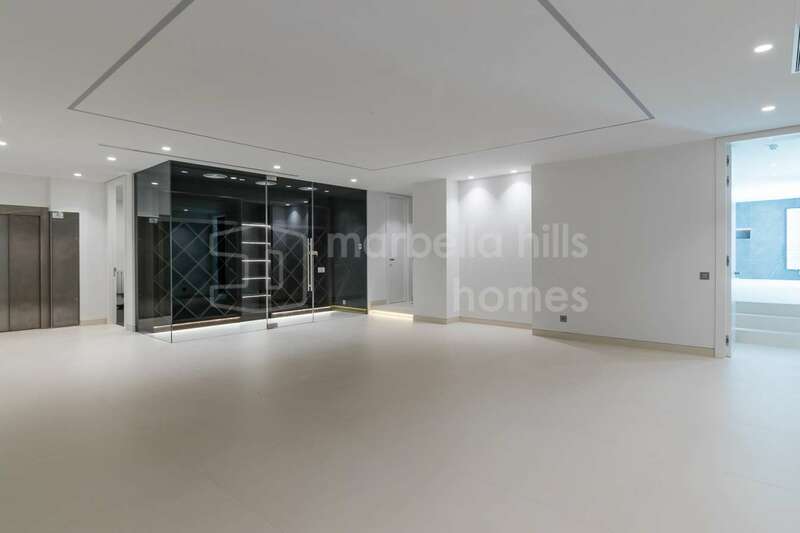 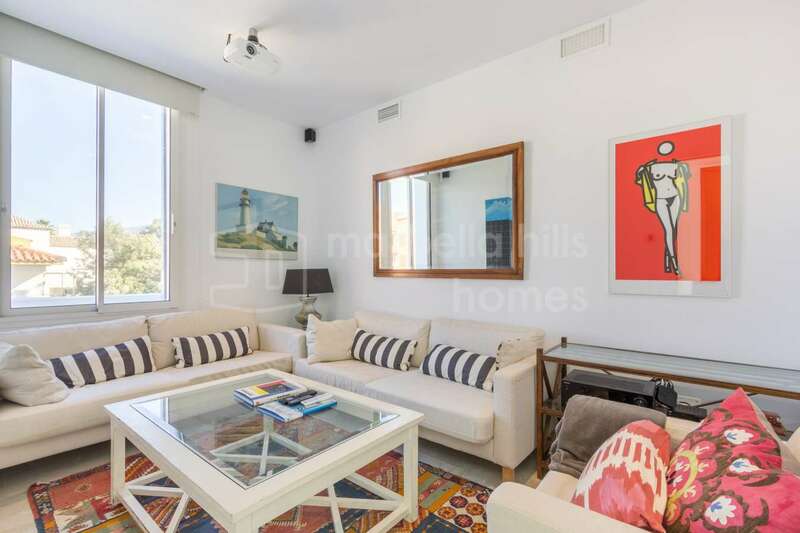 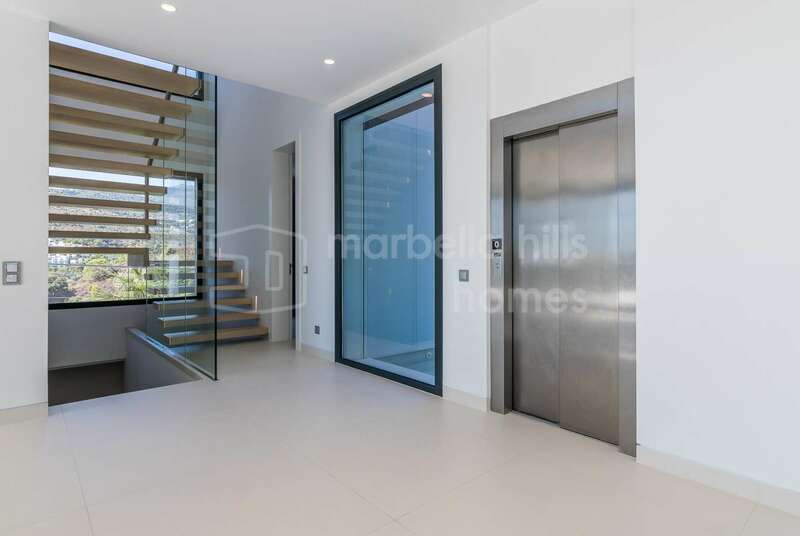 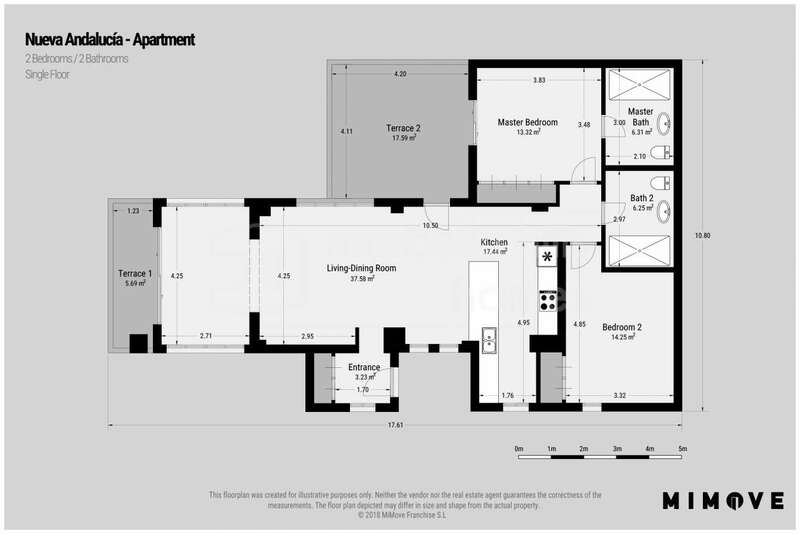 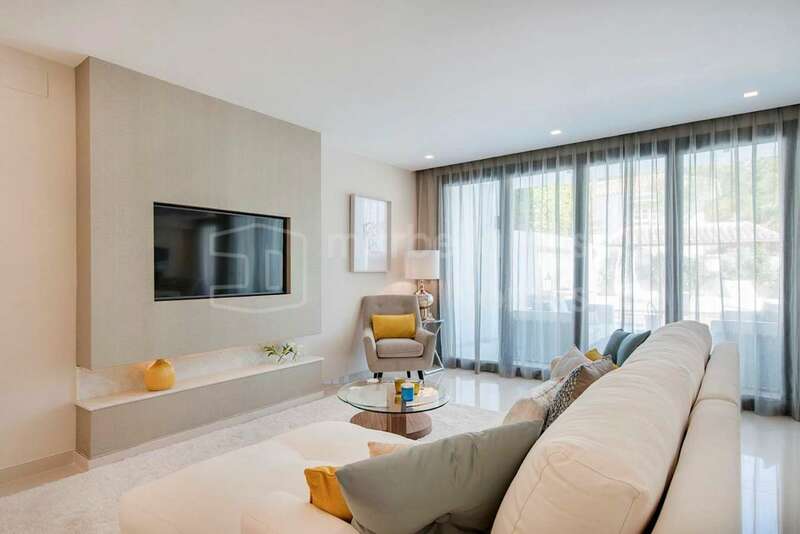 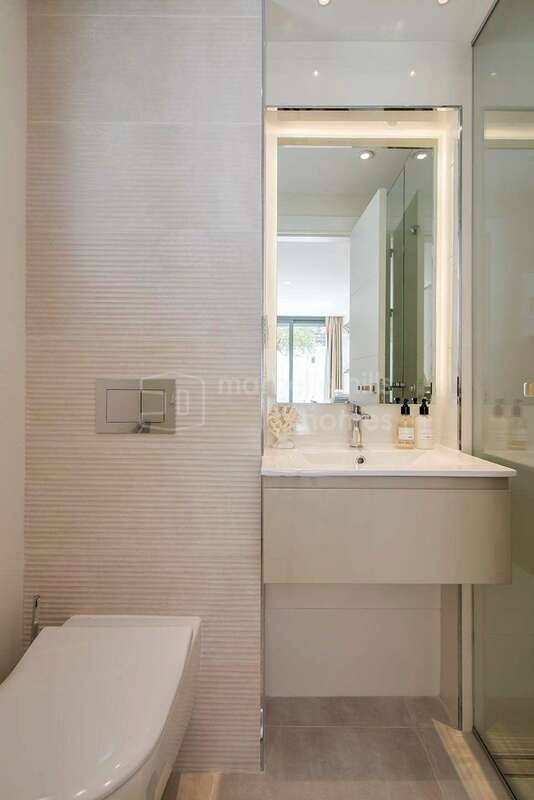 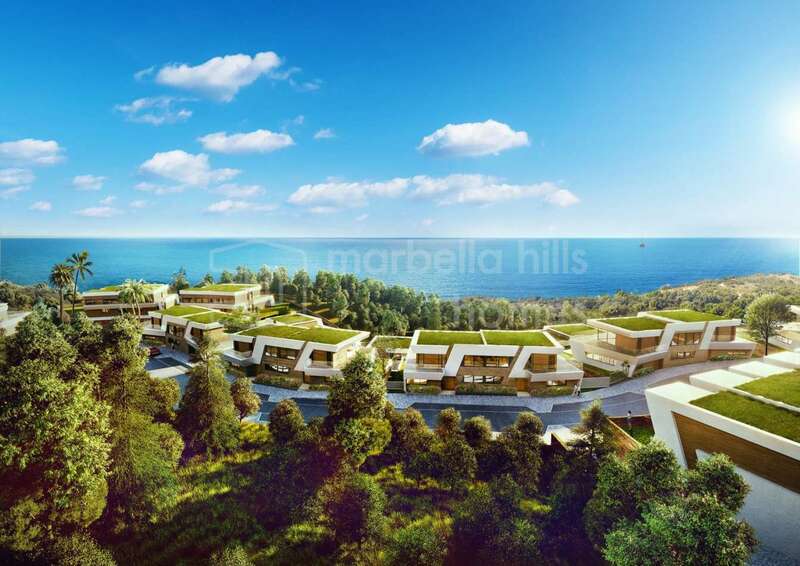 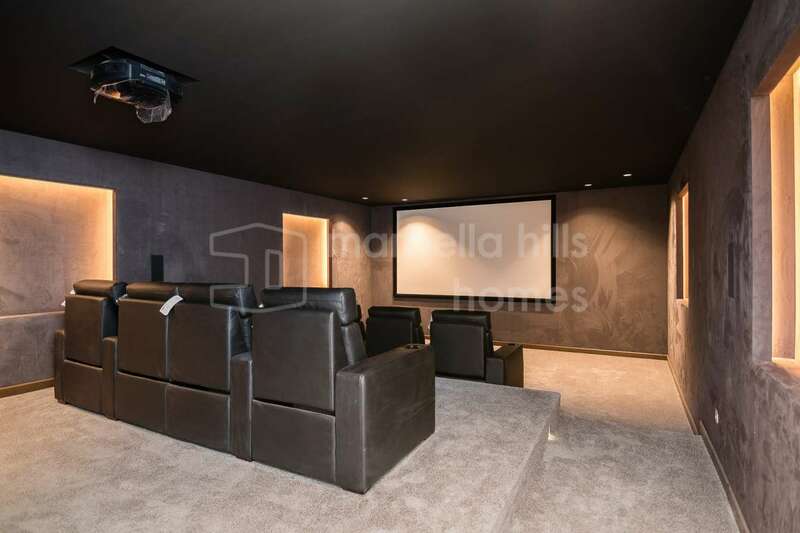 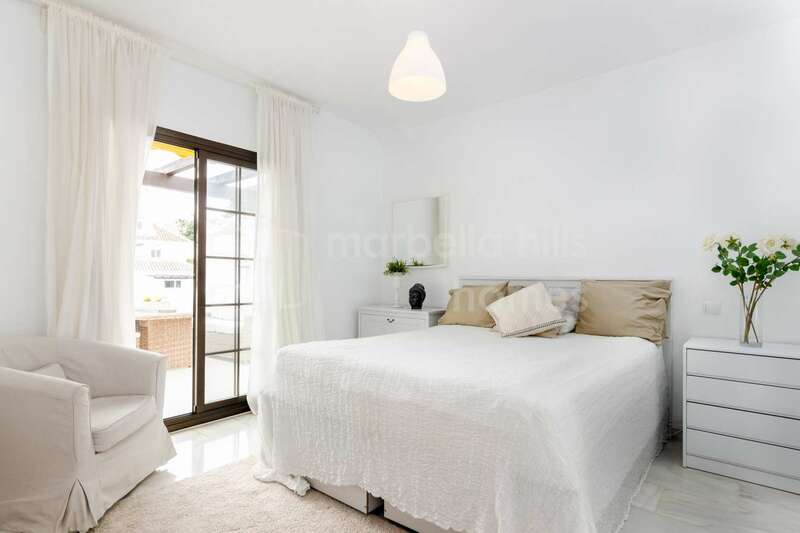 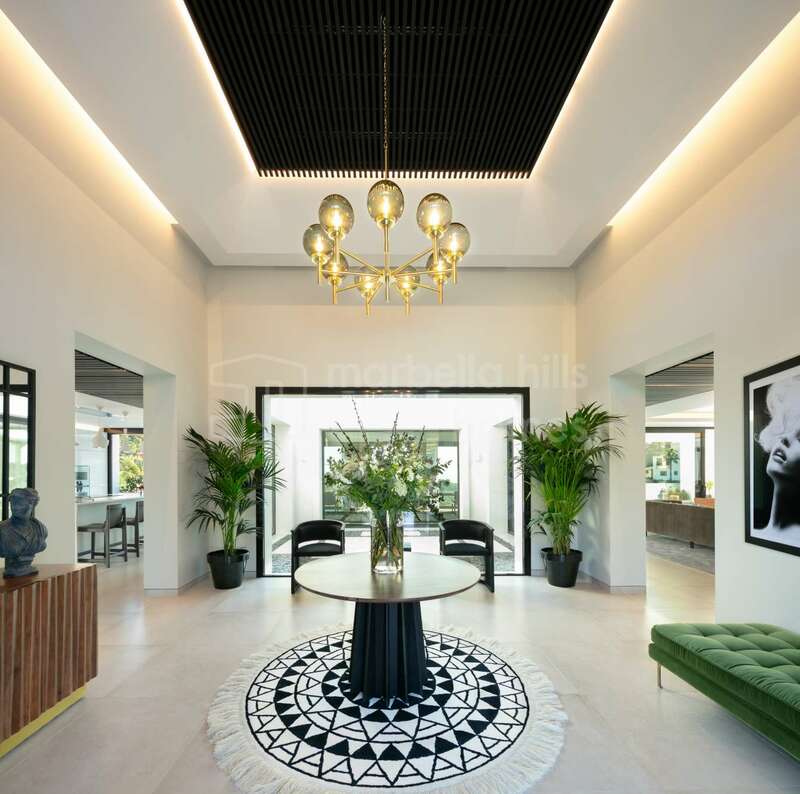 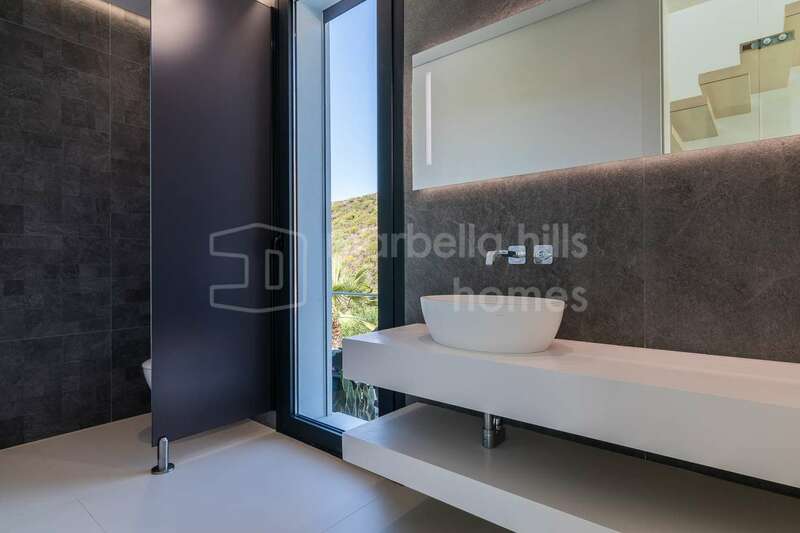 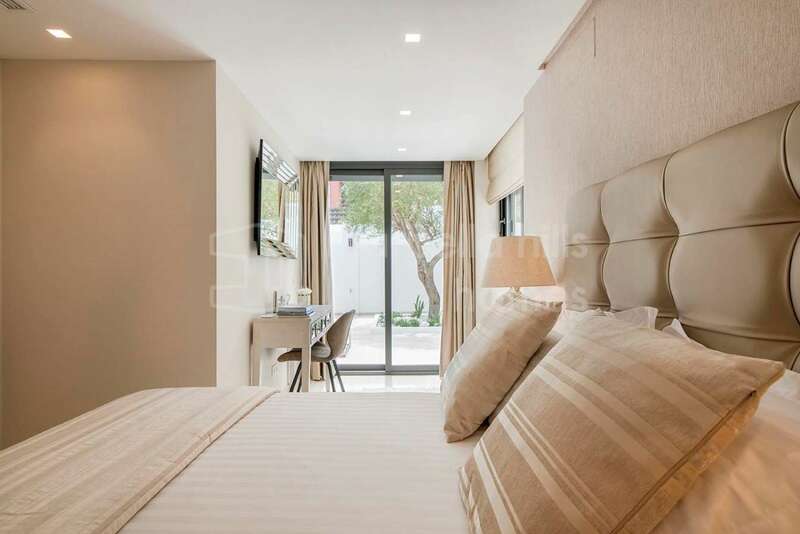 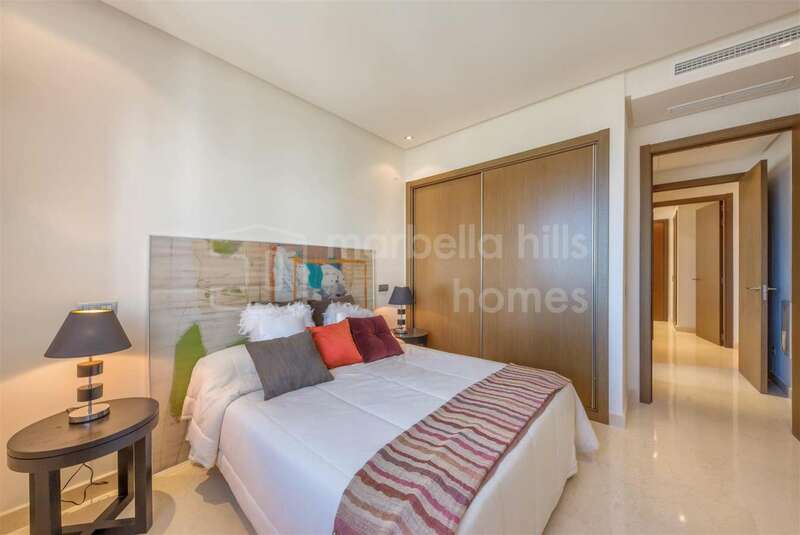 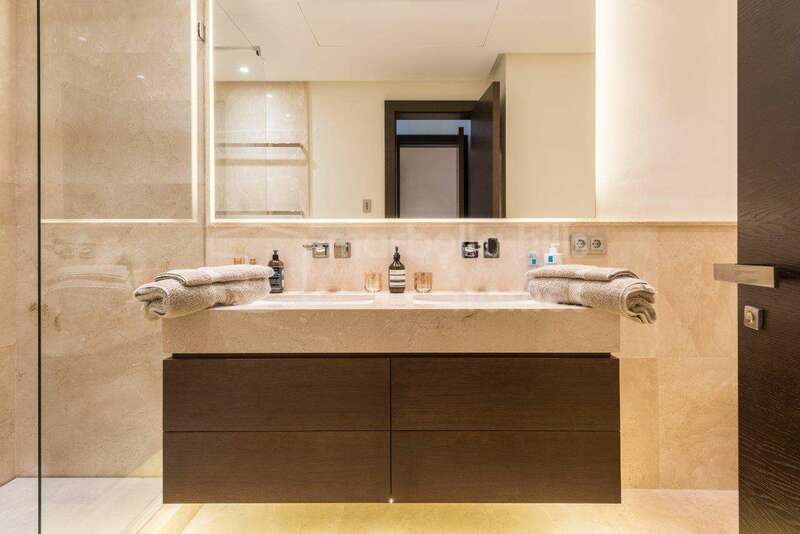 Contact Marbella Hills Homes for more information about the finest apartments, penthouses and villas for sale in Marbella and surroundings.